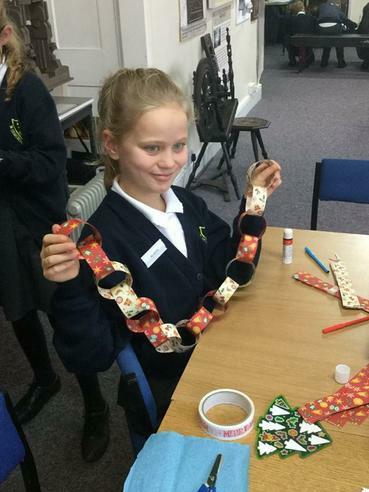 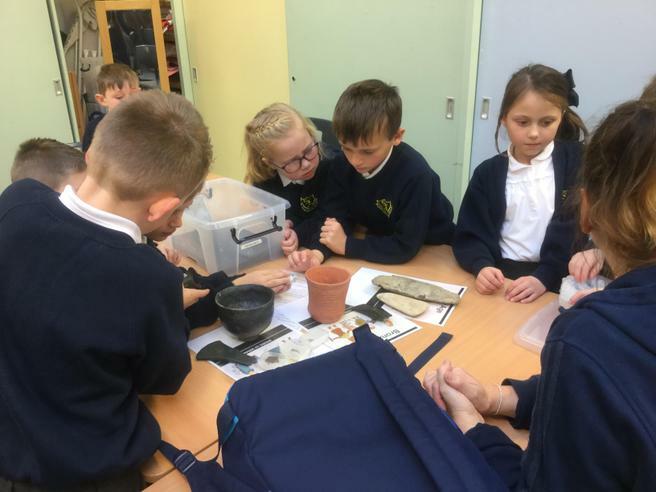 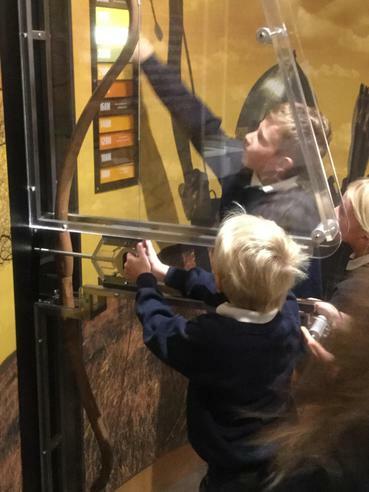 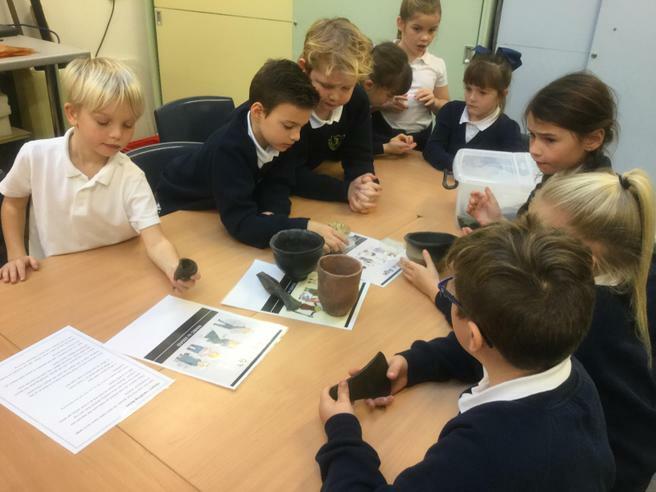 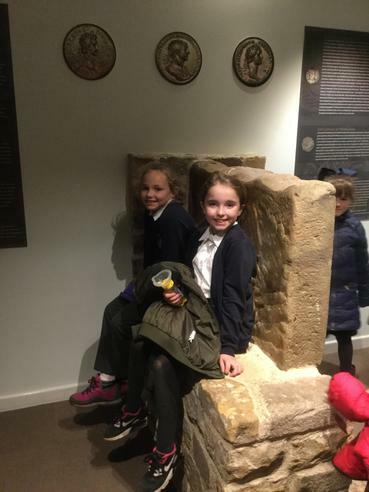 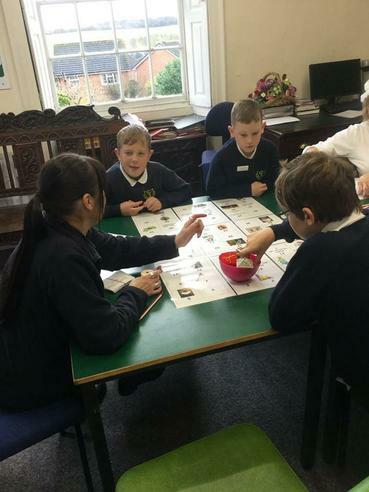 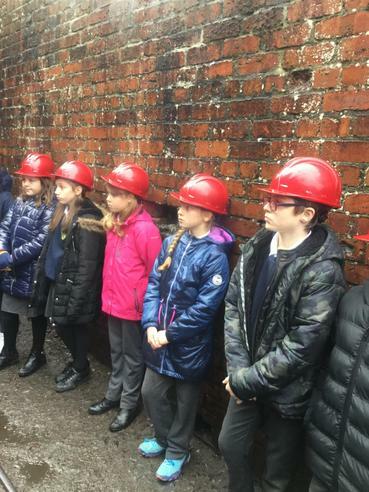 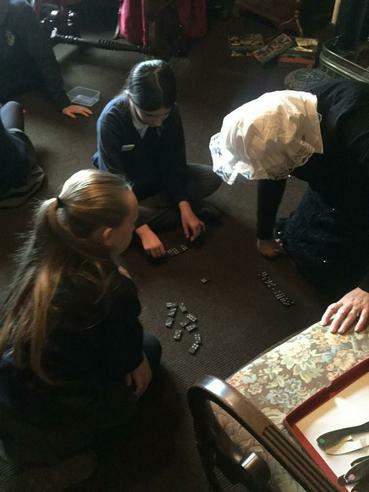 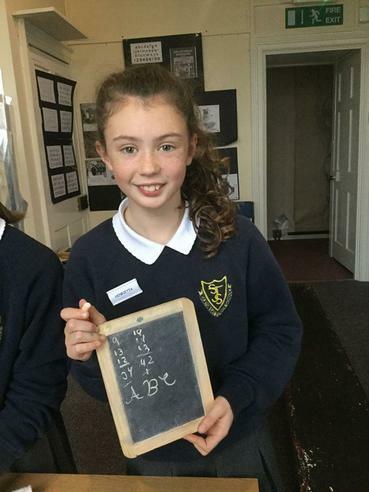 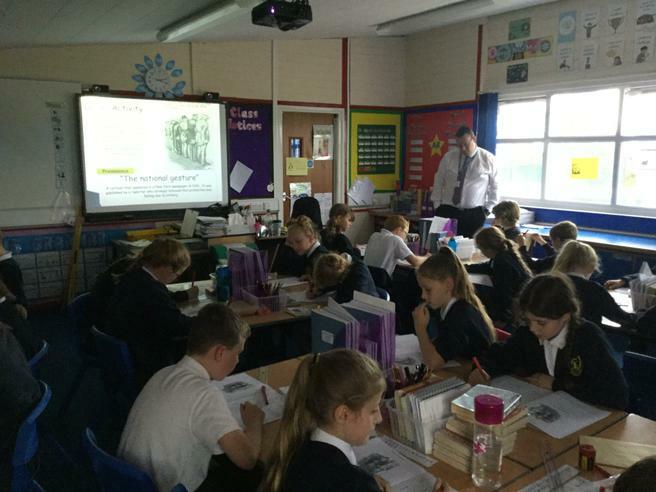 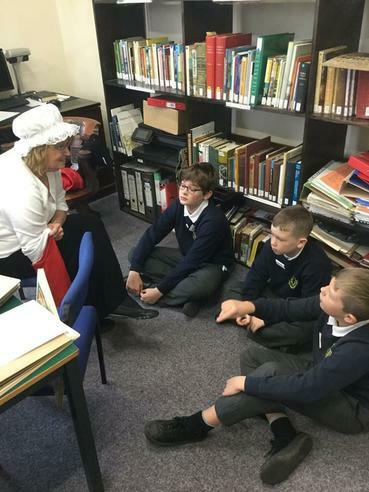 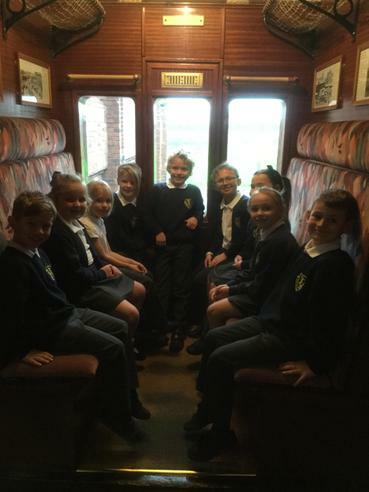 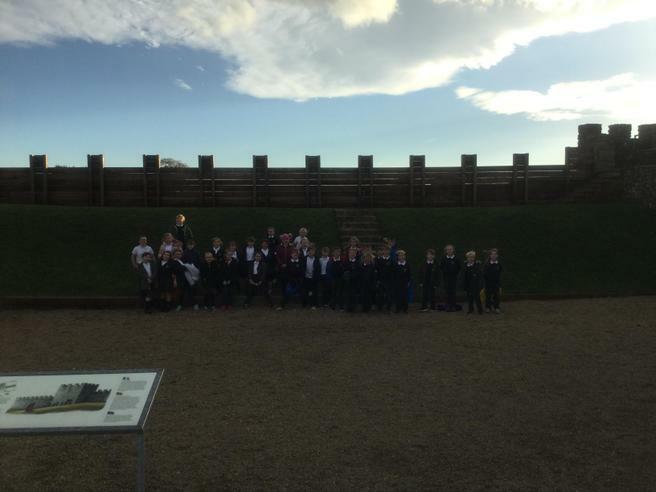 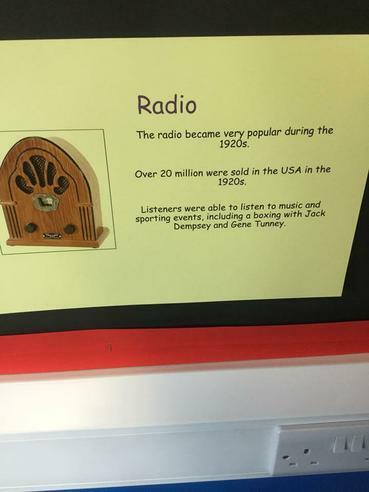 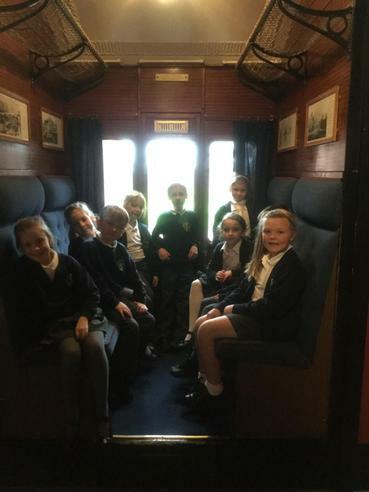 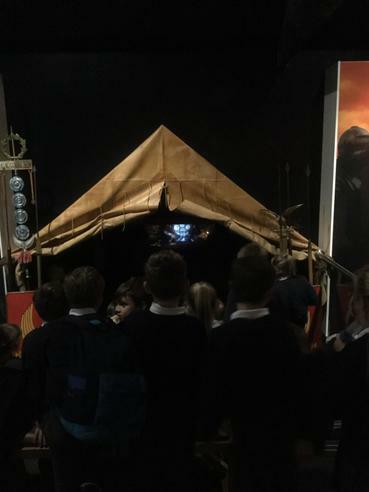 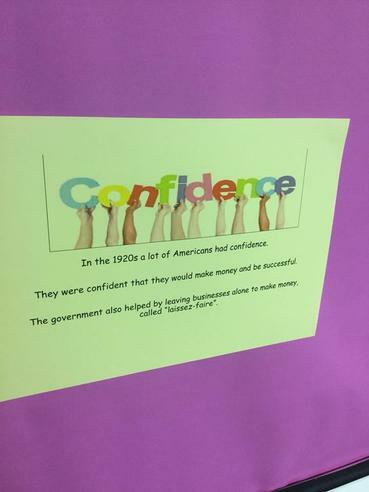 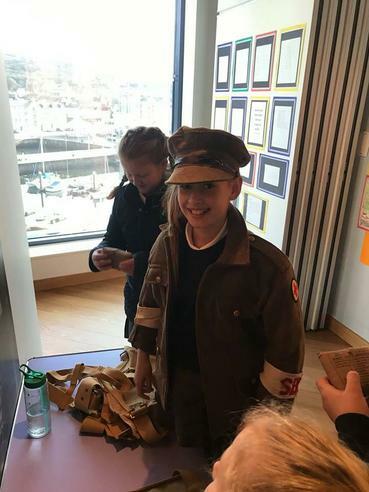 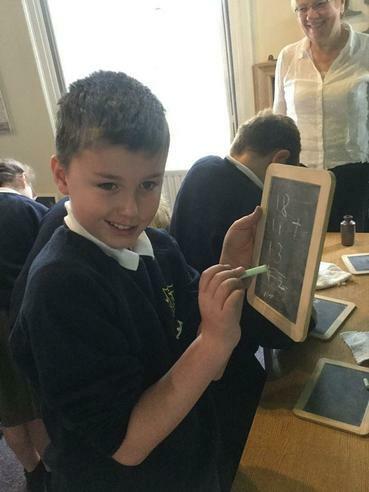 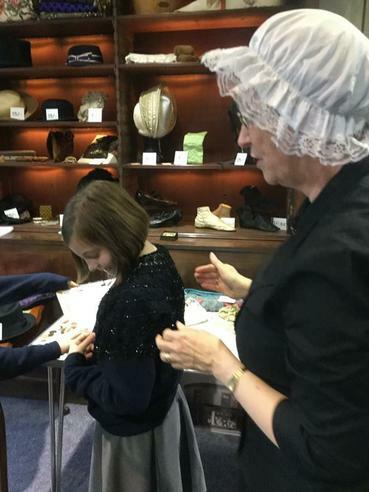 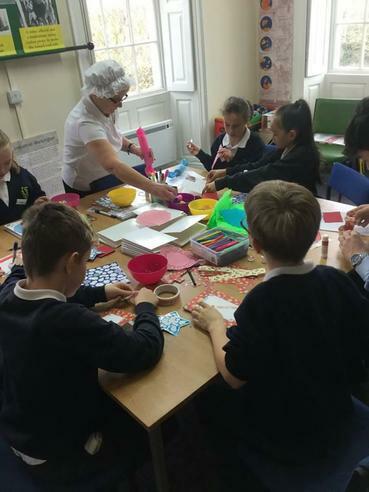 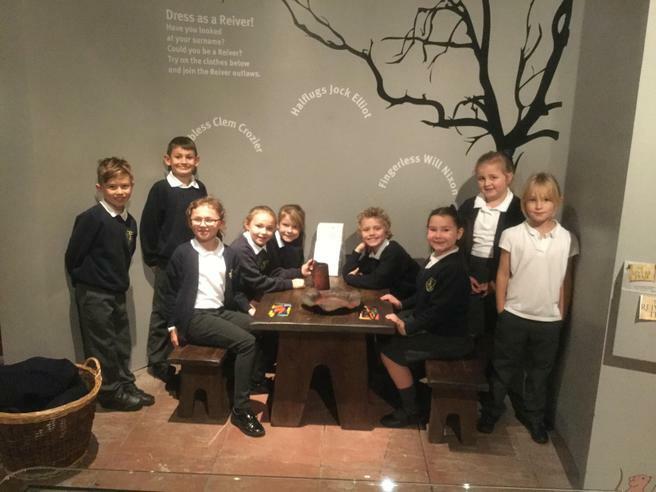 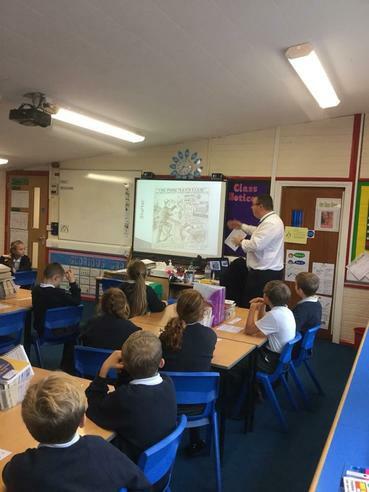 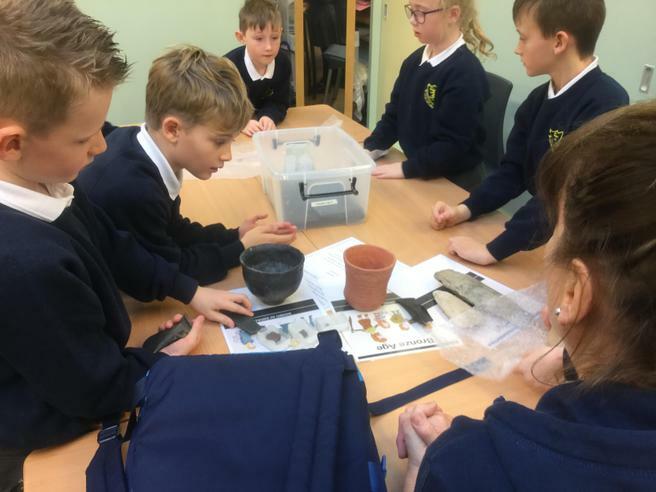 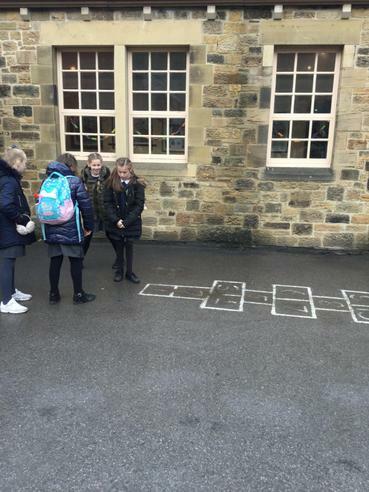 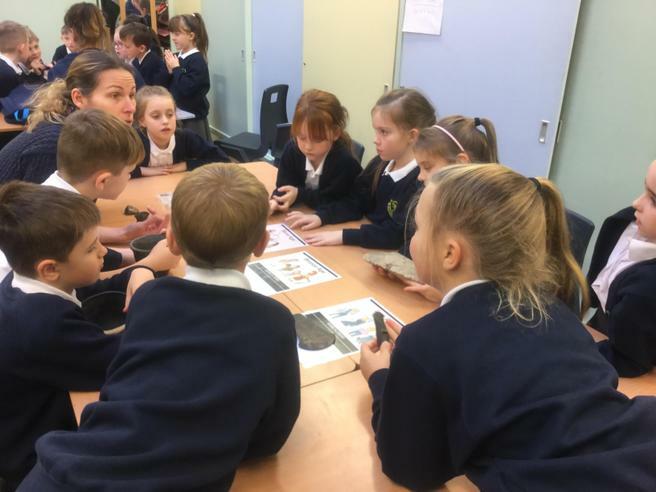 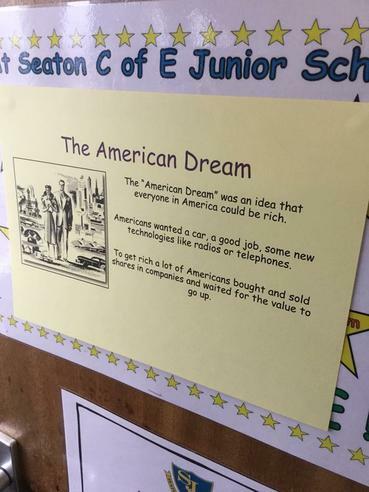 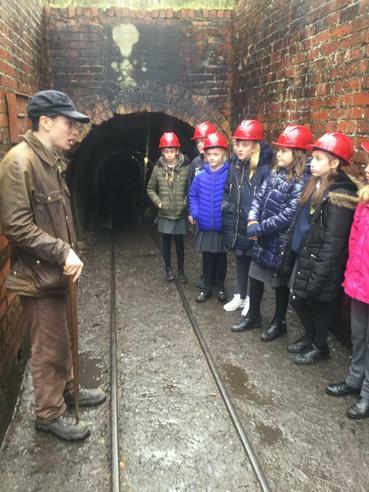 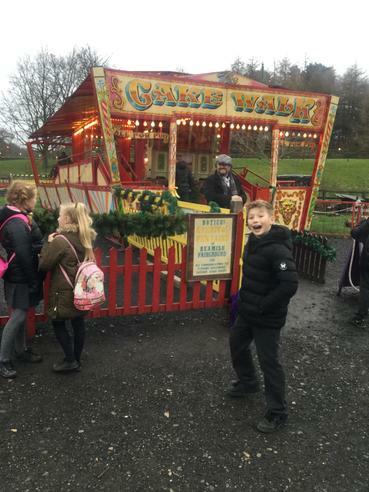 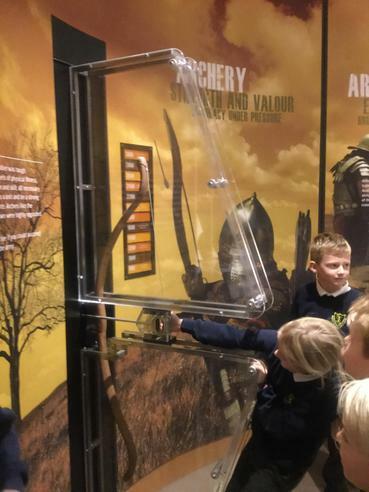 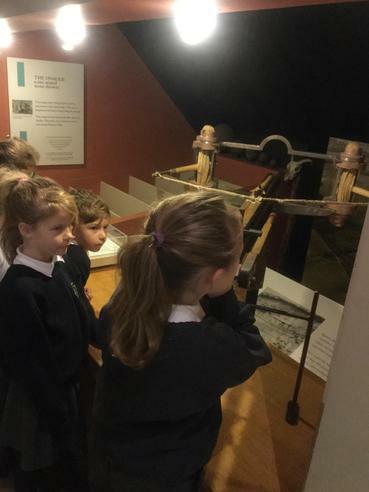 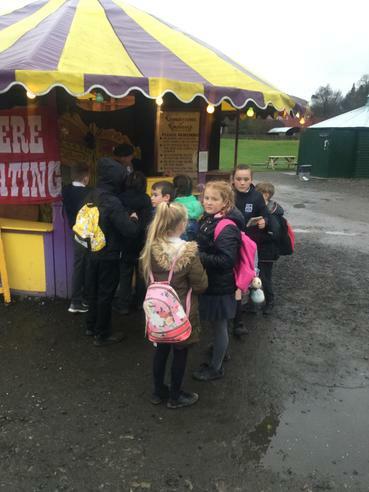 We love History at Seaton Junior School and we are very lucky to take part in a wide variety of experiences to enhance our learning. 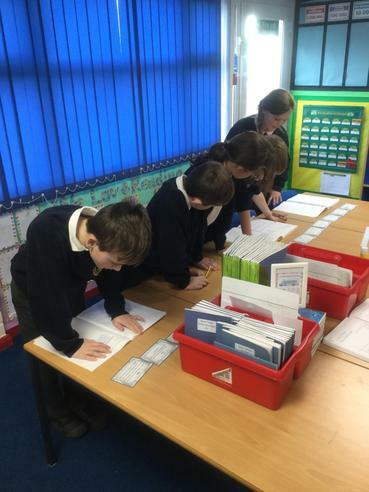 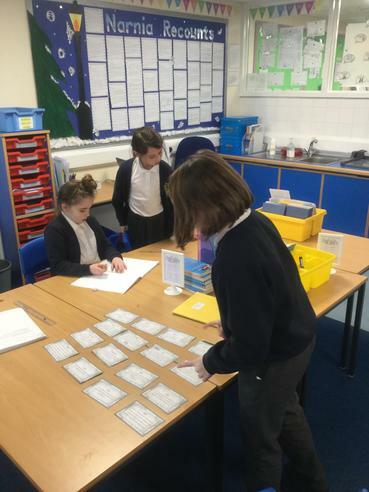 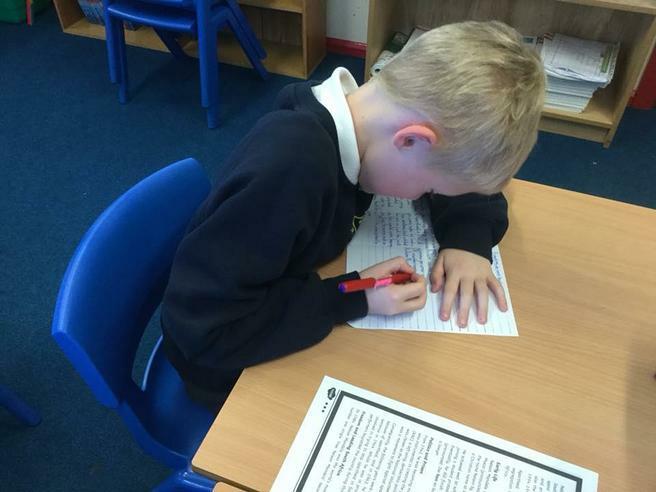 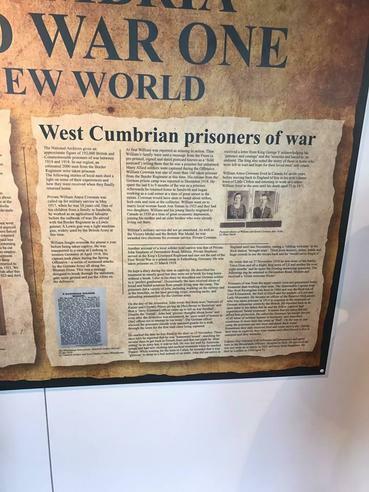 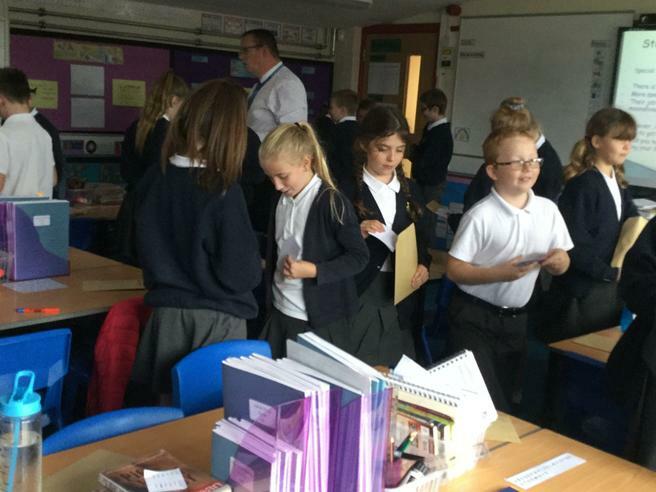 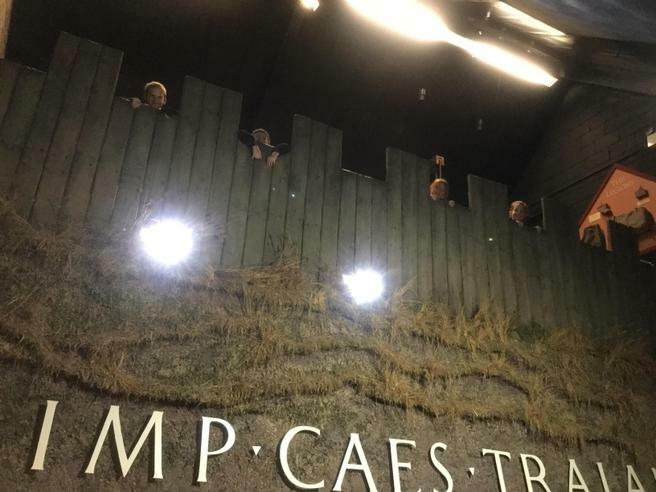 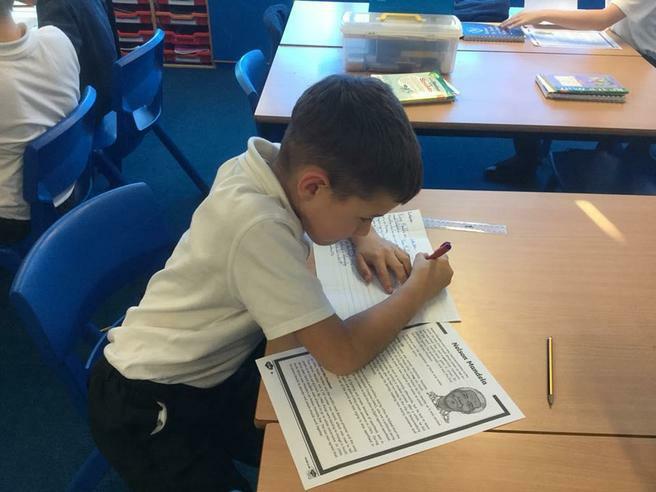 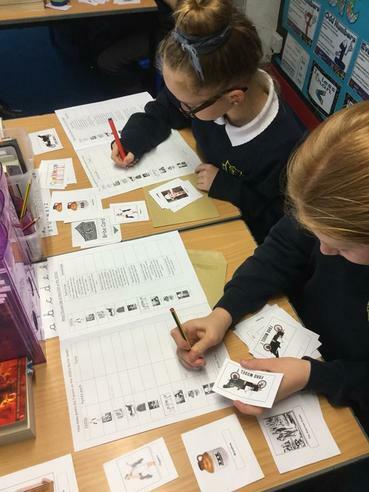 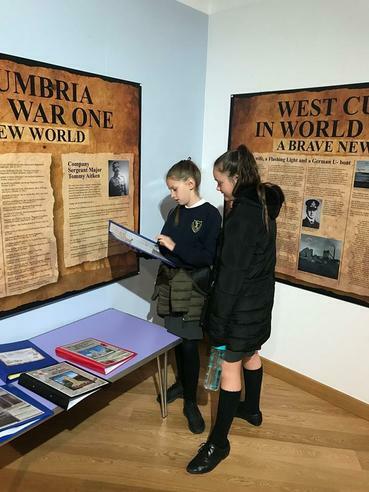 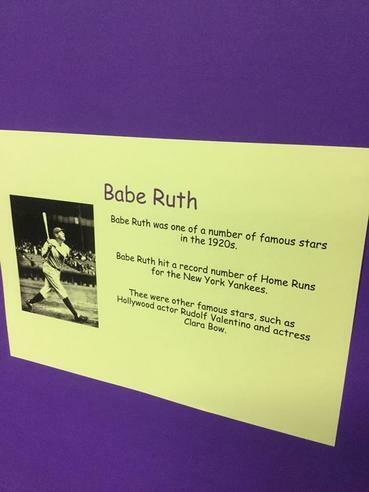 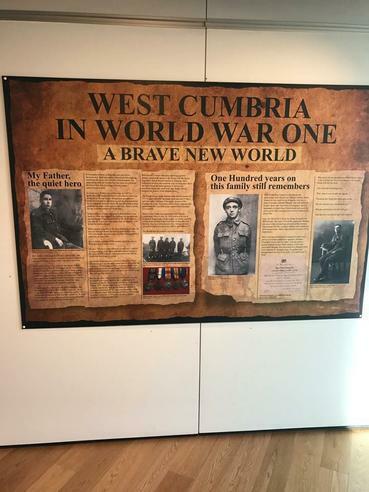 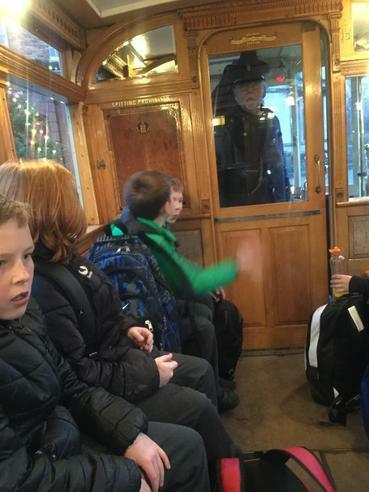 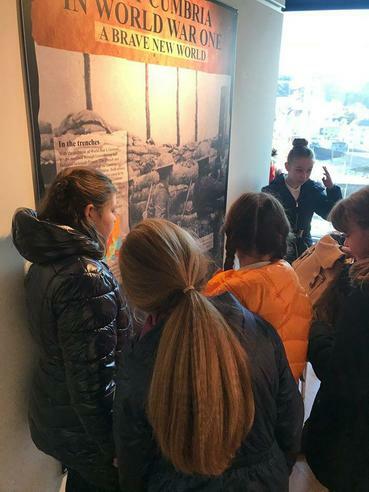 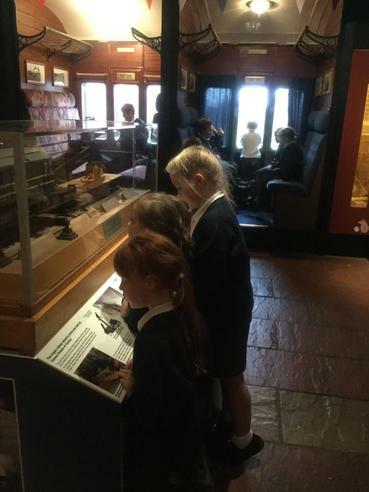 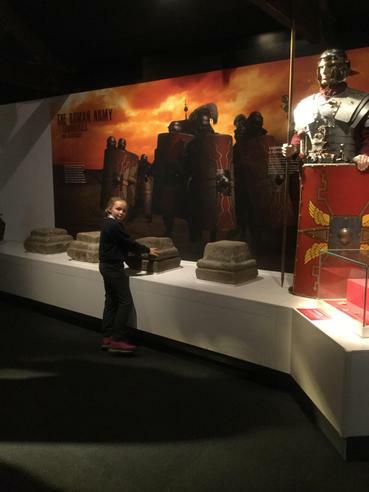 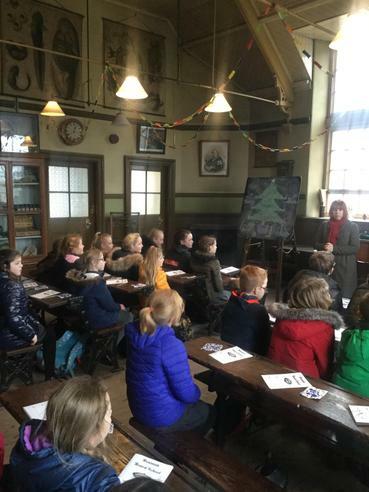 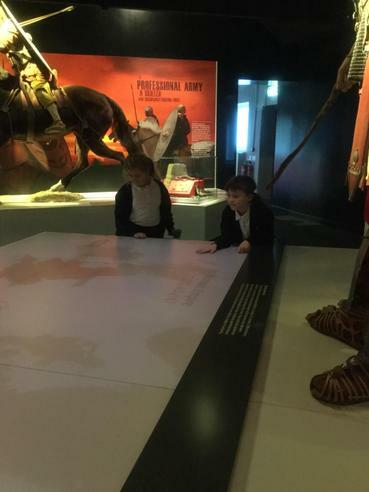 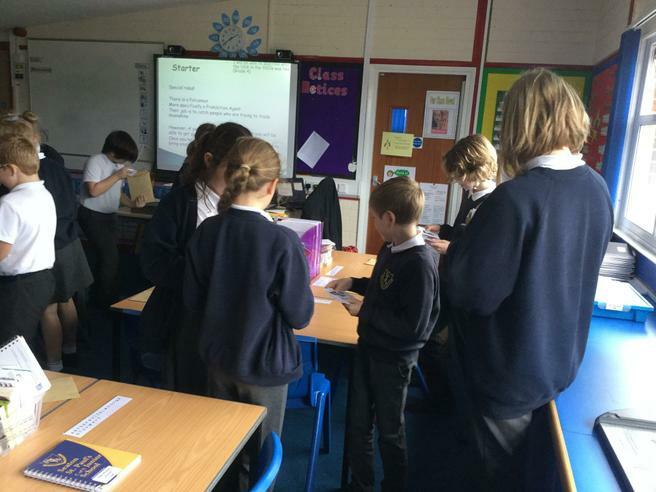 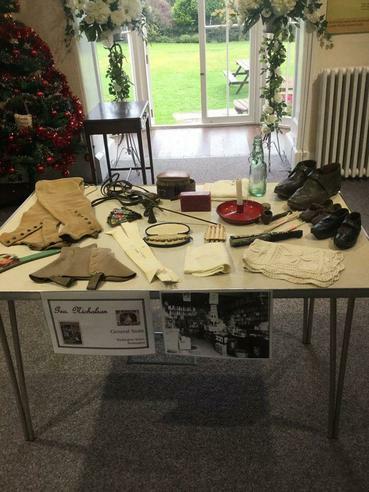 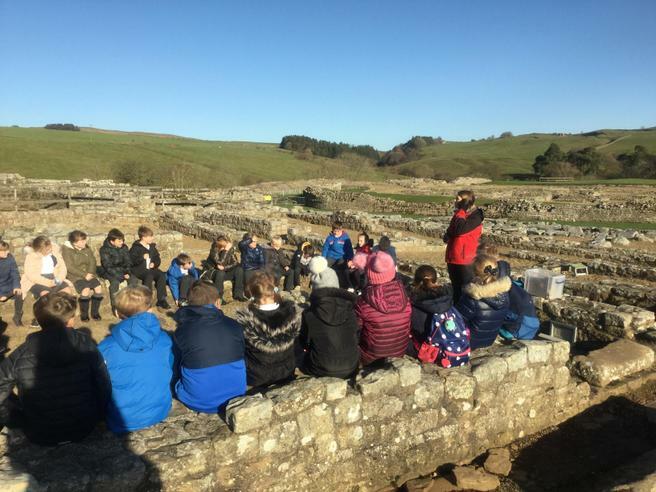 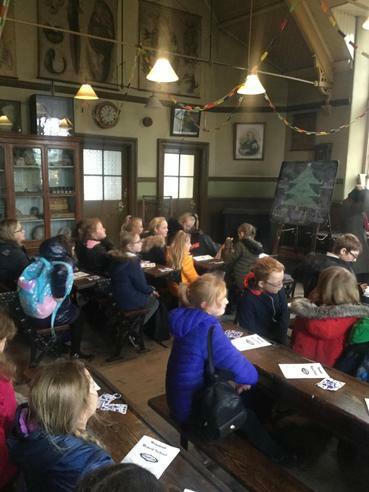 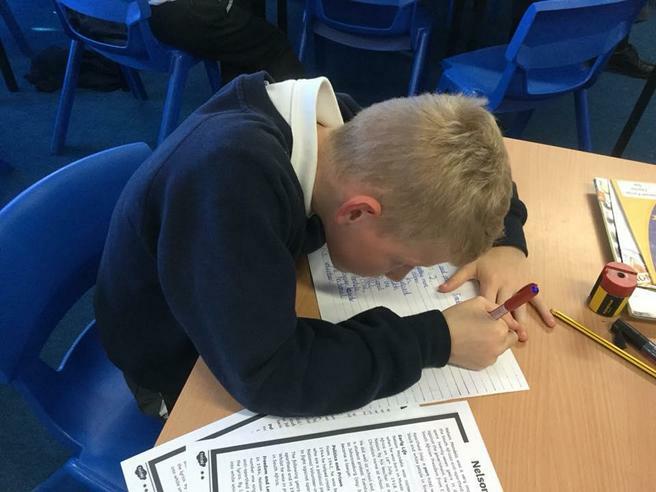 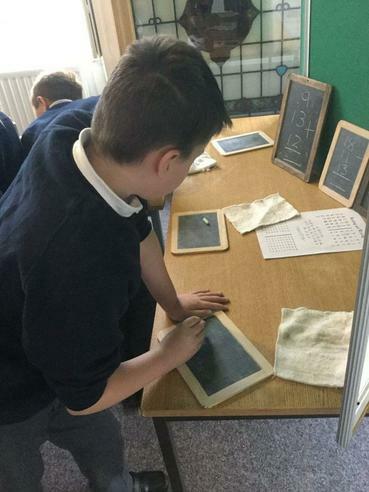 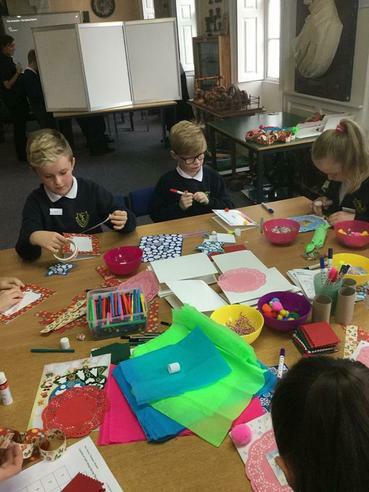 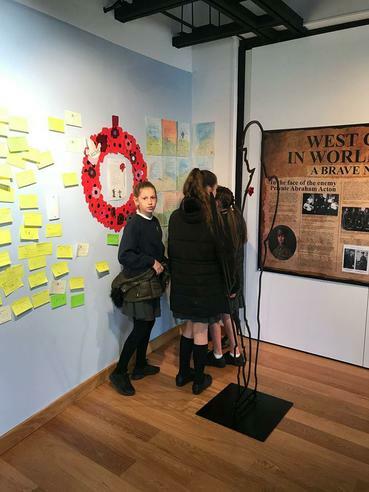 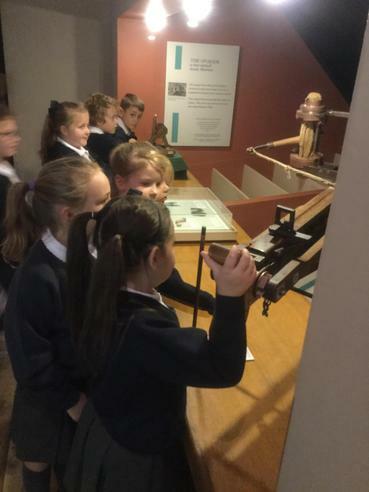 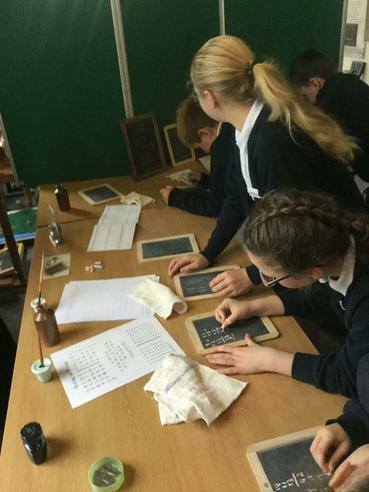 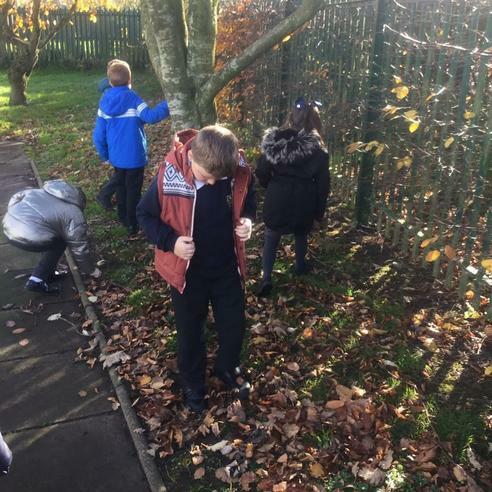 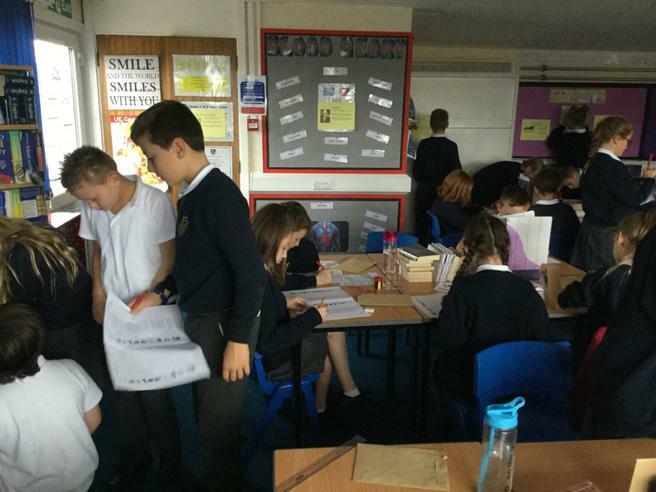 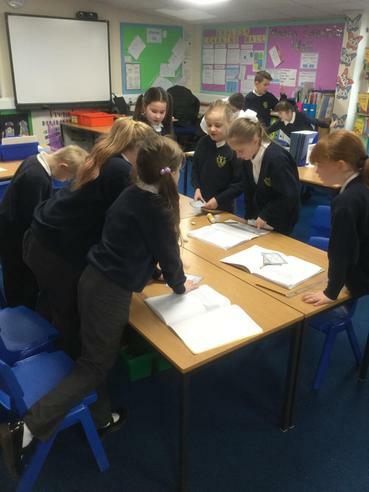 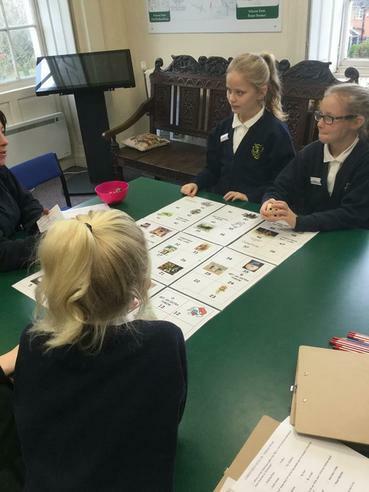 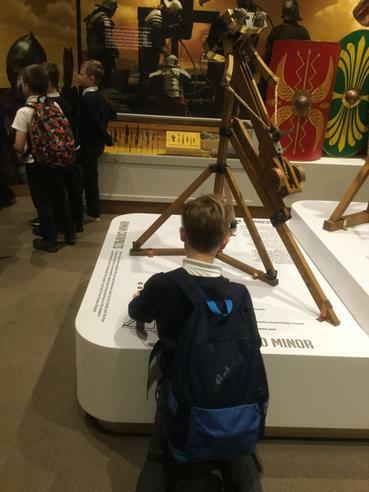 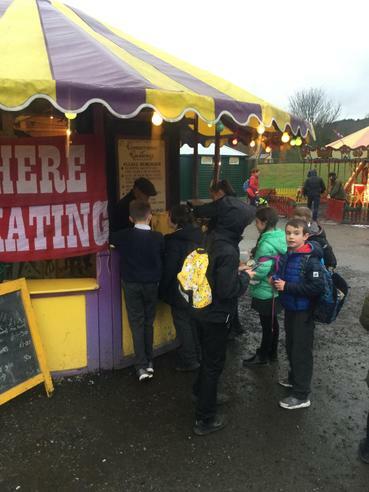 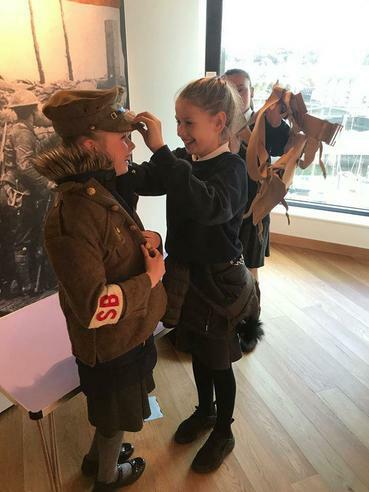 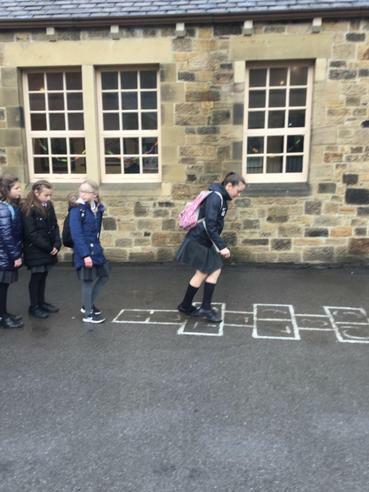 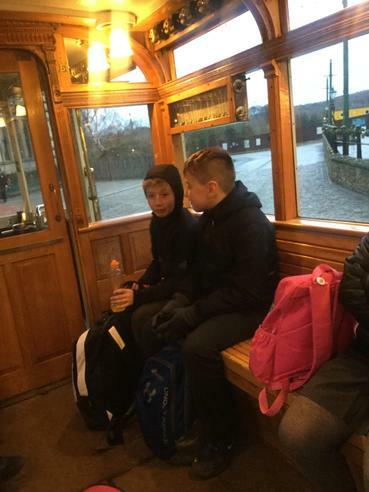 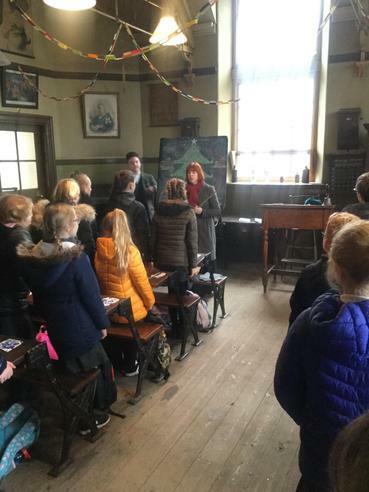 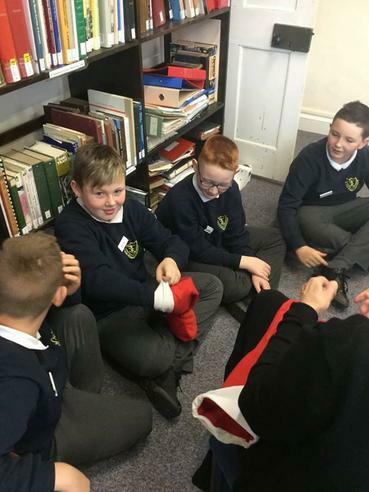 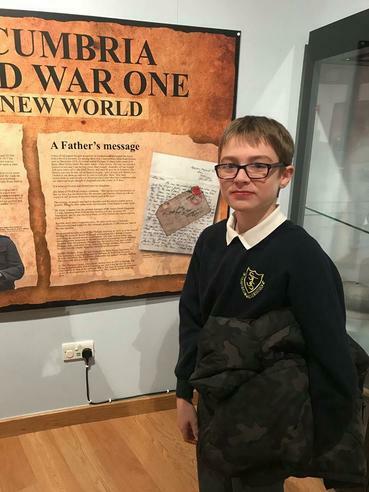 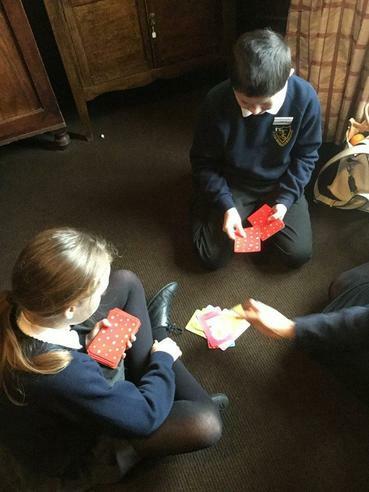 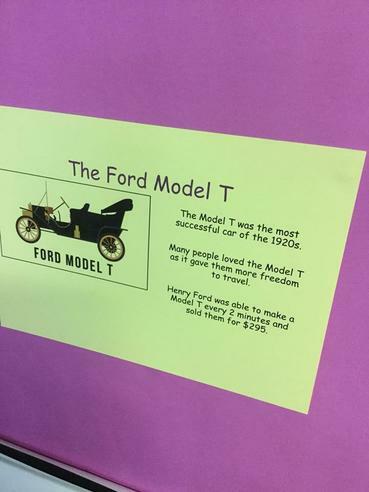 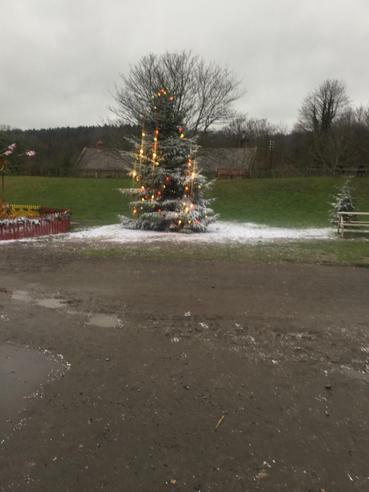 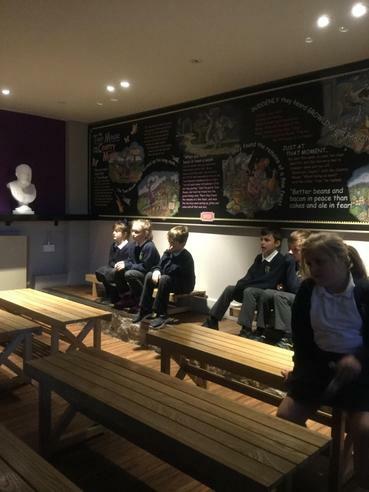 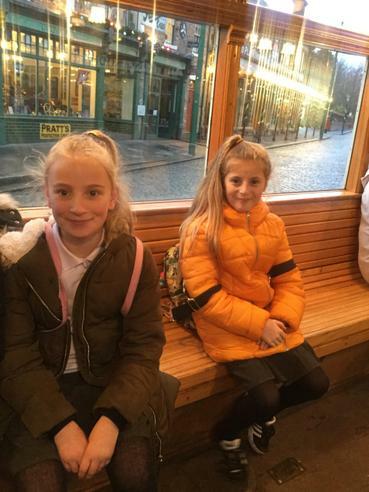 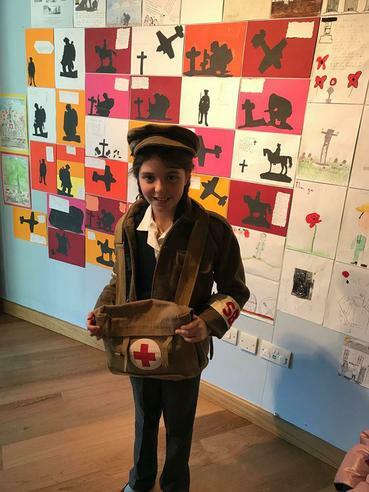 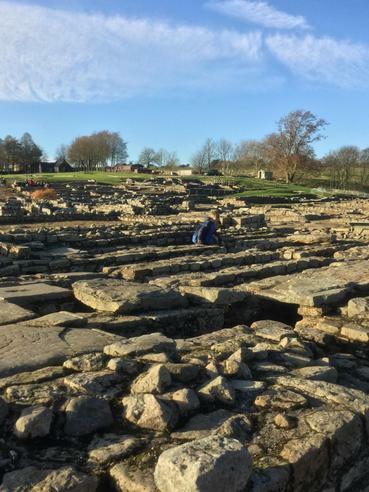 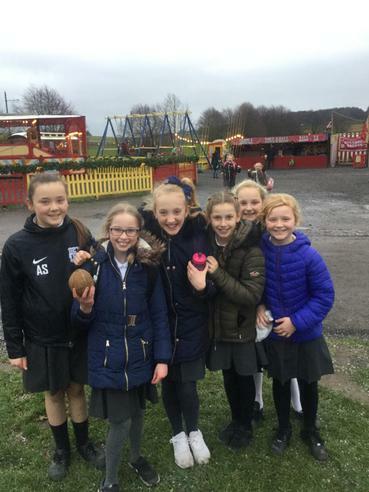 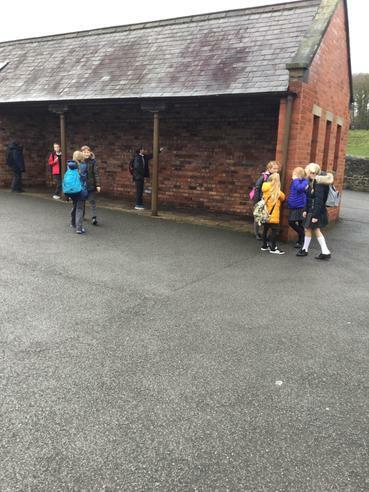 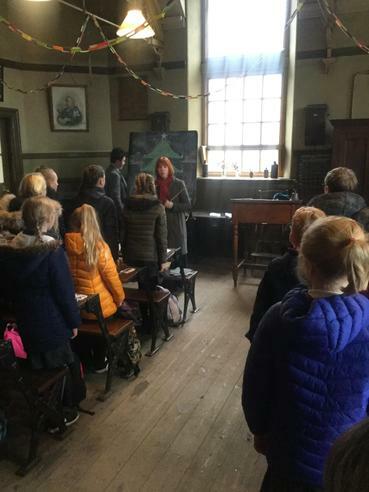 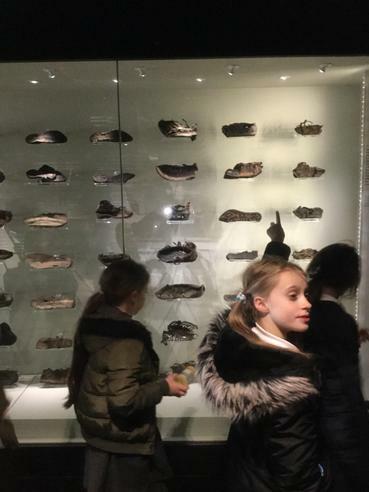 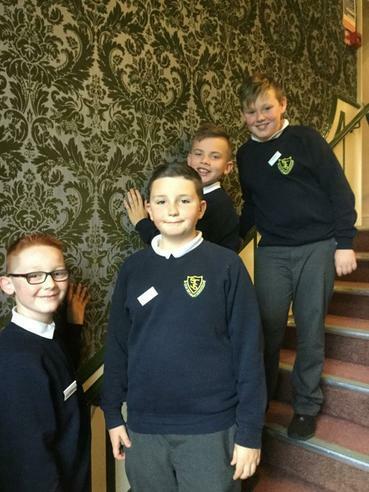 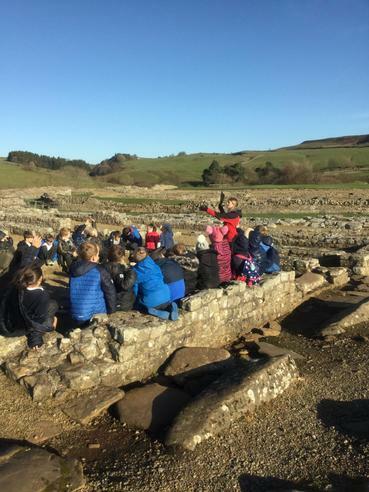 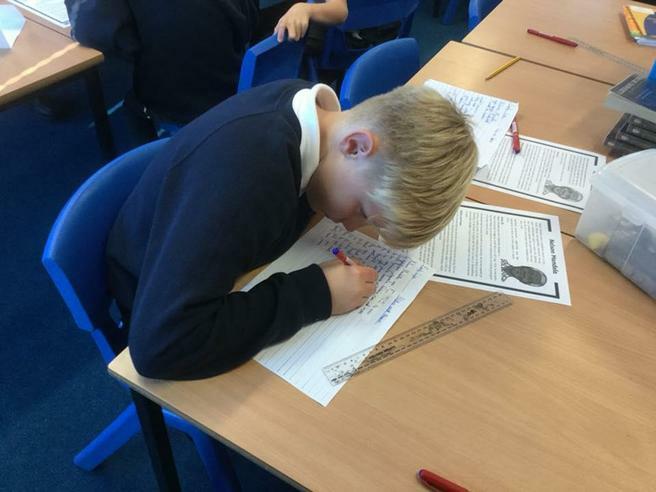 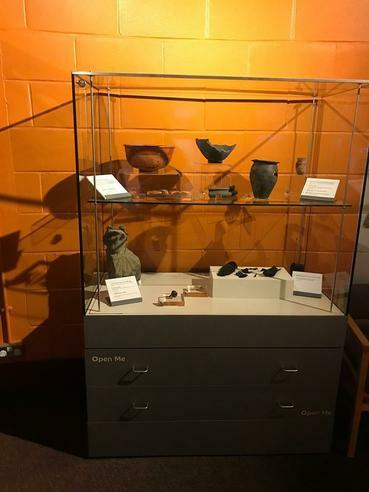 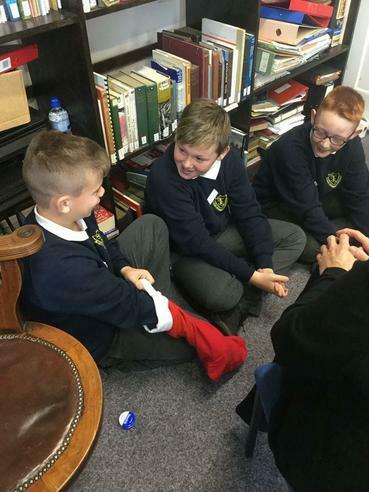 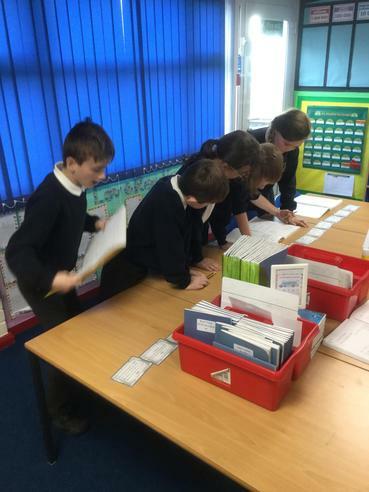 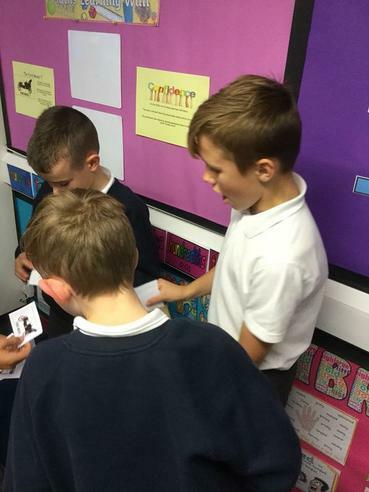 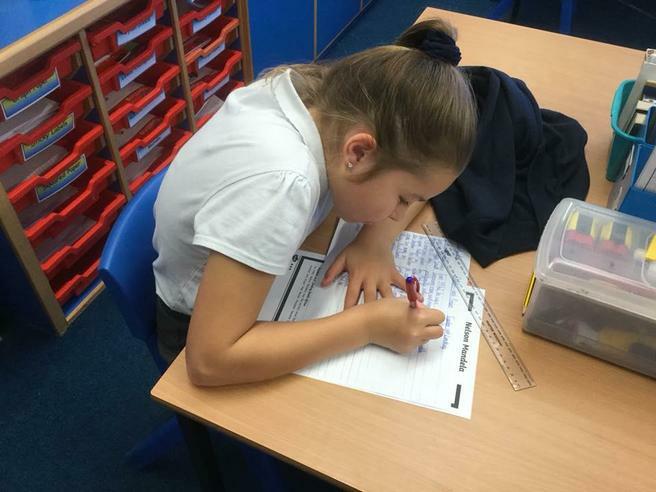 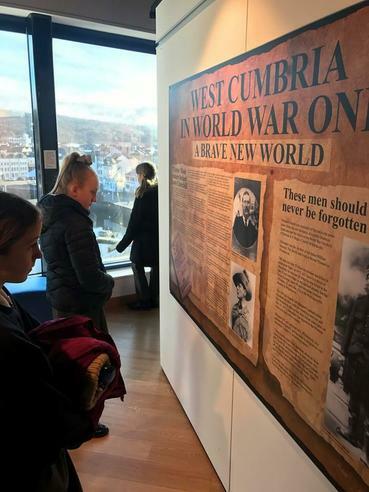 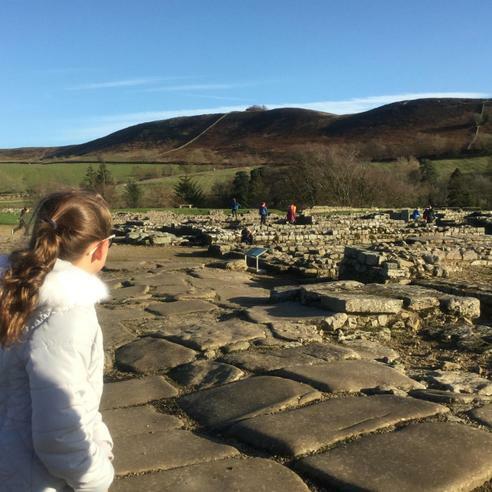 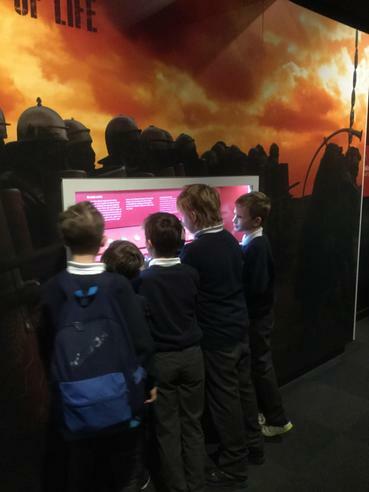 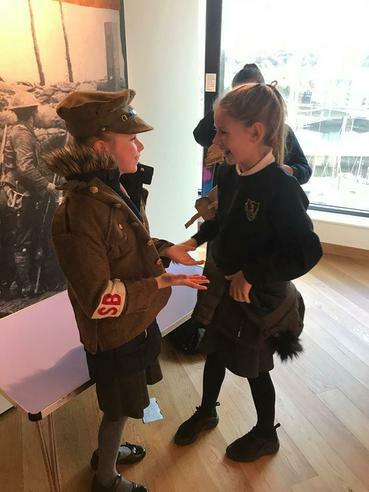 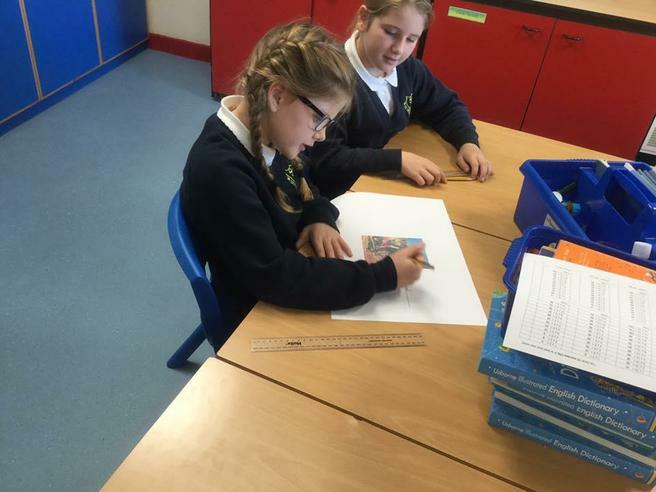 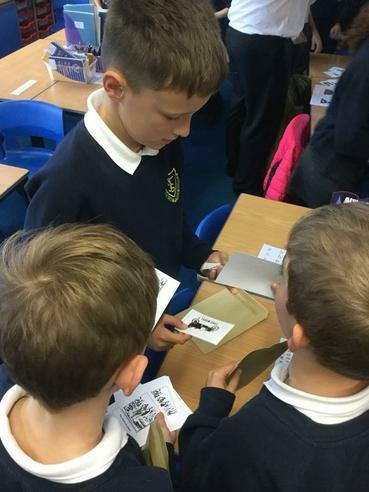 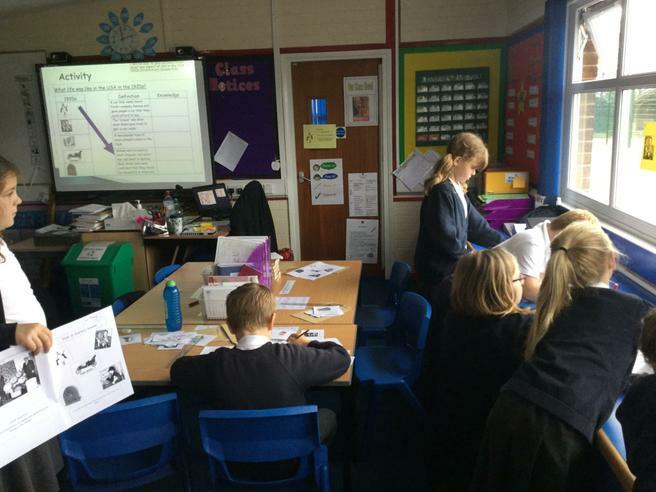 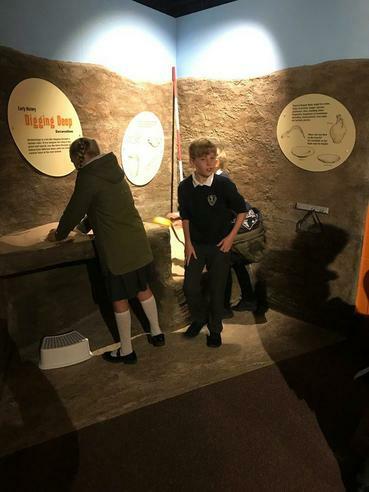 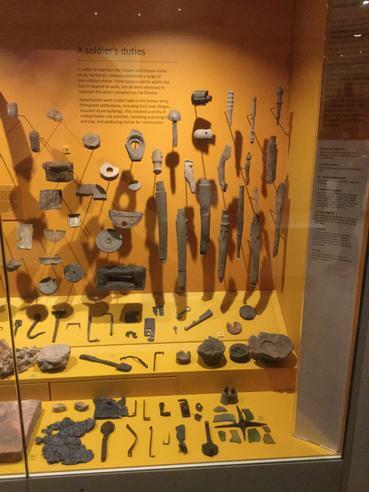 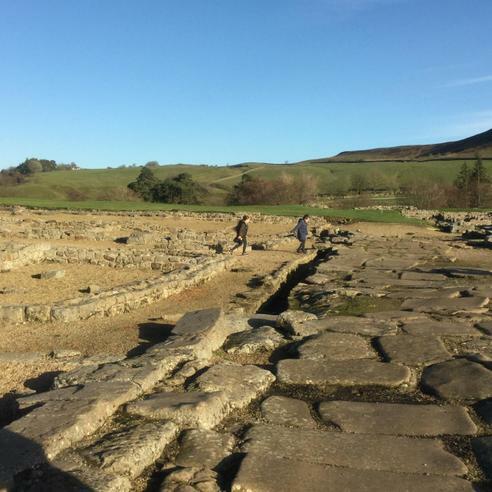 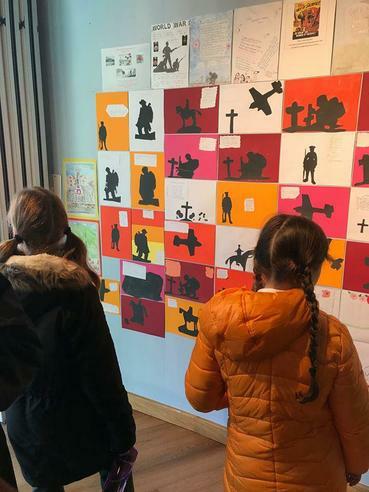 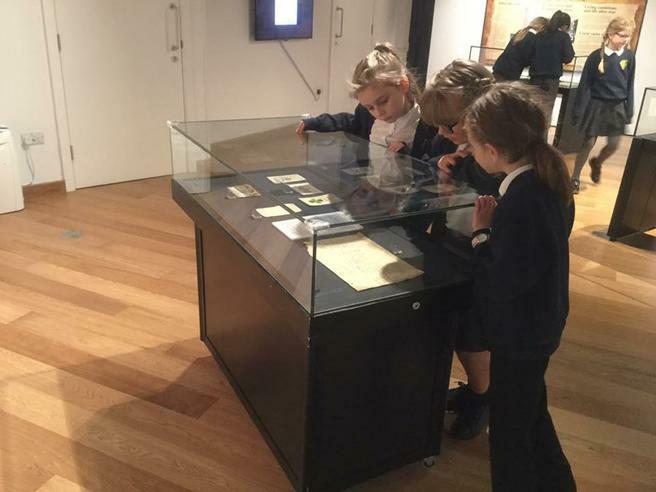 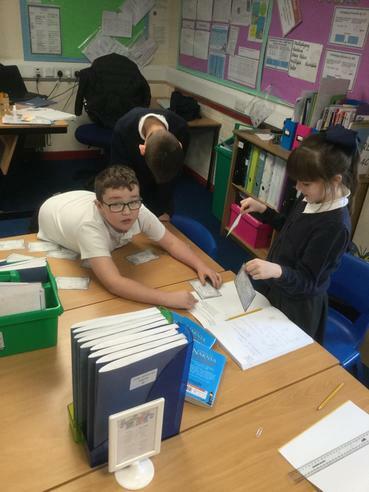 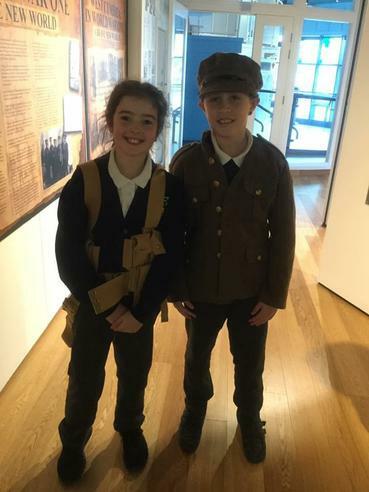 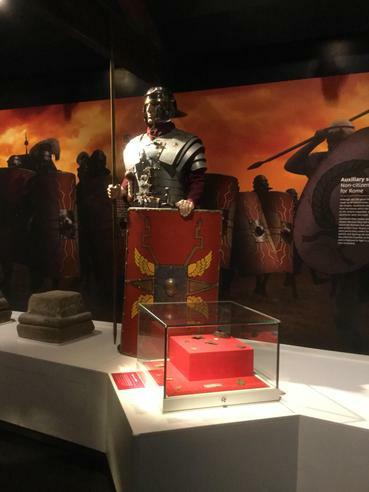 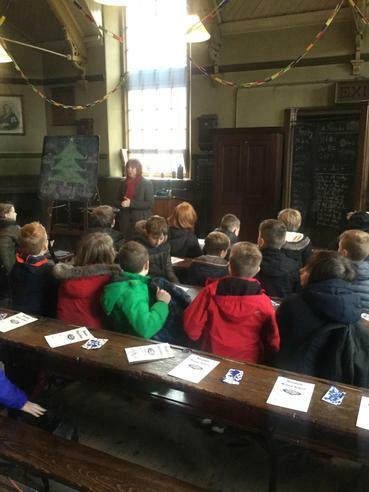 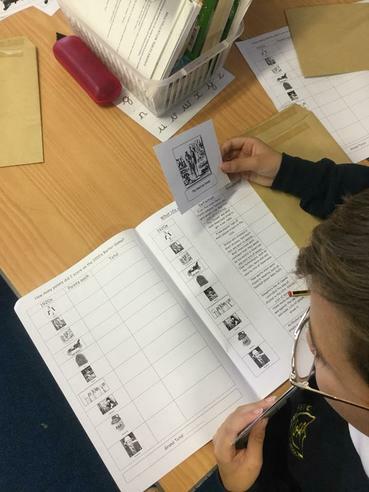 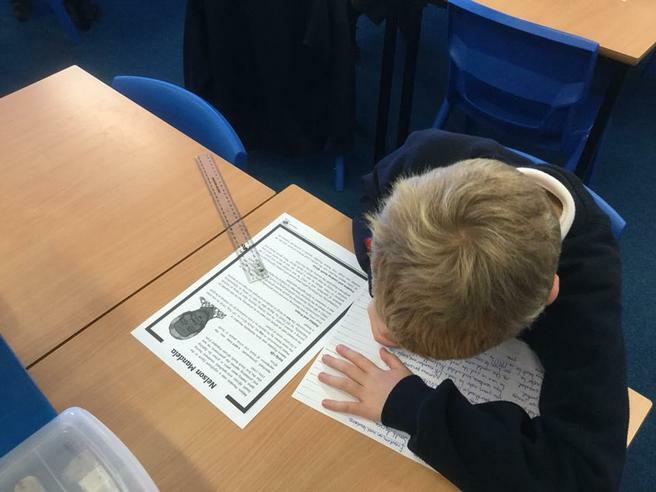 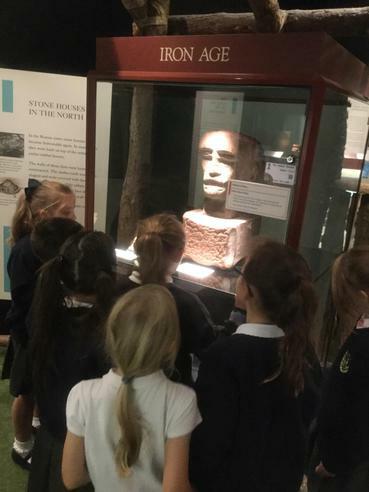 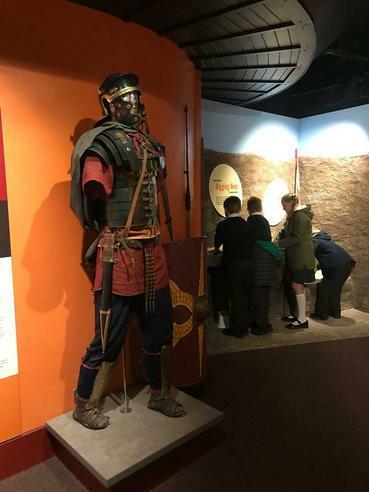 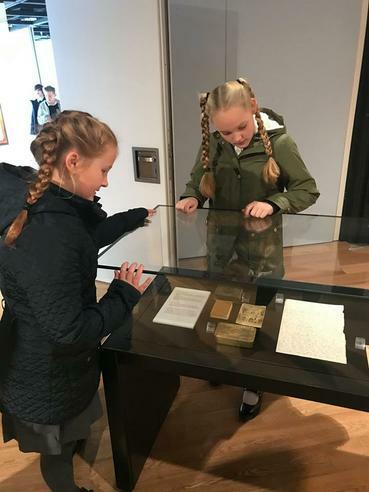 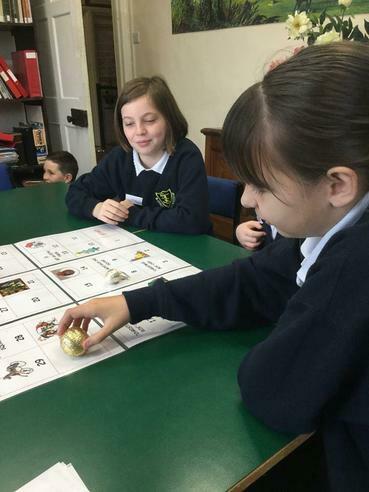 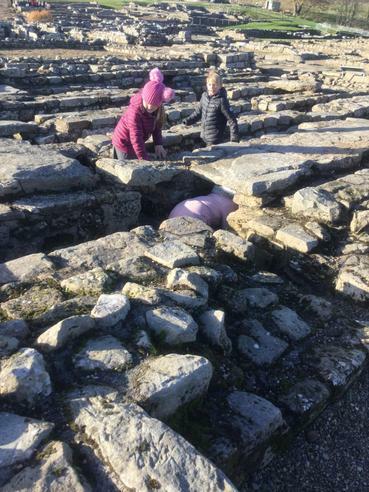 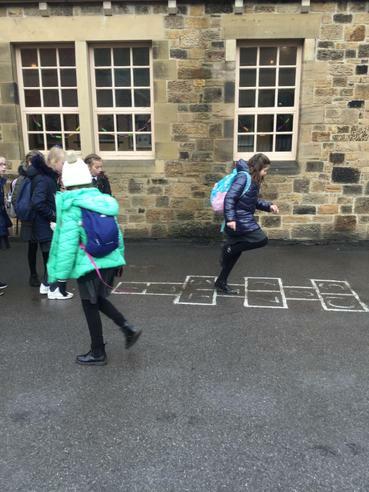 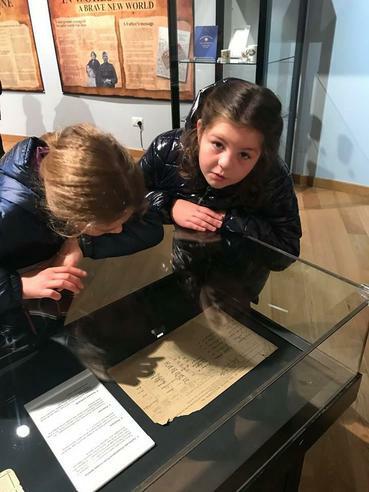 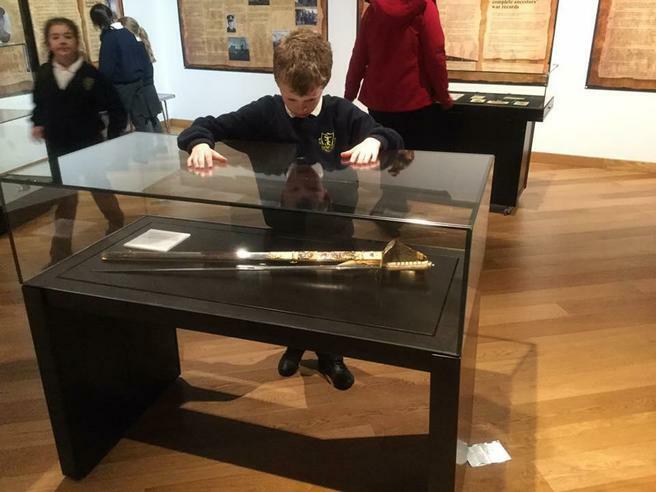 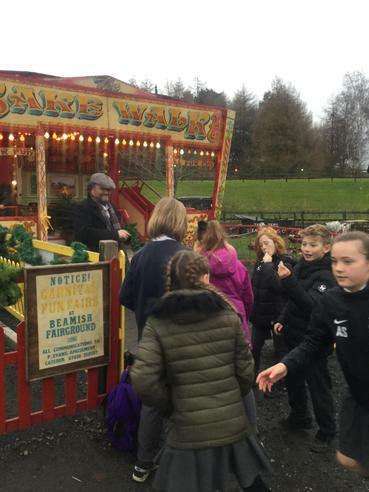 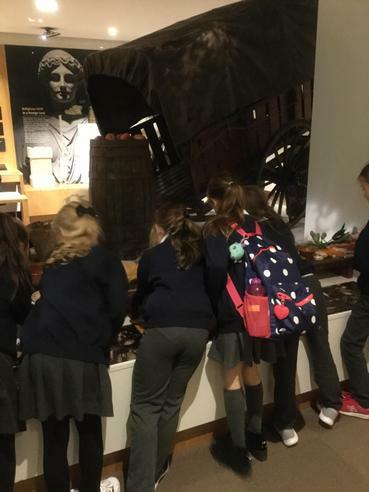 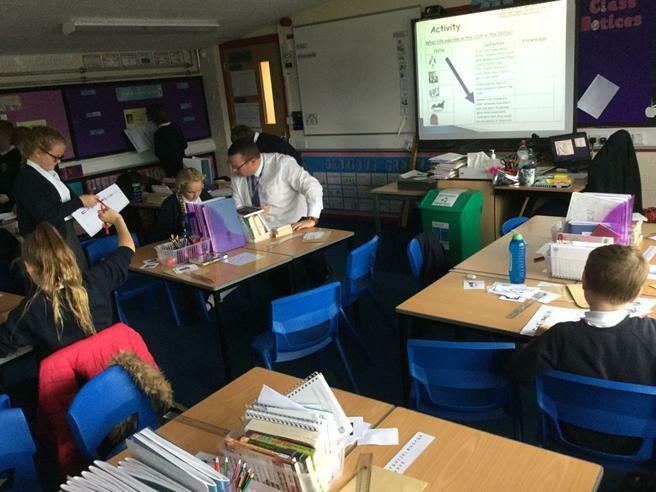 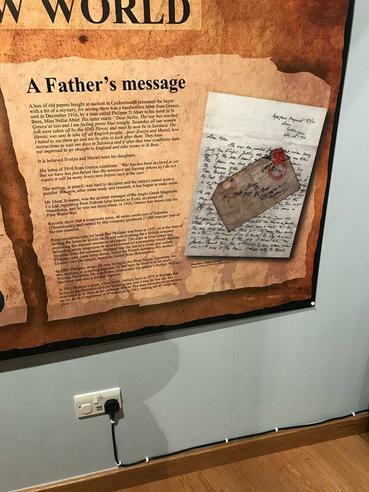 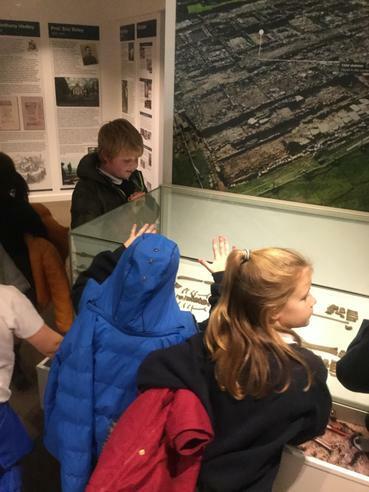 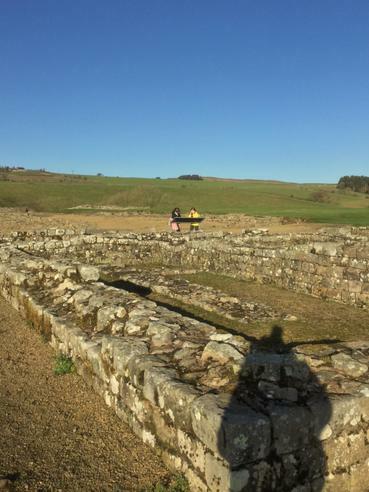 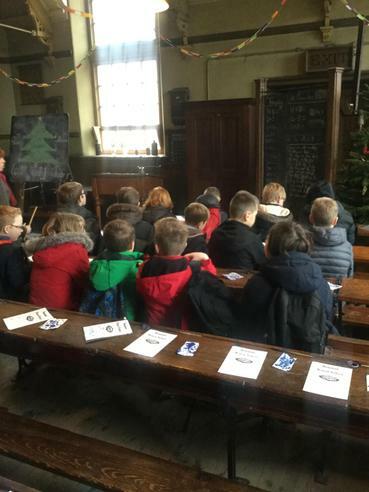 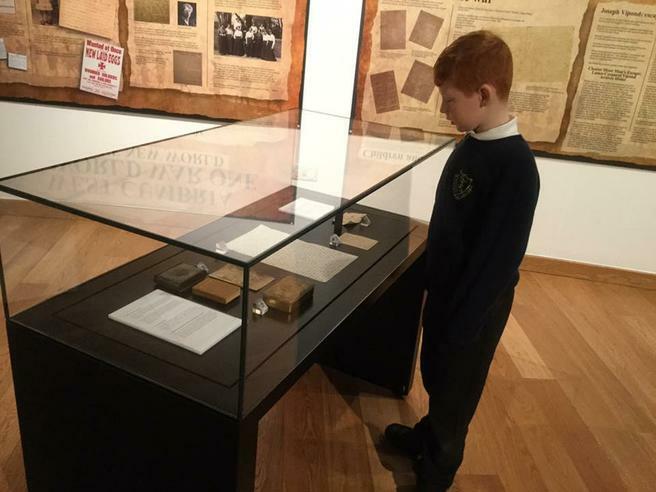 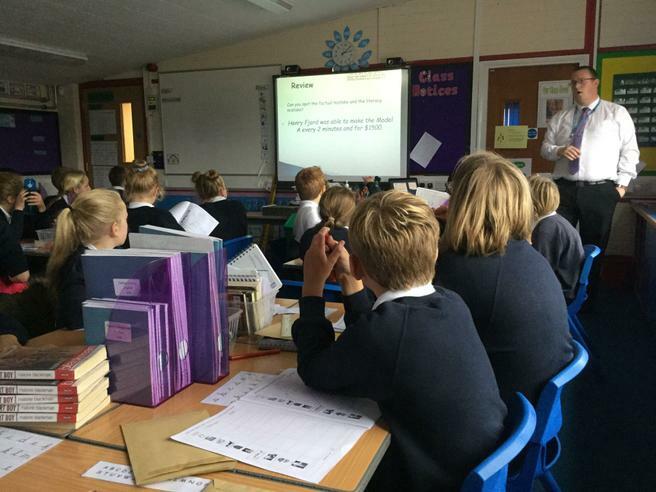 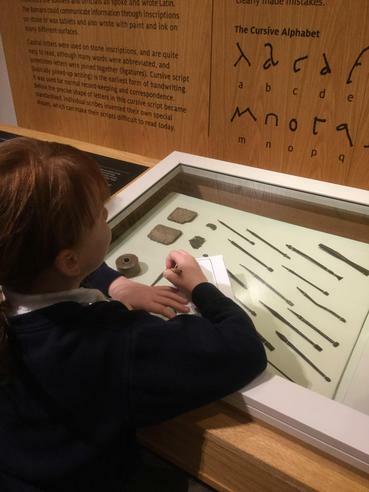 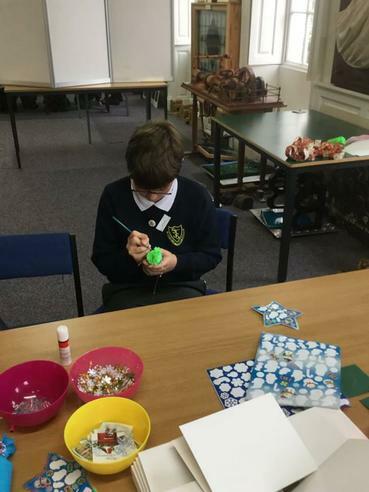 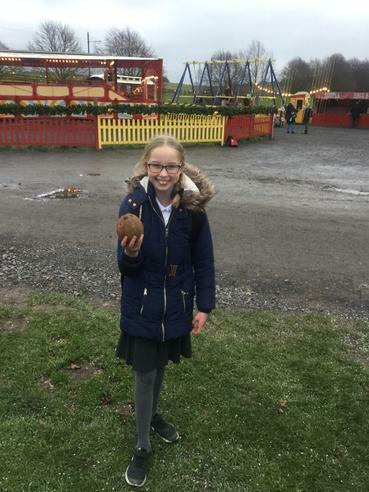 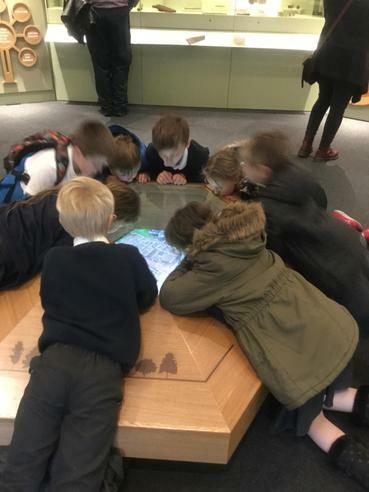 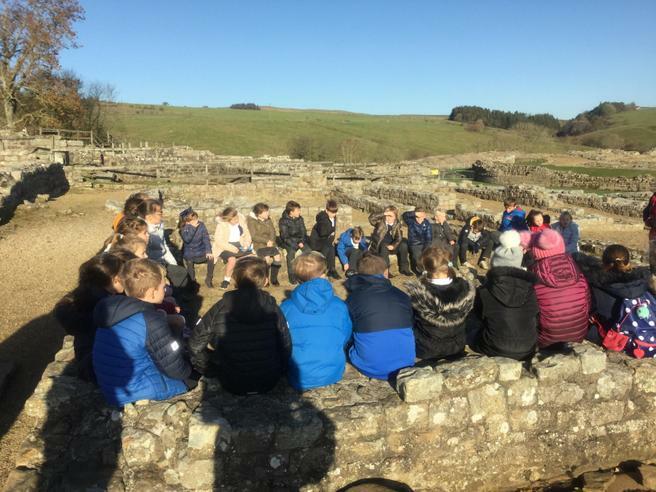 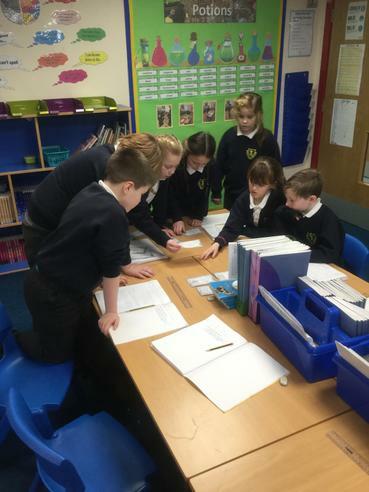 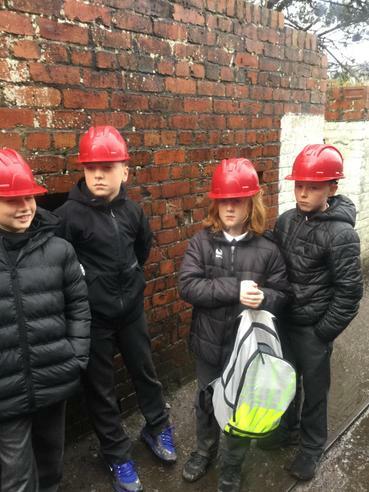 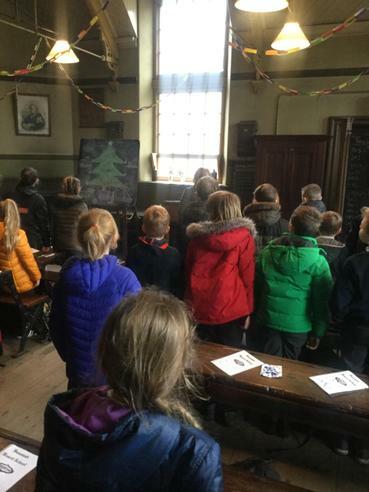 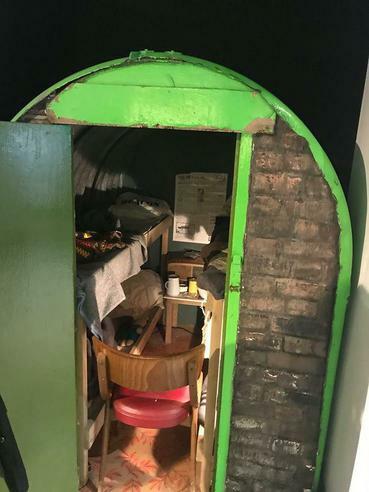 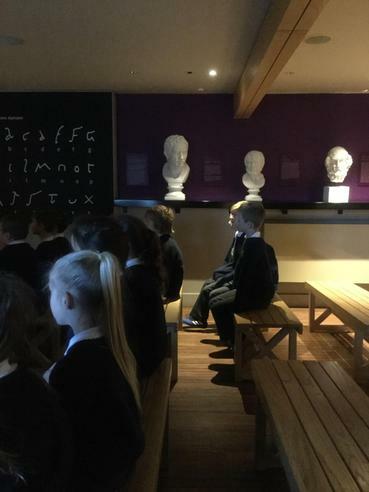 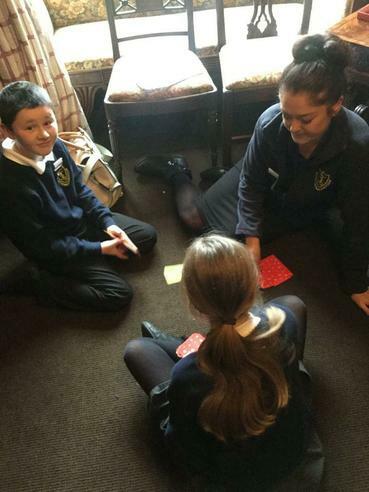 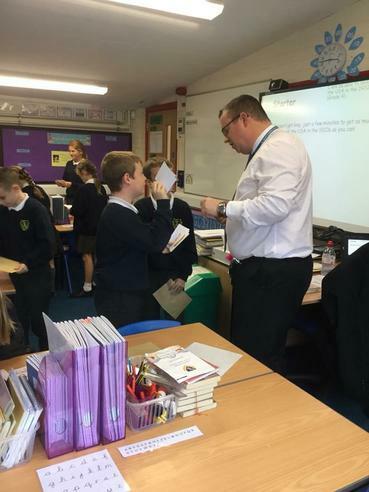 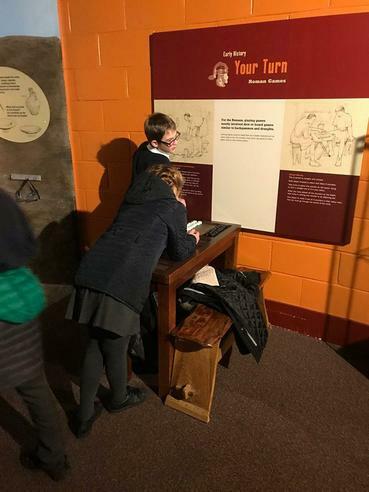 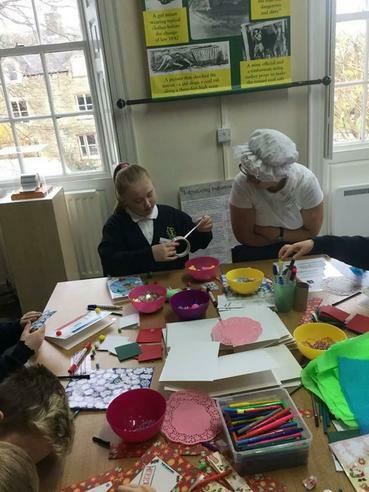 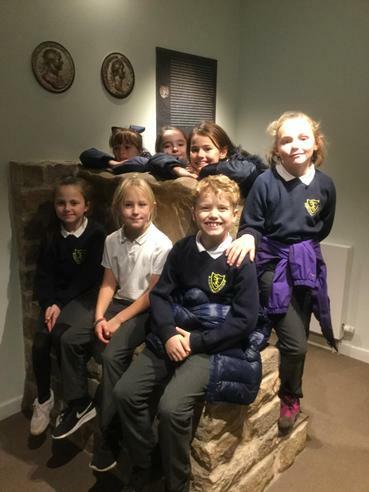 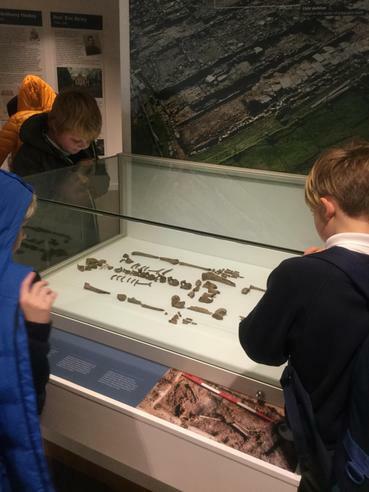 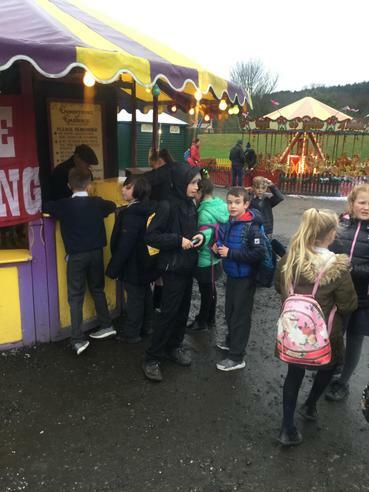 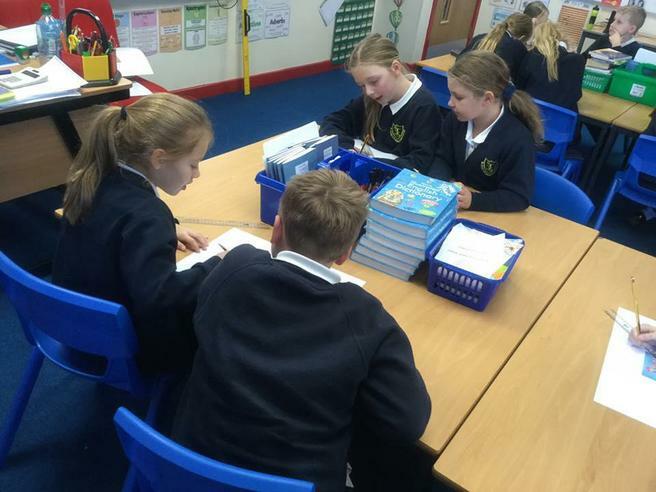 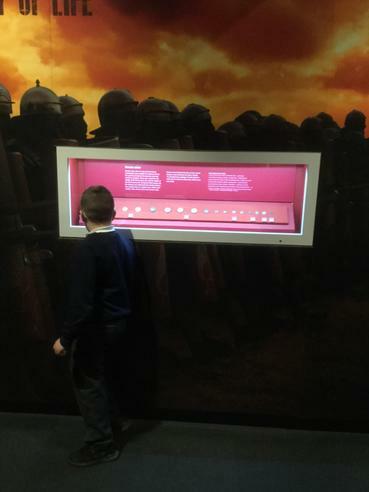 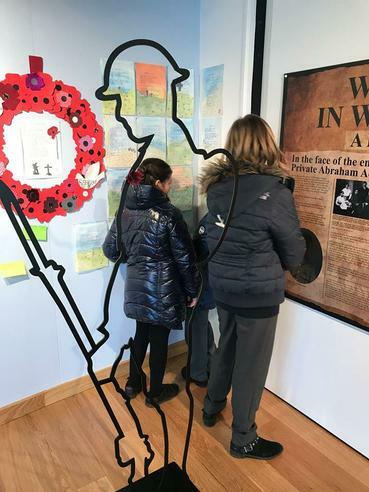 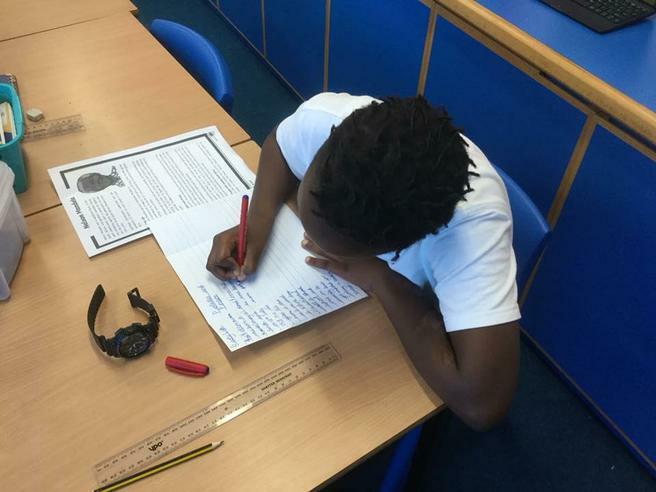 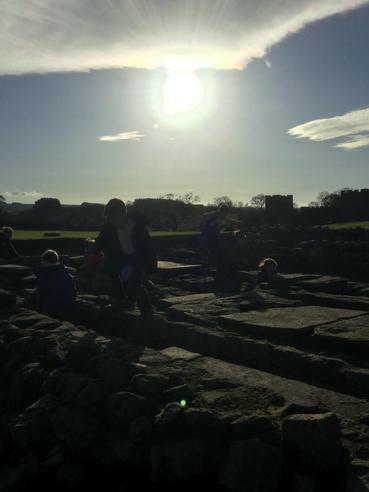 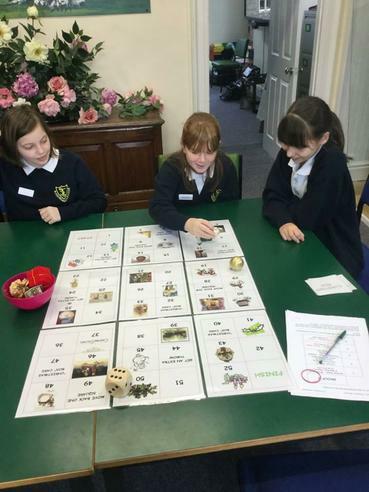 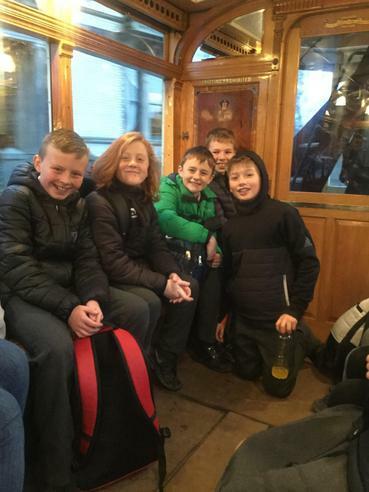 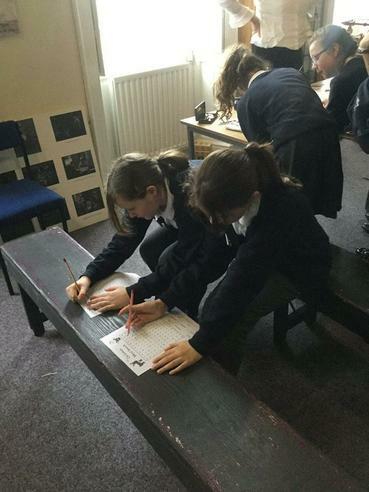 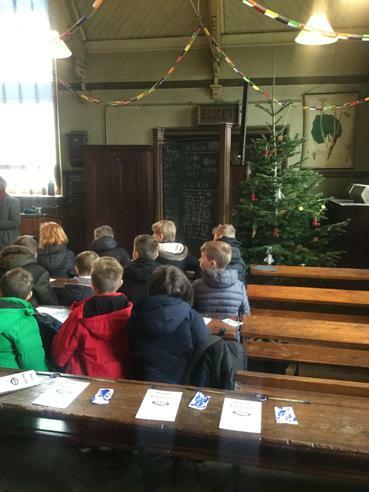 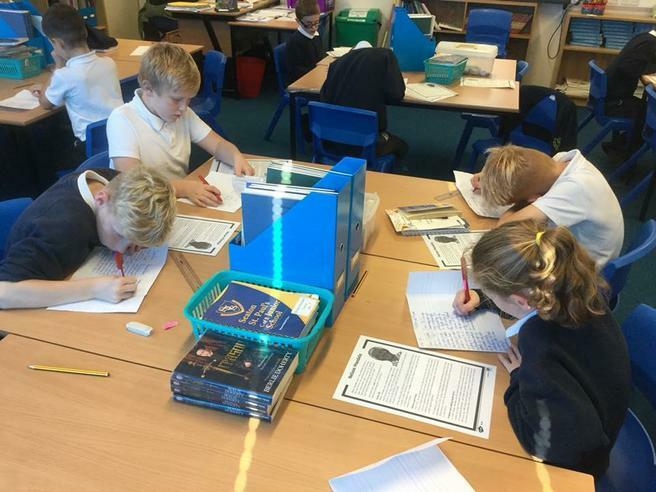 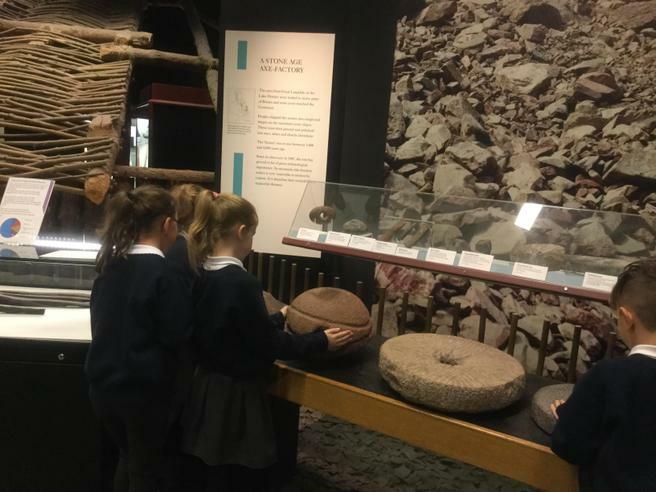 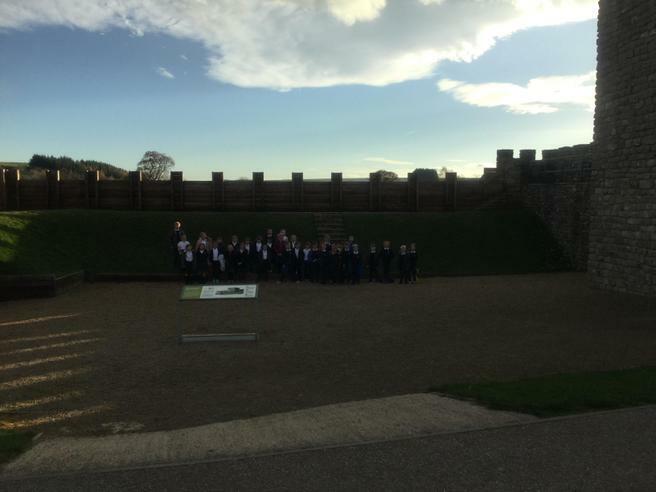 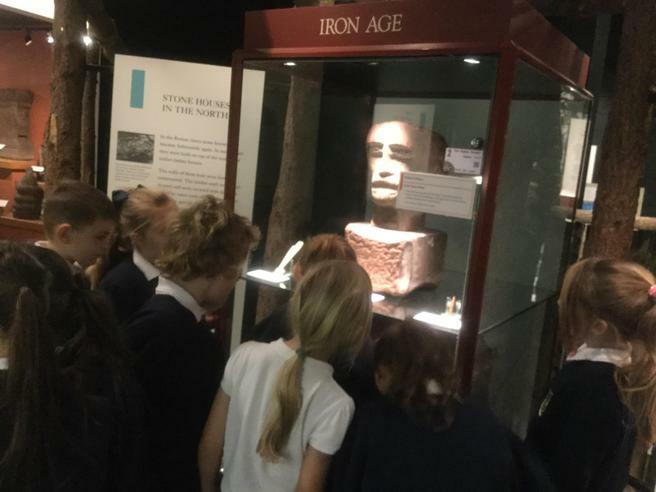 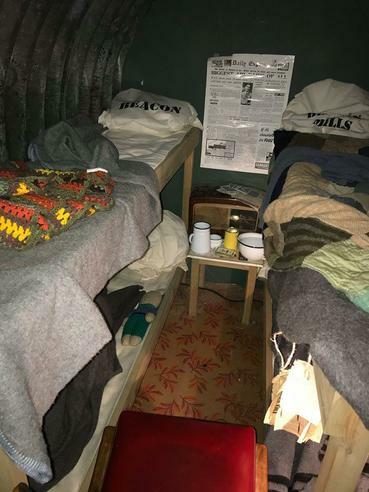 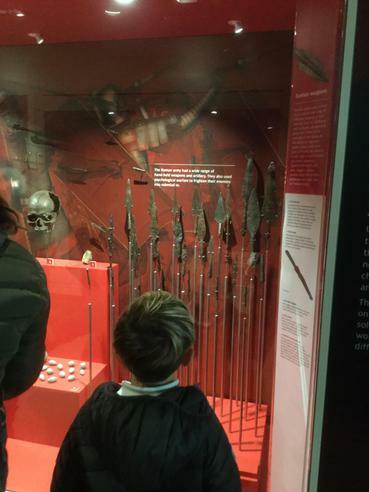 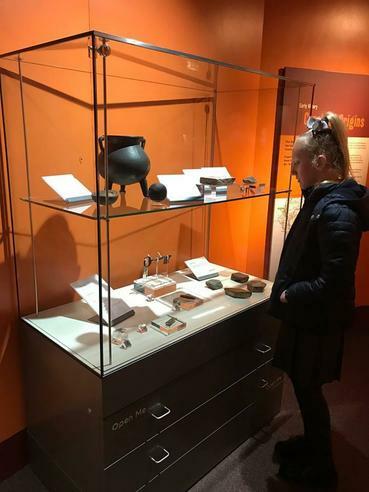 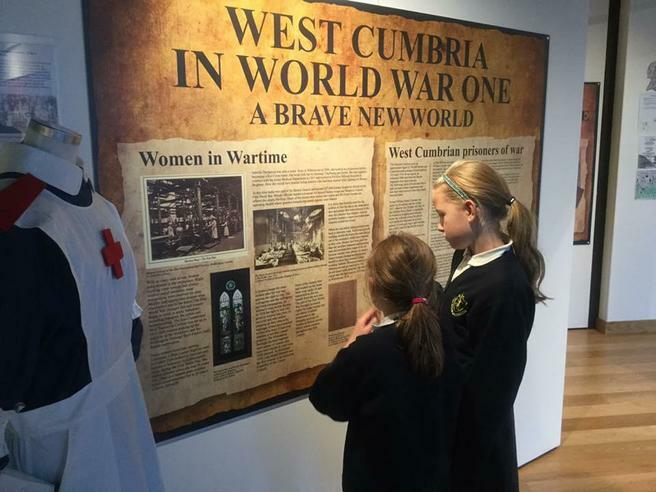 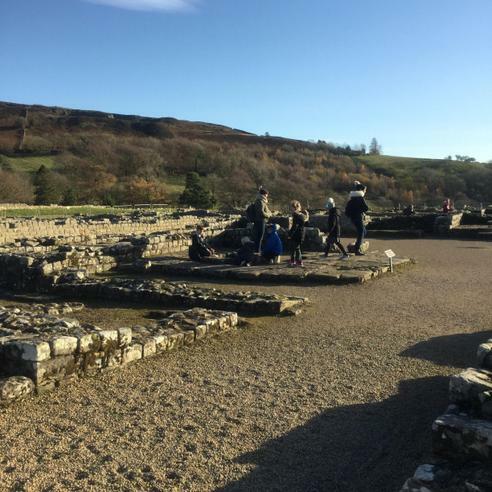 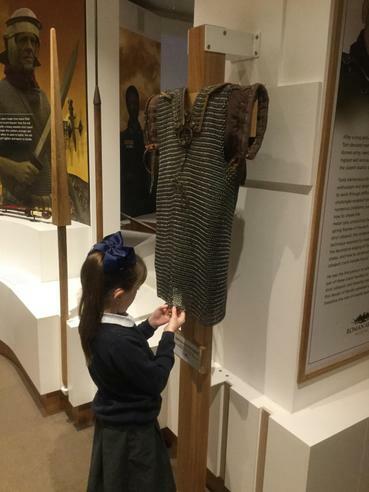 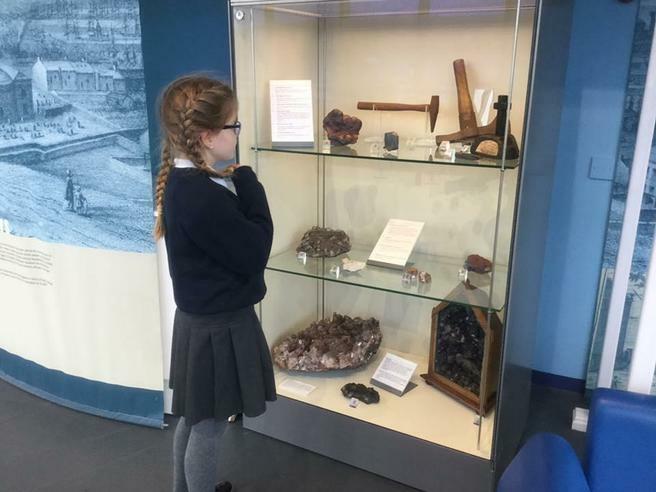 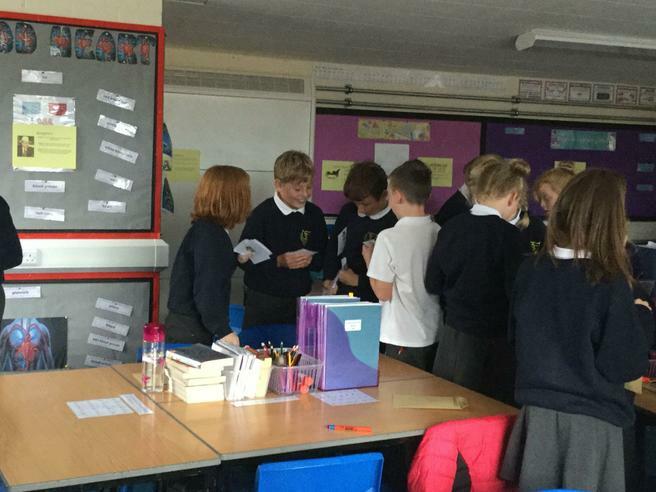 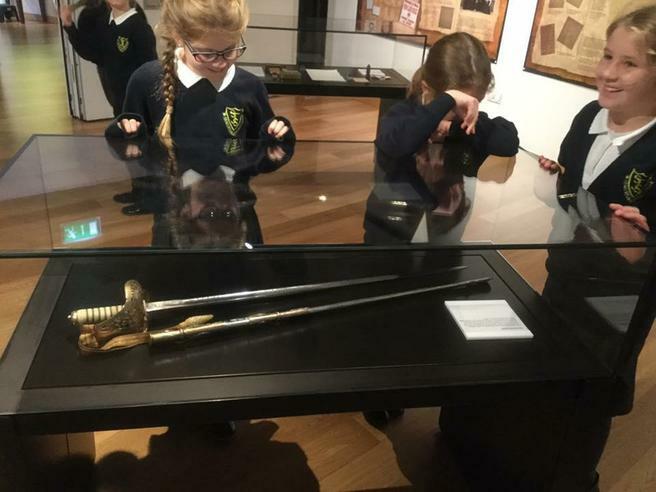 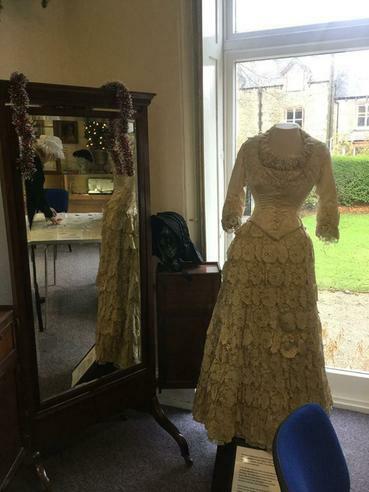 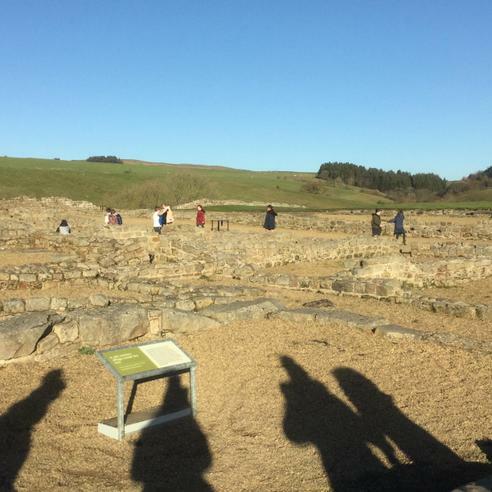 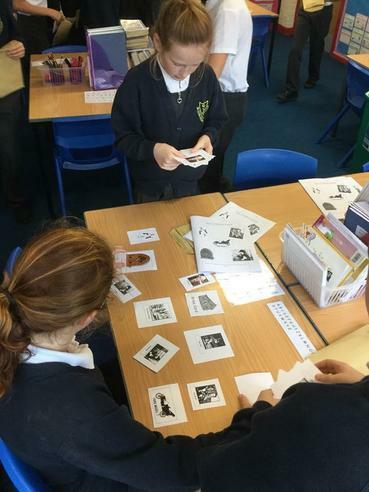 During our History topics, we have the opportunity to use a variety of sources and artefacts, visit historical sites as well as inviting visitors into school. 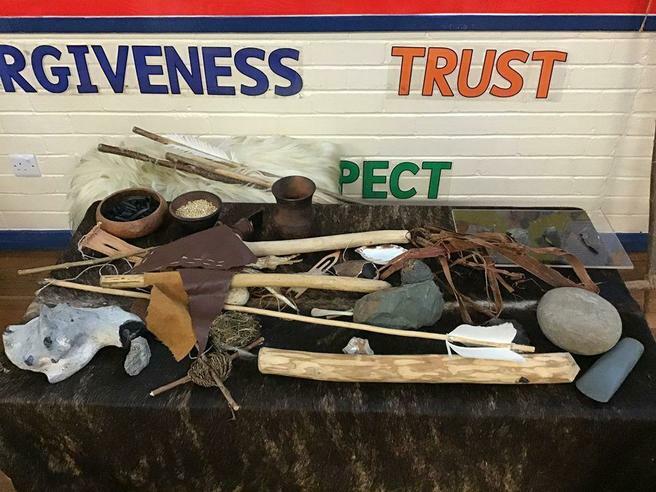 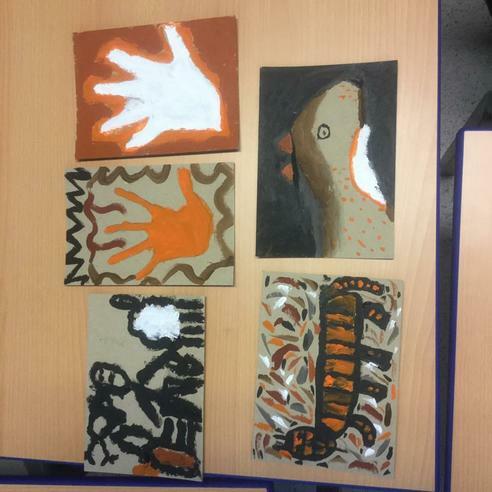 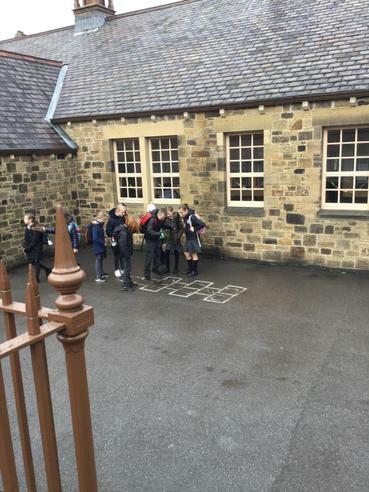 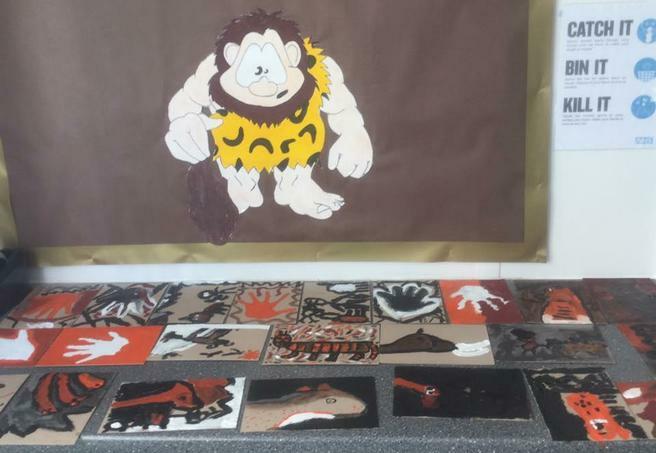 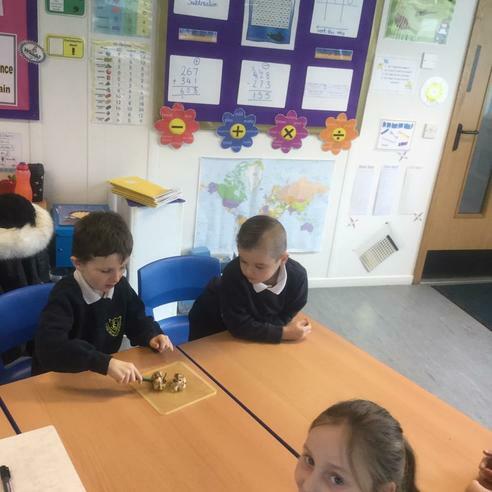 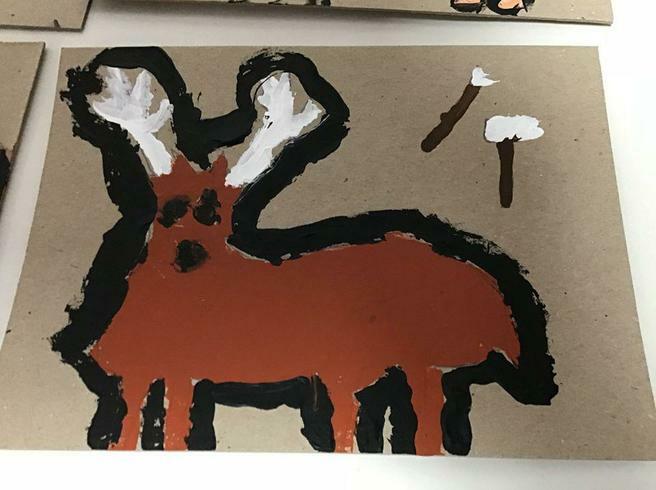 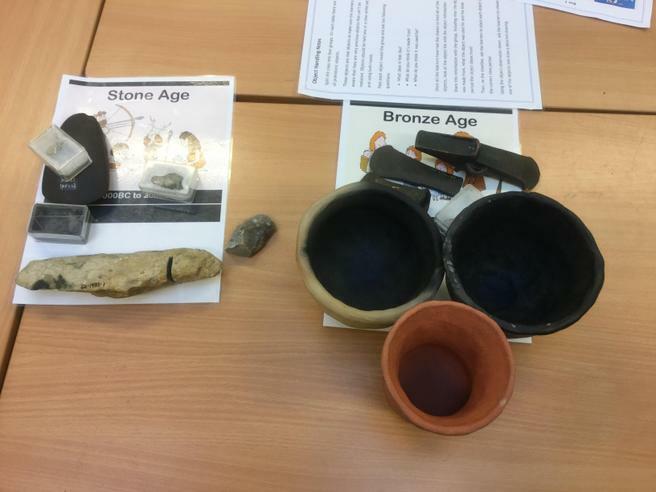 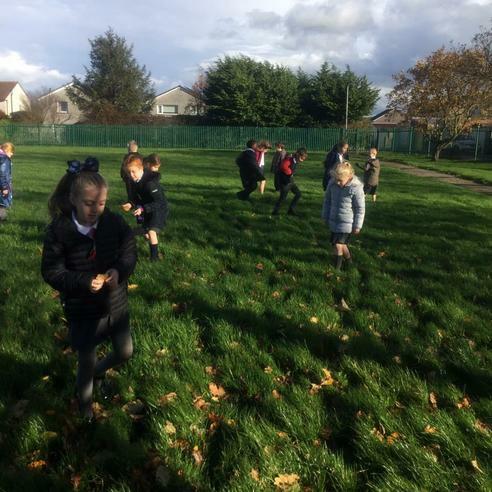 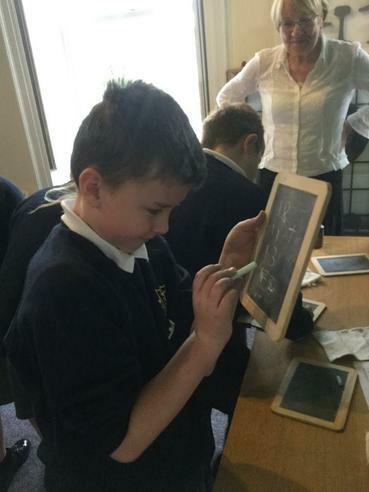 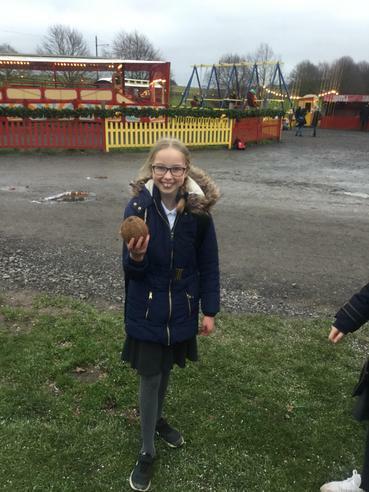 3Q enjoyed a Stone Age themed day yesterday. 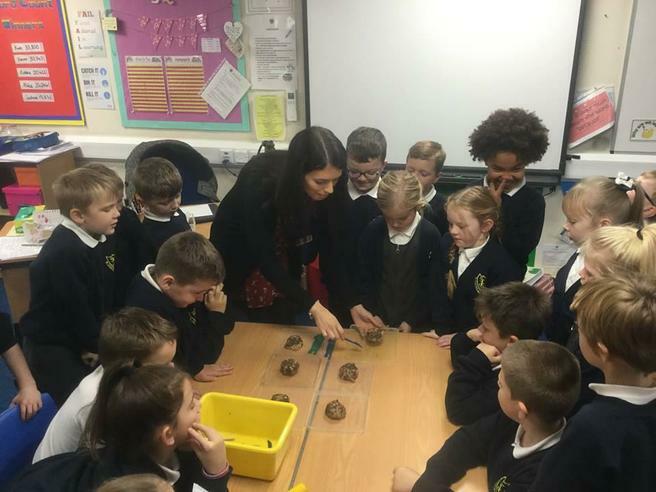 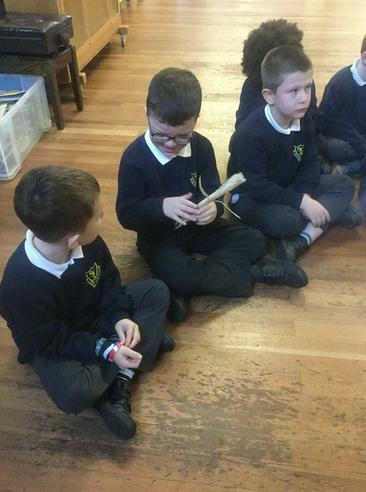 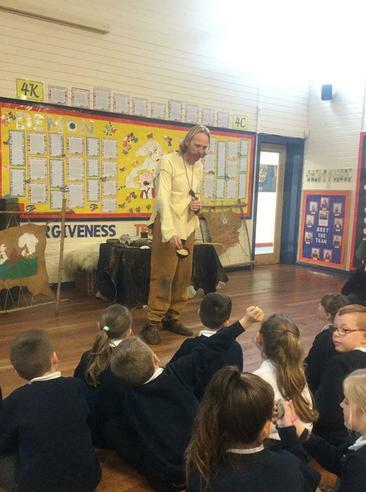 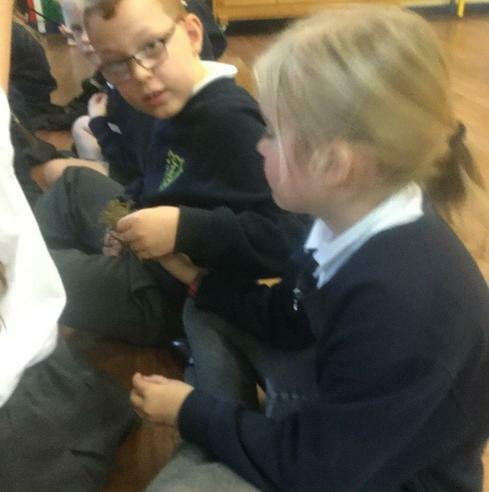 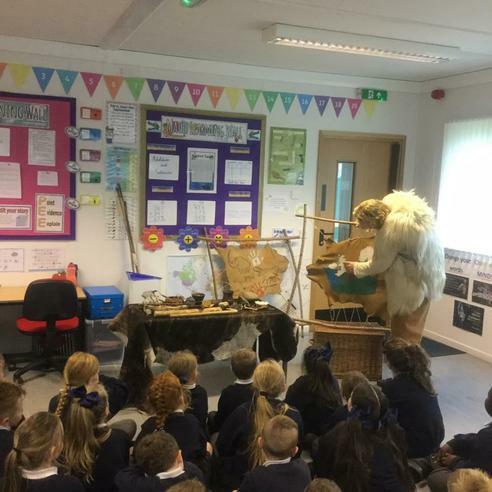 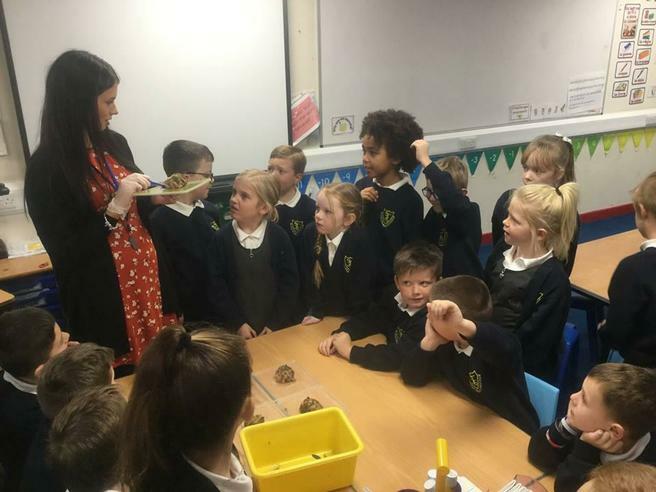 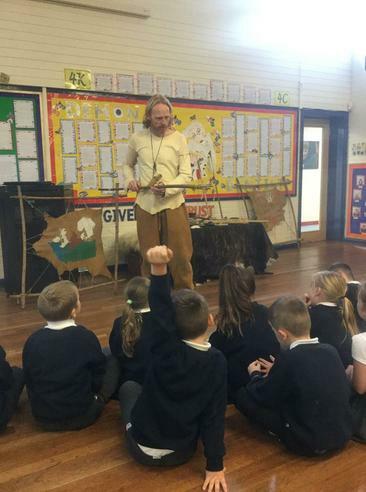 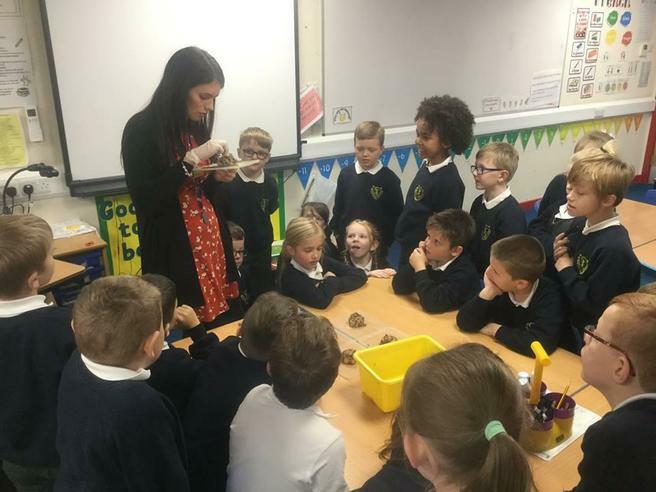 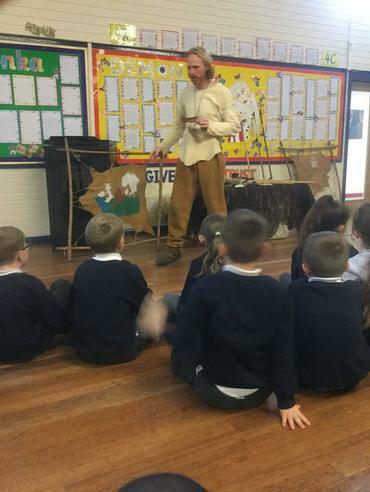 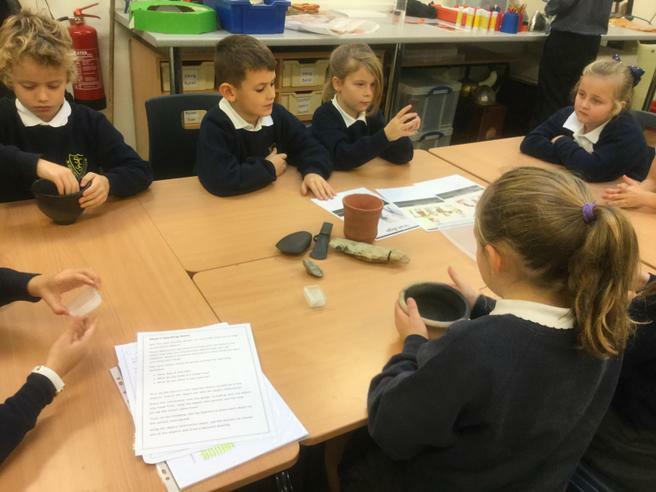 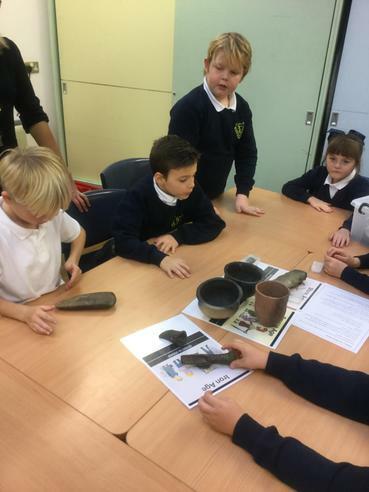 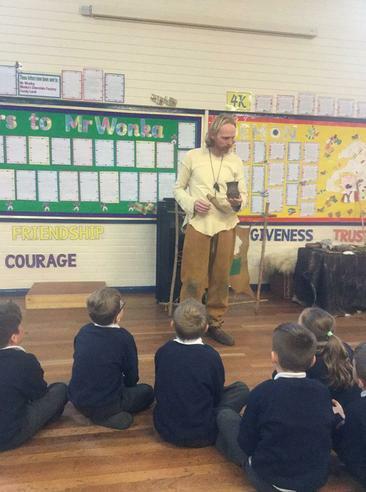 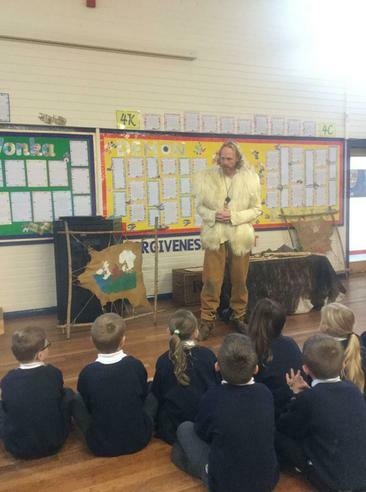 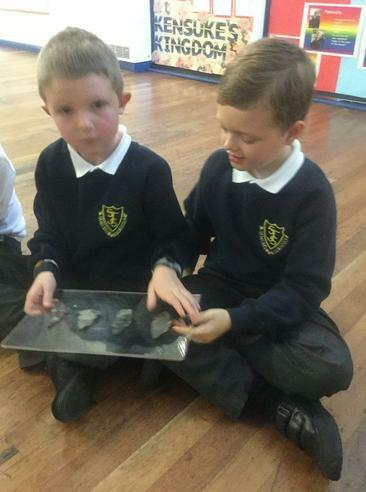 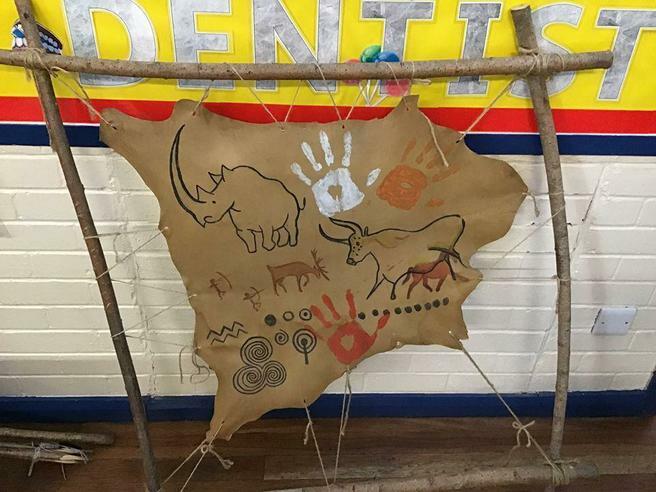 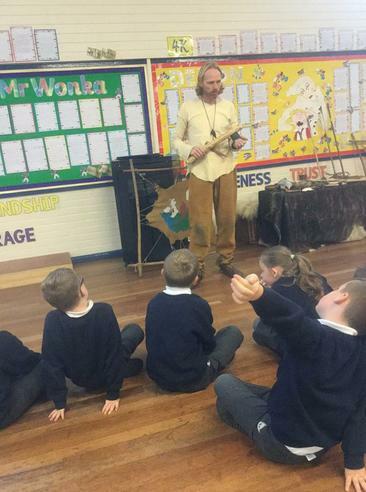 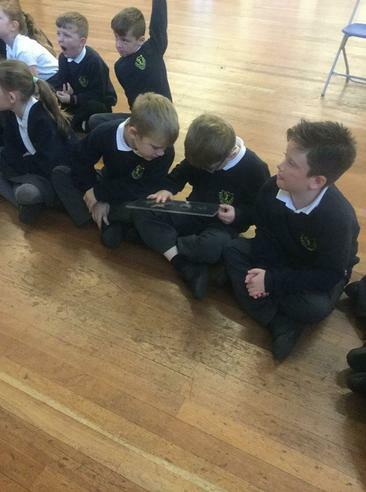 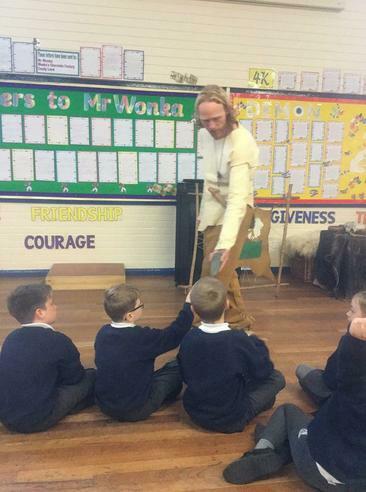 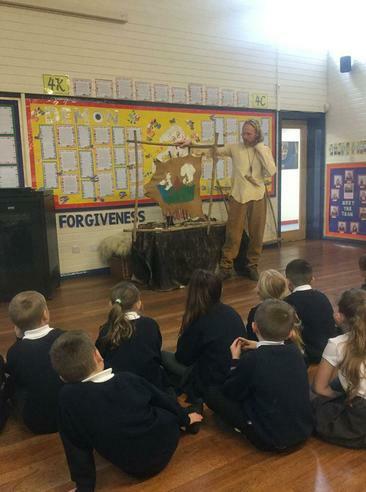 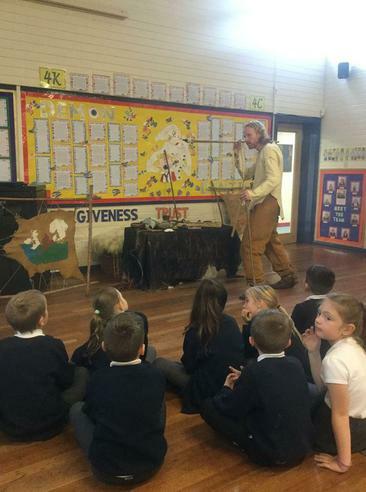 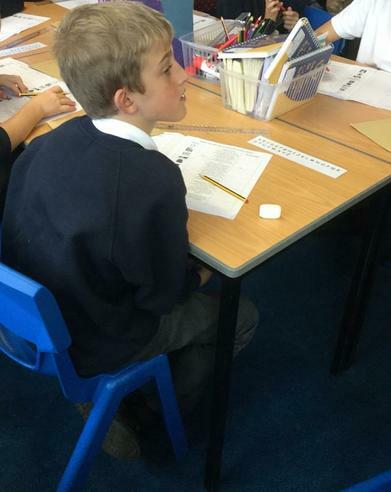 They welcomed a visitor to the school who taught them lots about the Early Stone Age. 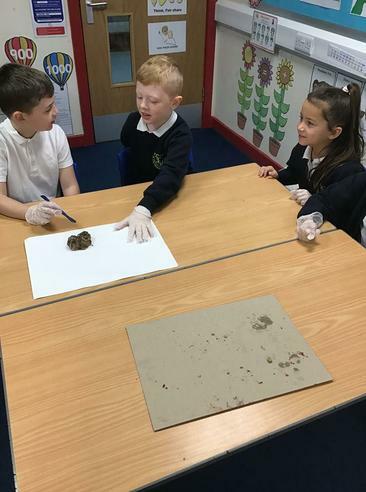 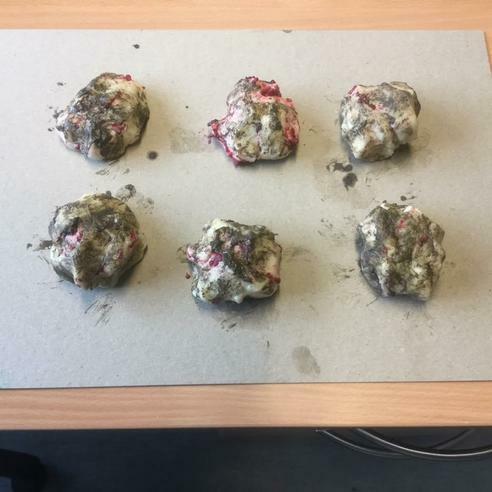 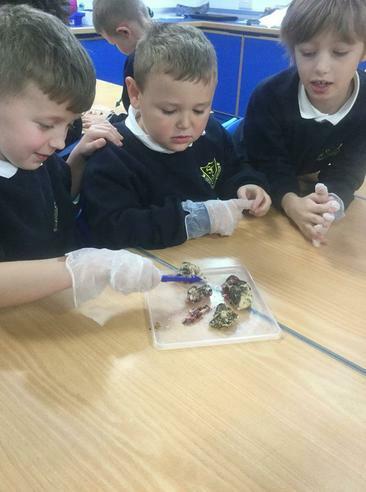 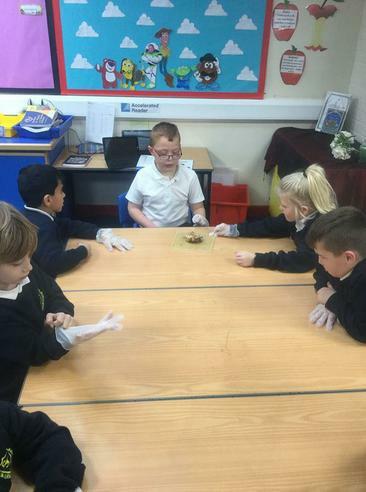 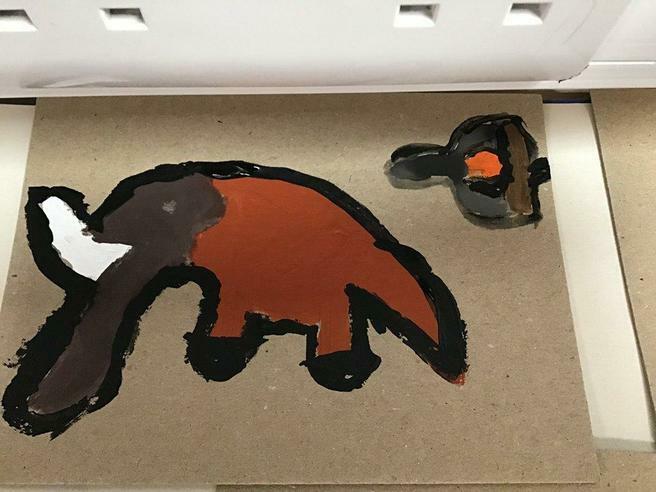 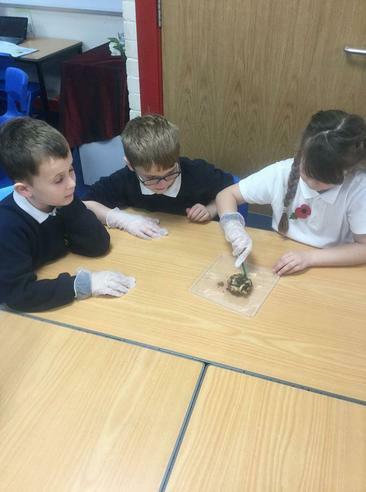 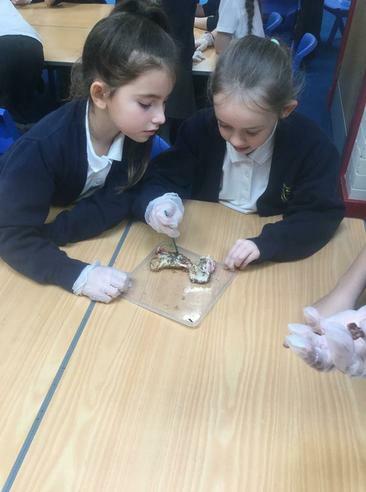 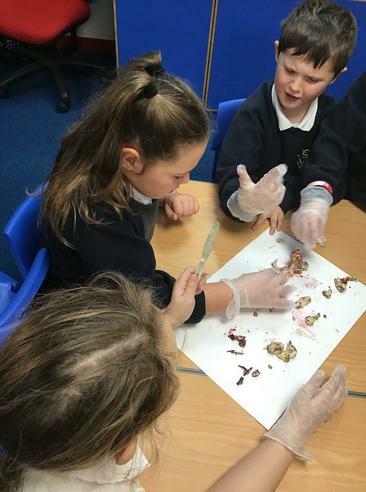 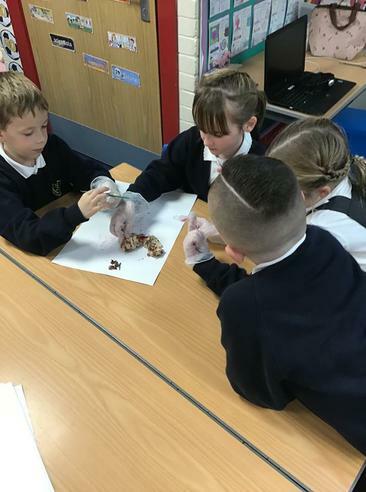 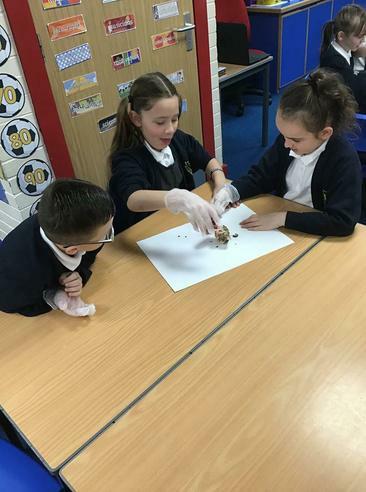 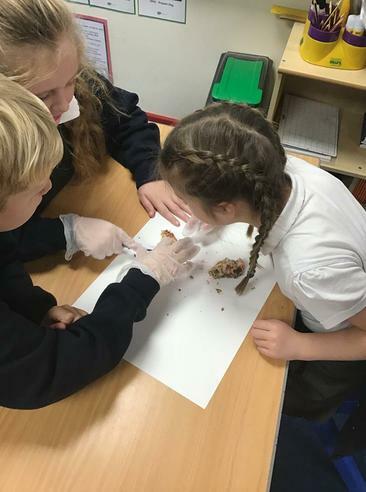 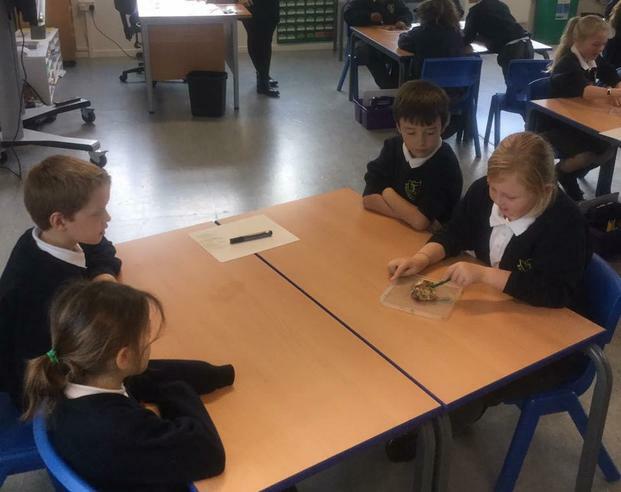 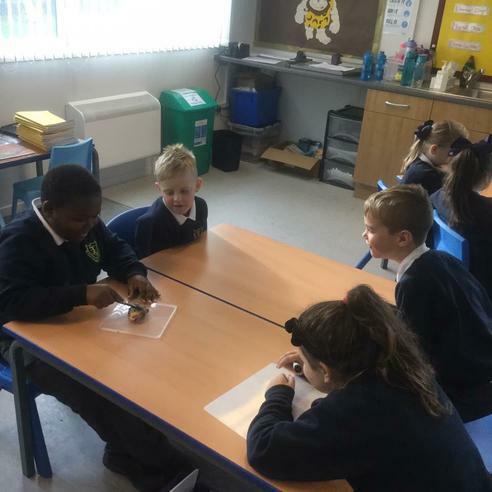 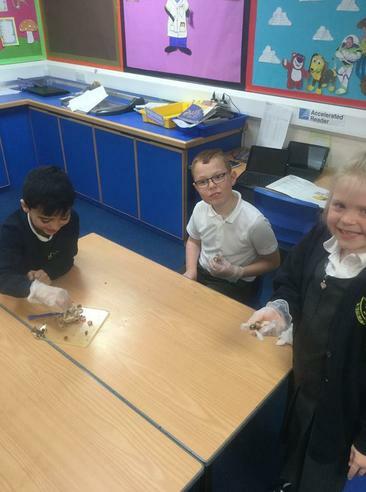 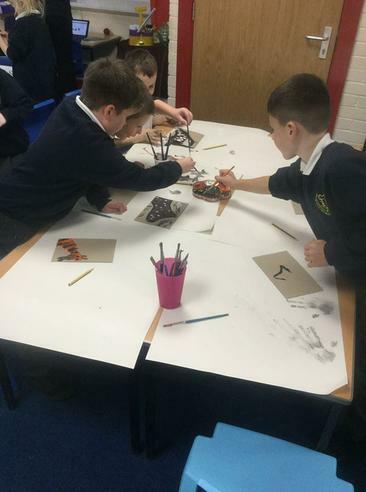 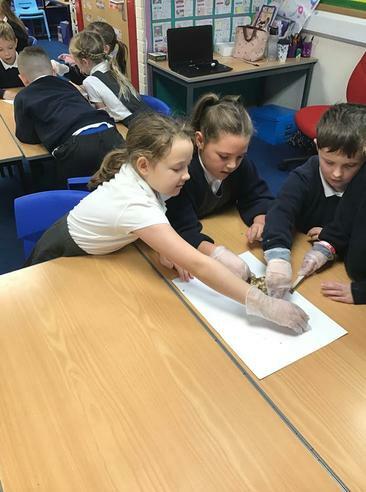 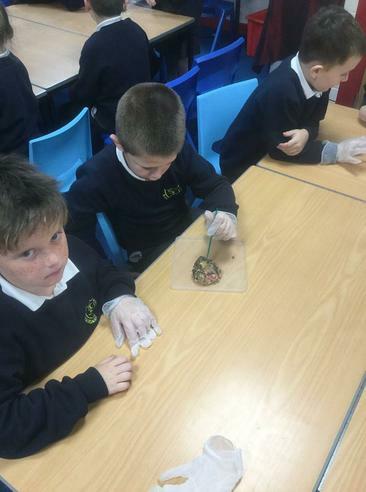 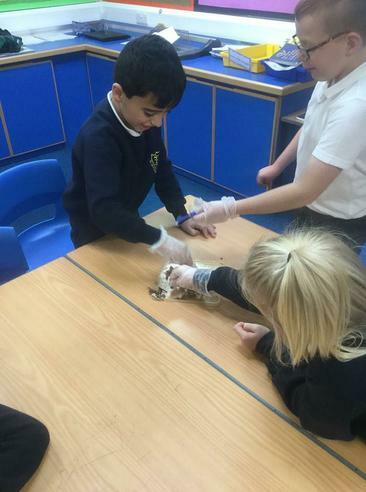 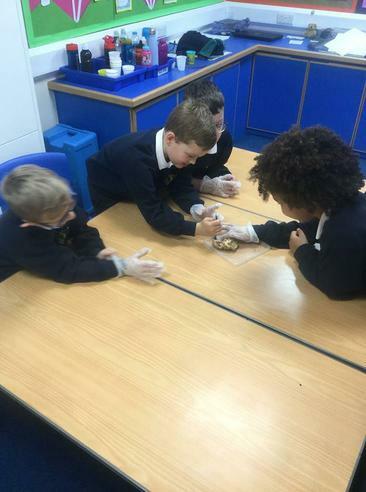 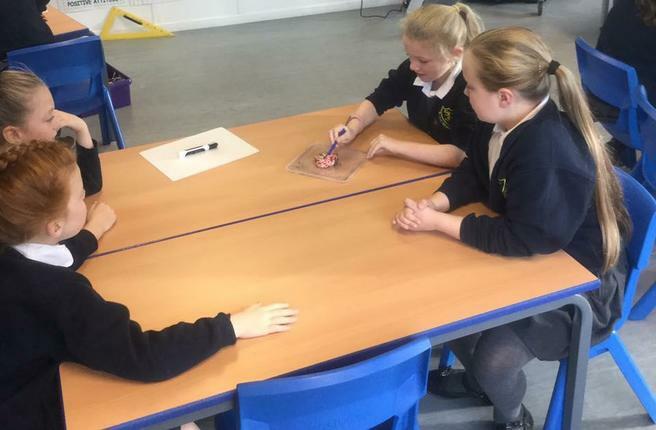 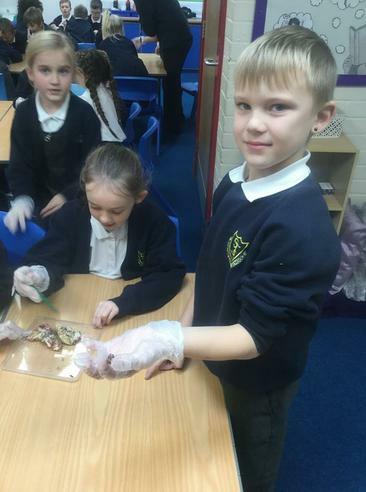 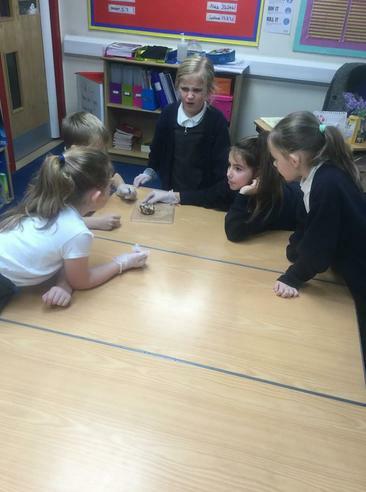 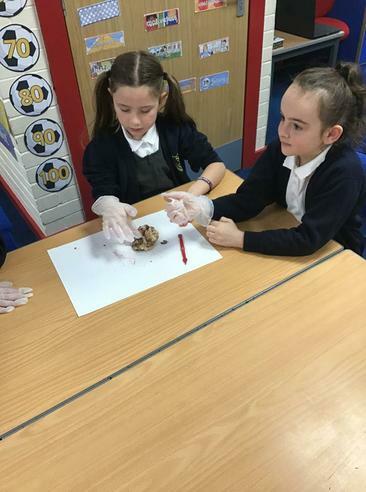 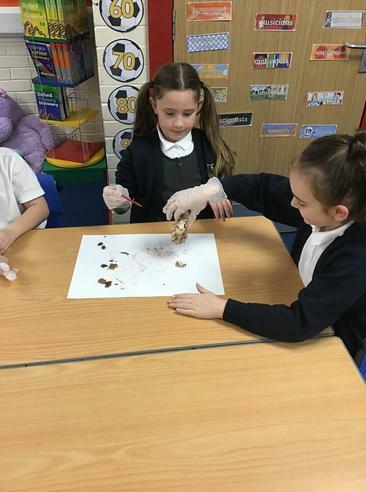 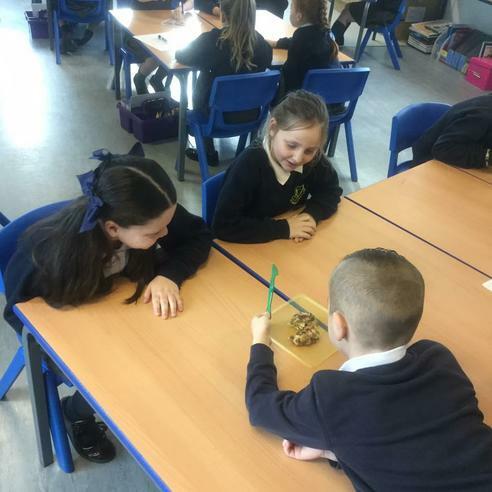 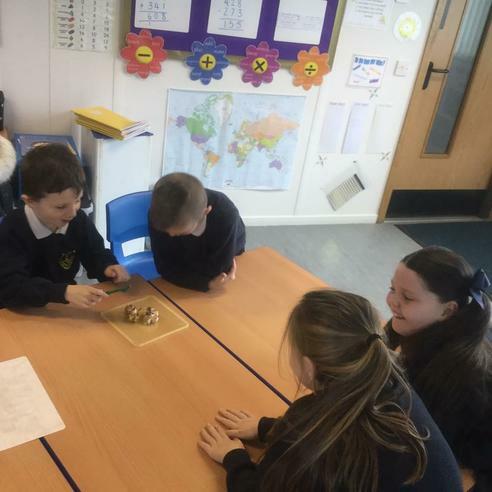 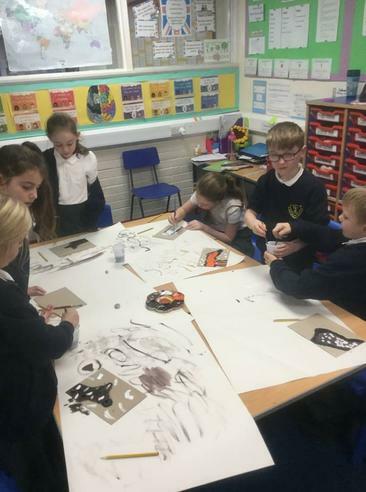 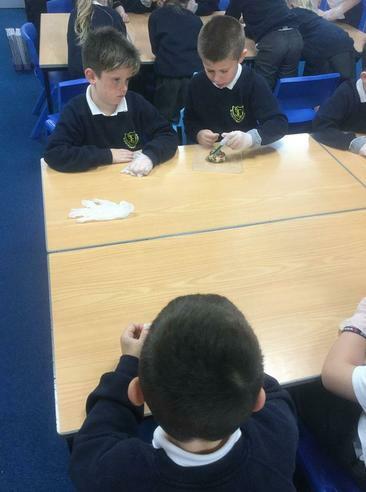 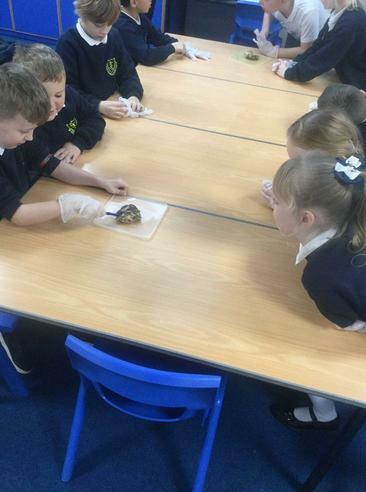 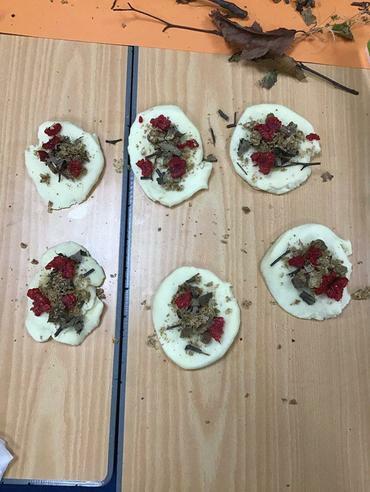 They also dissected 'Stone Age poo' to find out about their diet and created their own cave paintings. 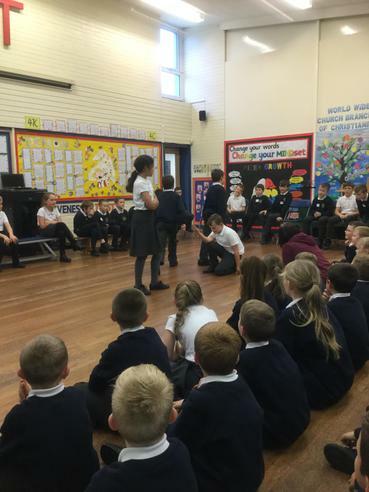 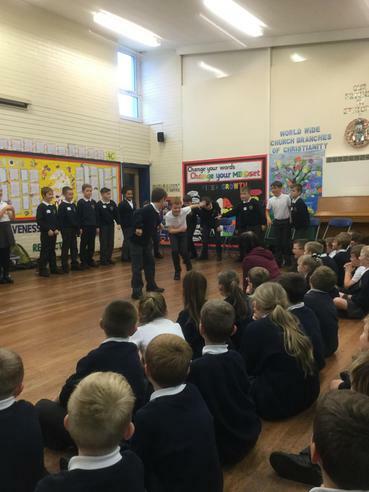 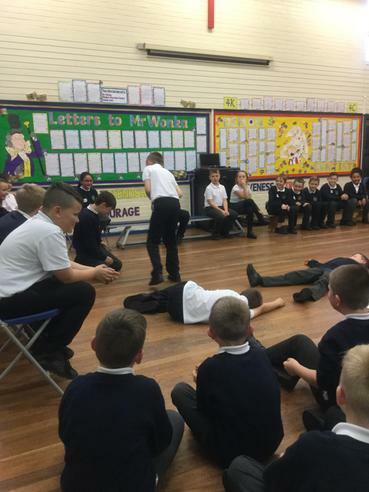 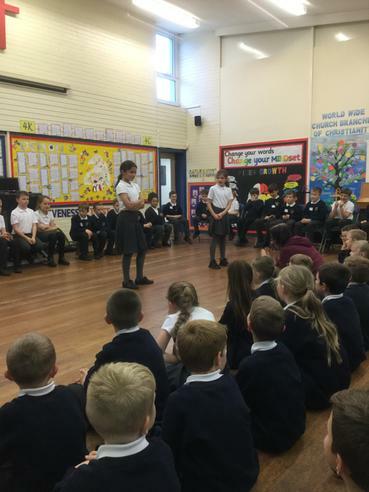 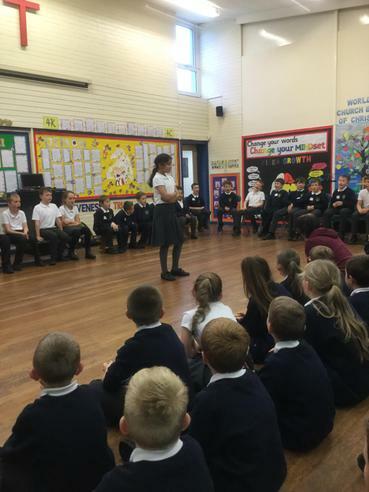 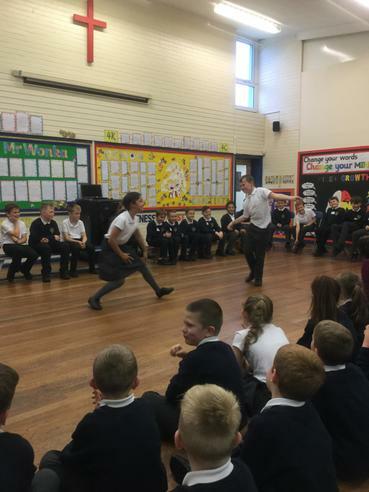 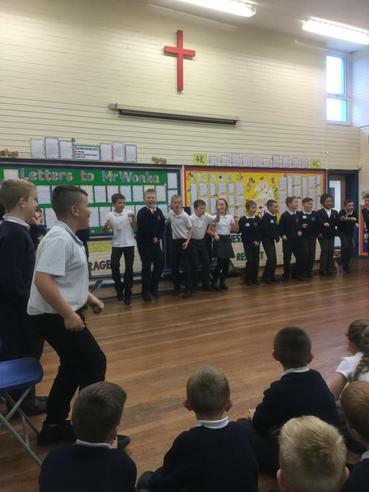 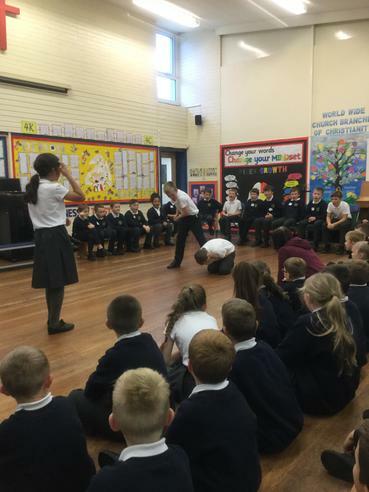 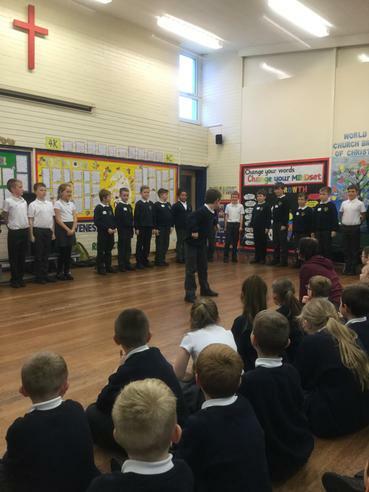 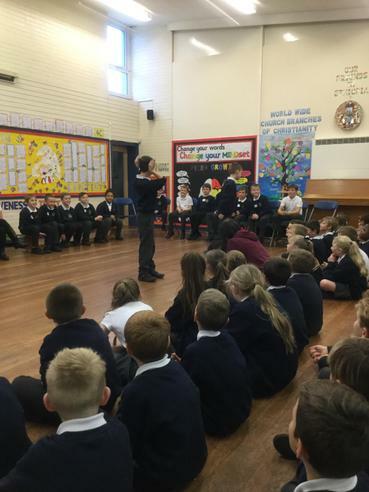 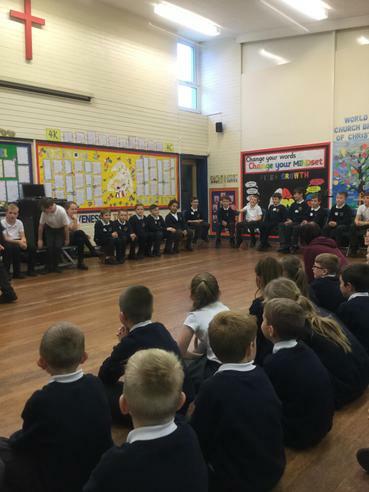 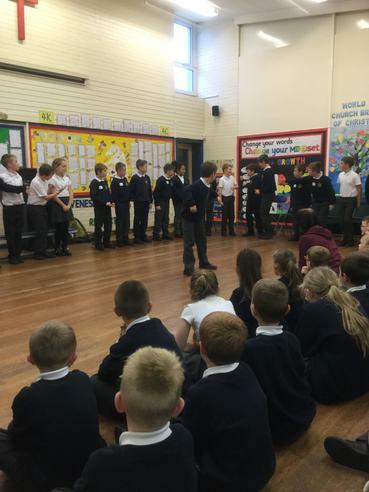 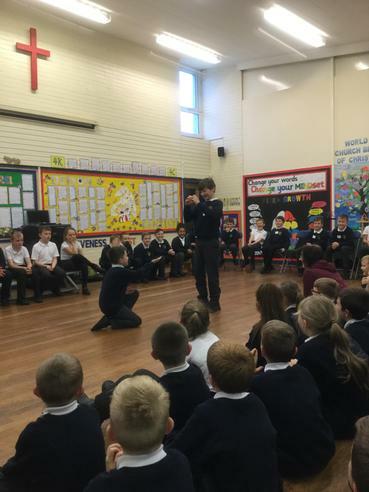 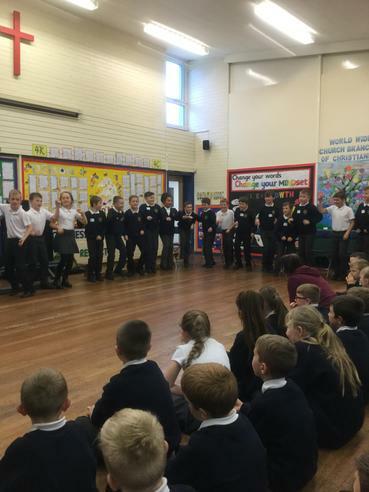 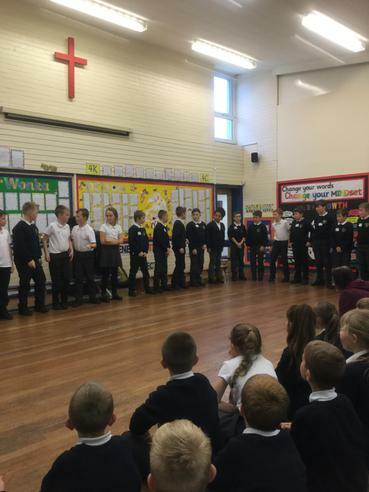 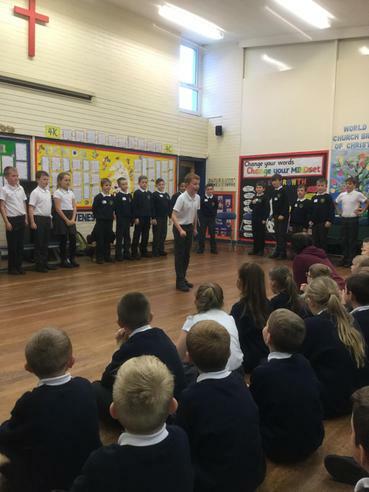 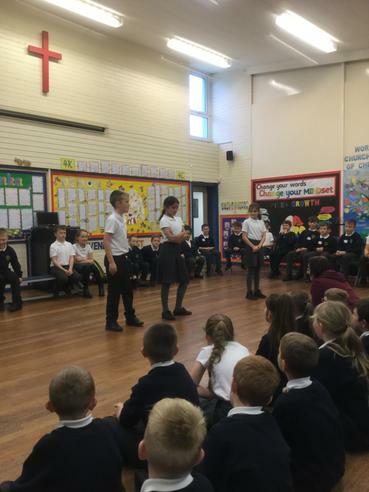 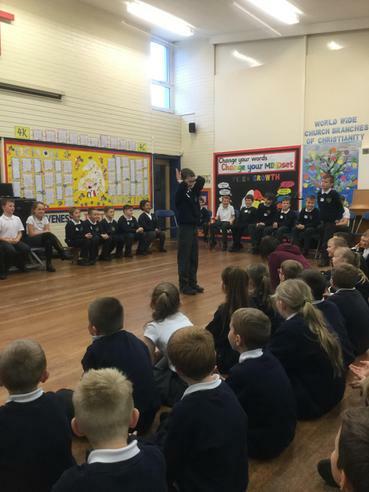 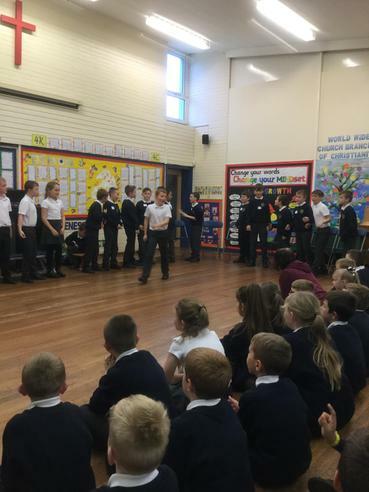 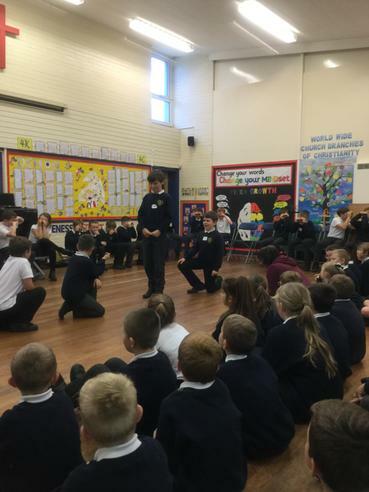 5W thoroughly enjoyed ‘Play in a Day’ and the performance was fantastic. 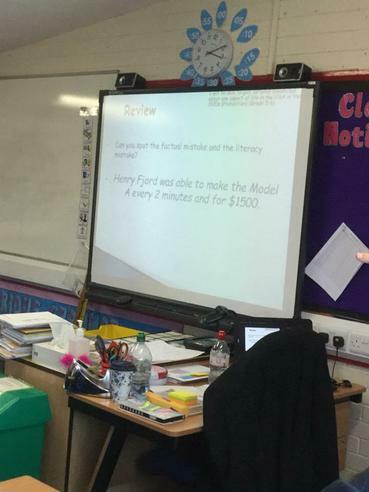 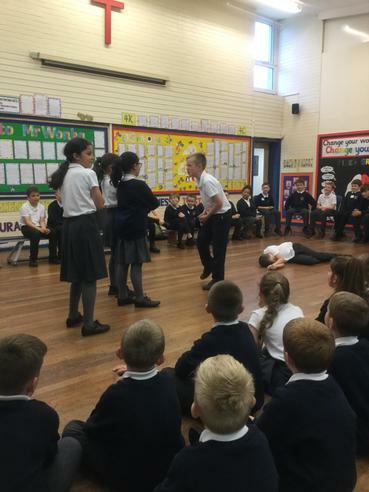 It was a great introduction to our topic ‘Off With Her Head’. 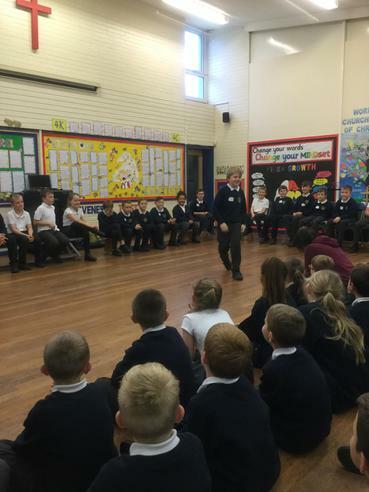 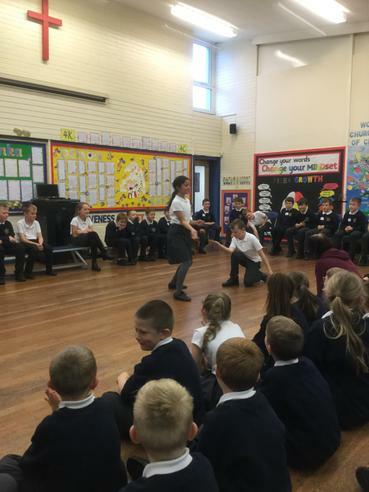 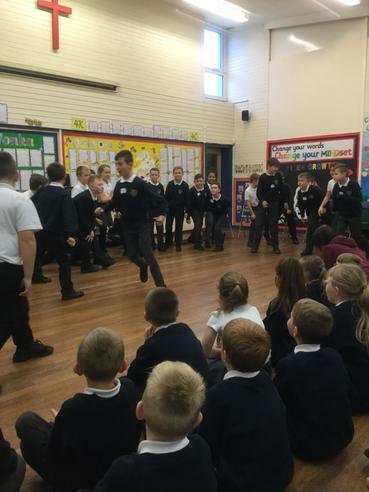 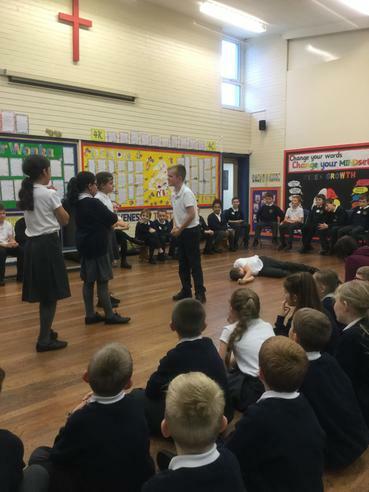 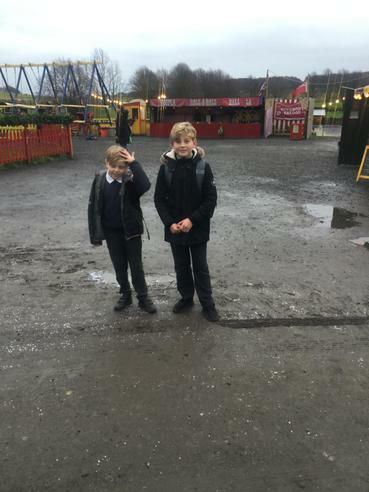 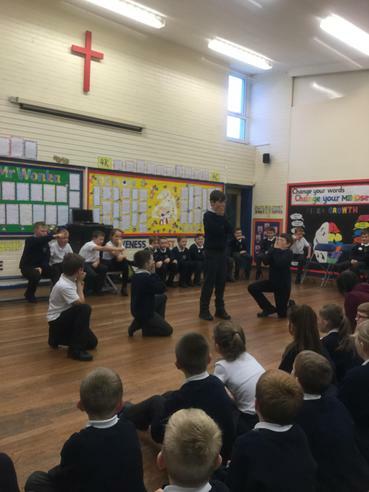 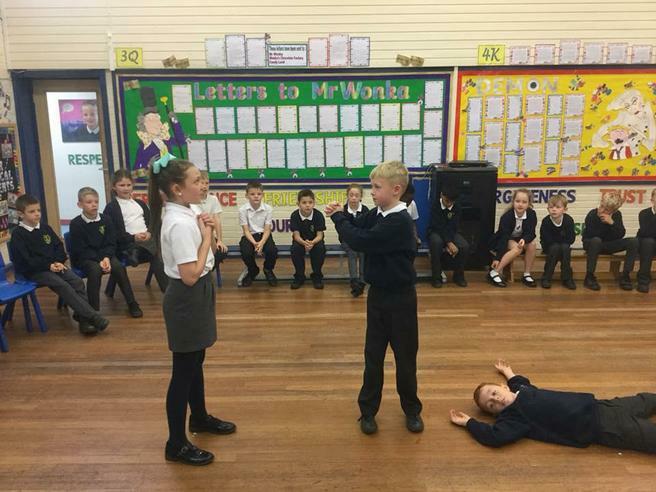 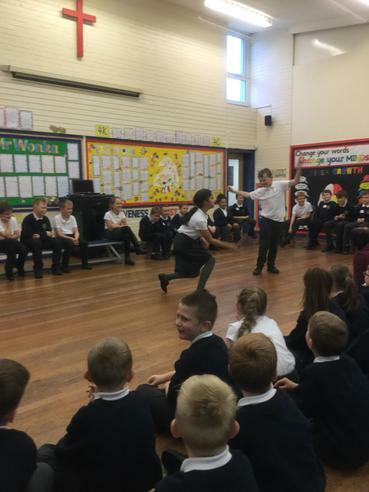 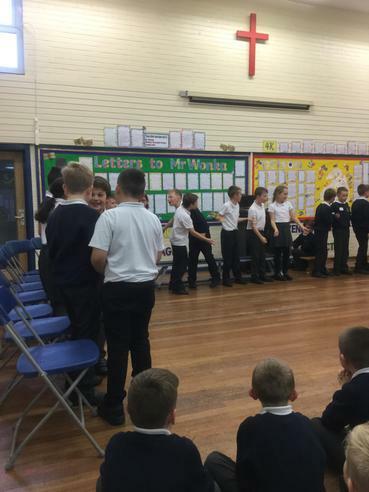 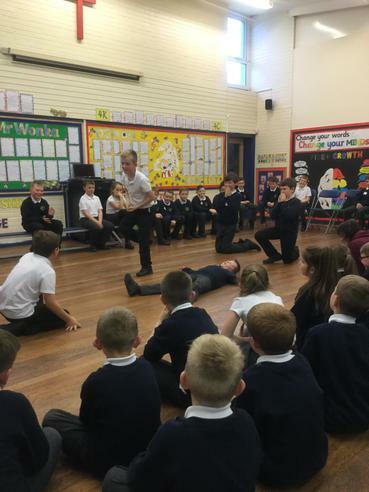 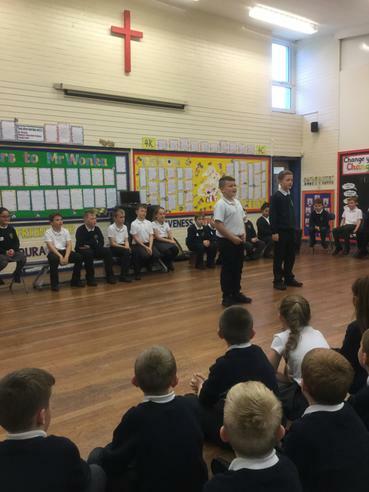 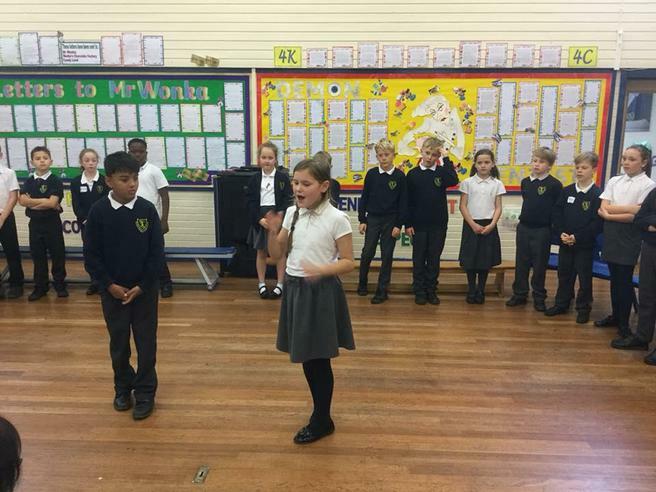 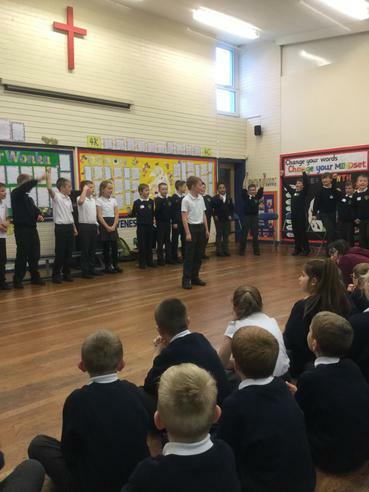 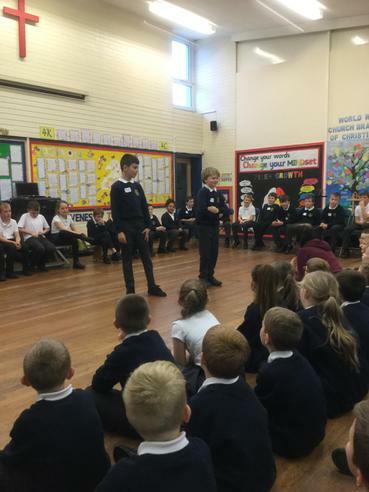 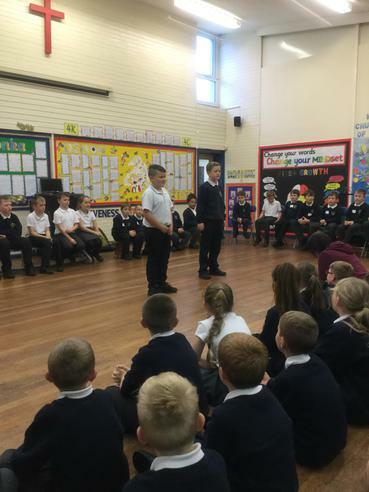 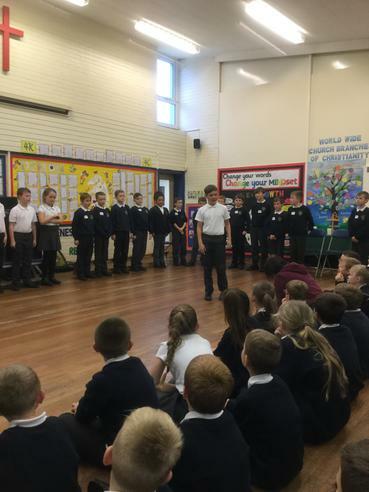 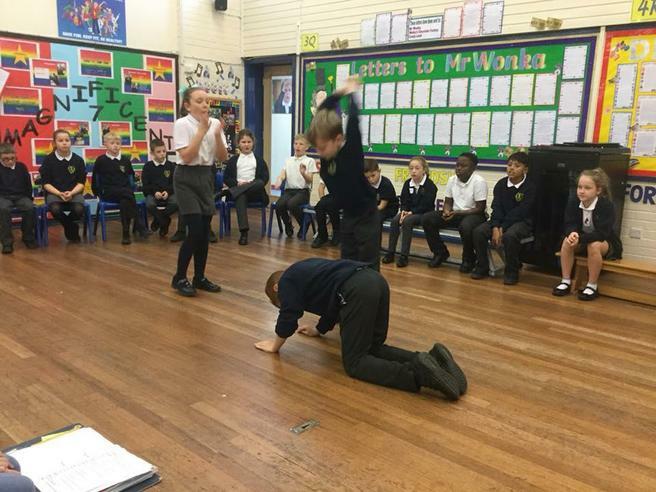 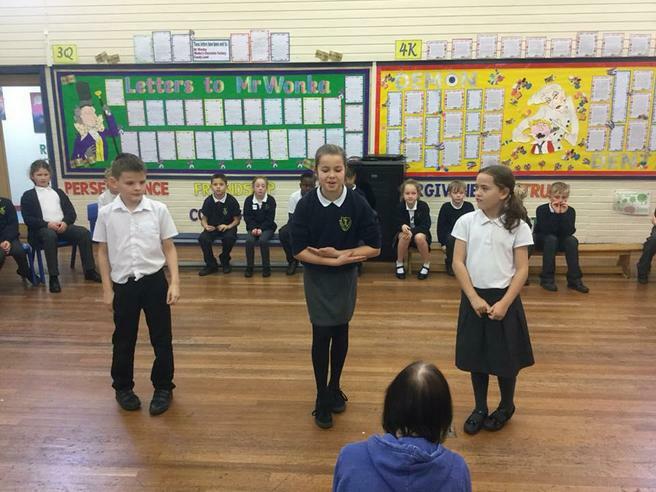 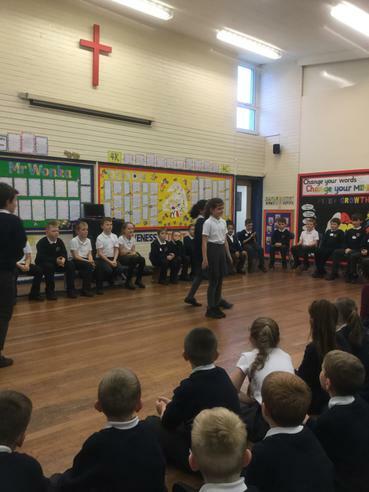 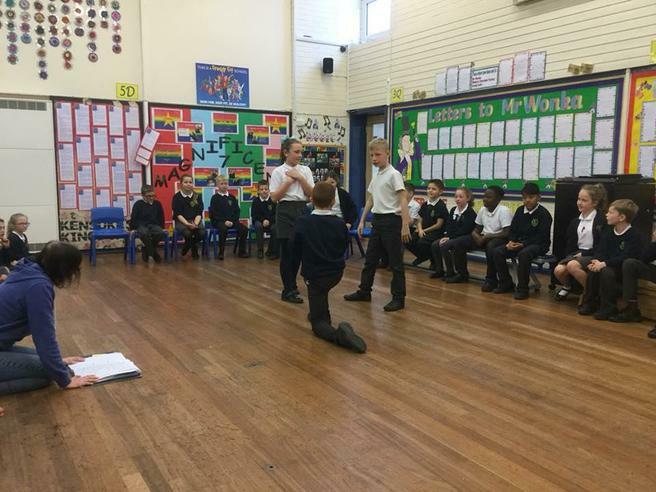 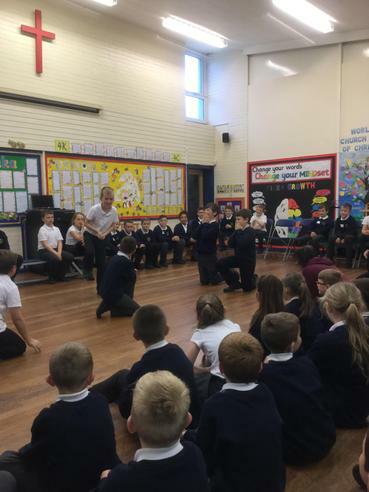 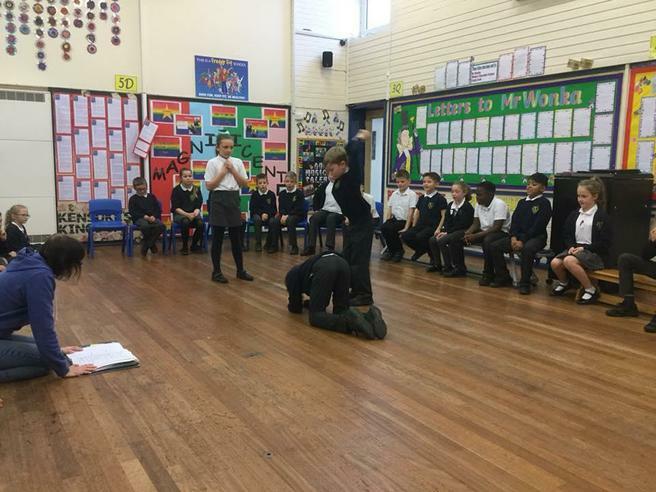 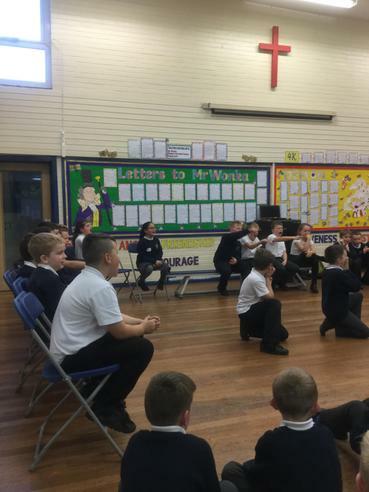 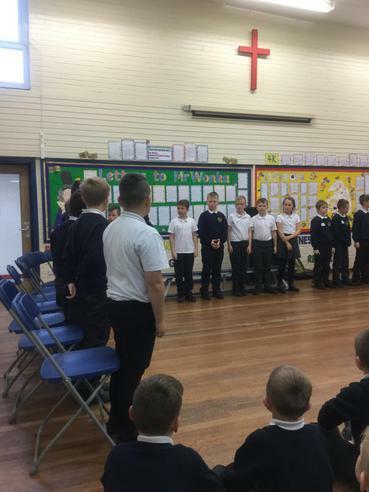 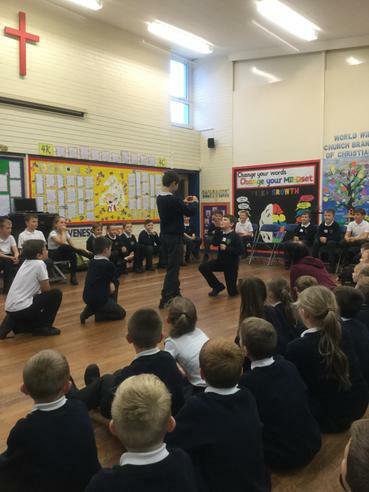 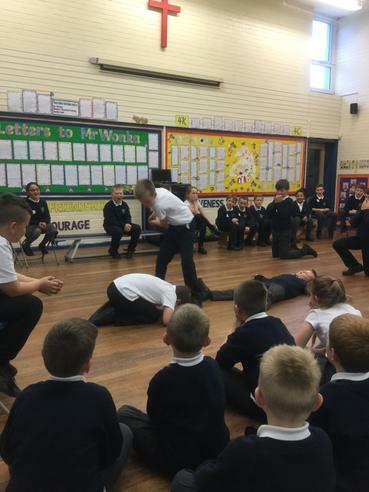 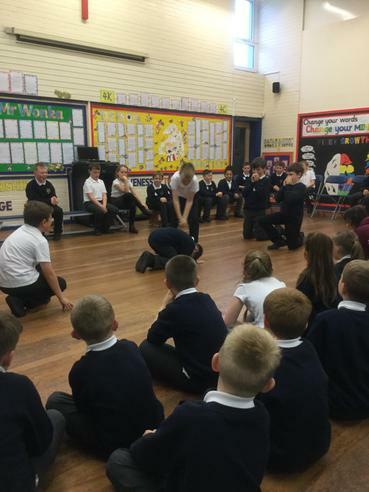 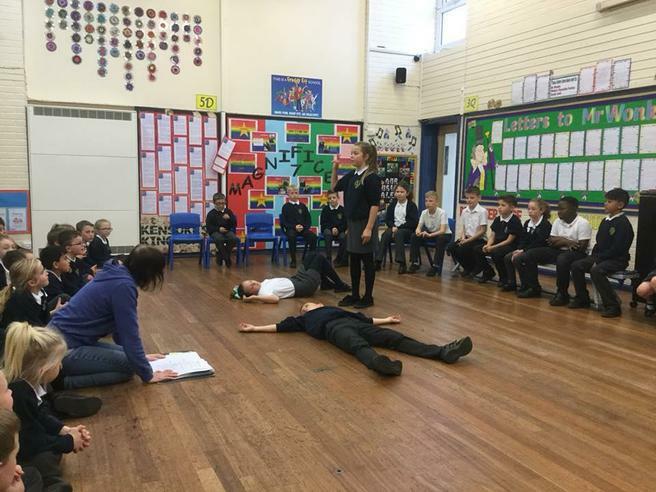 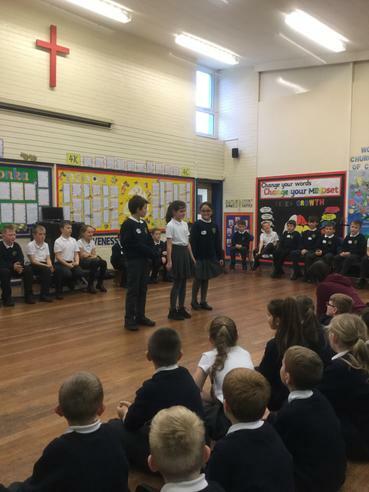 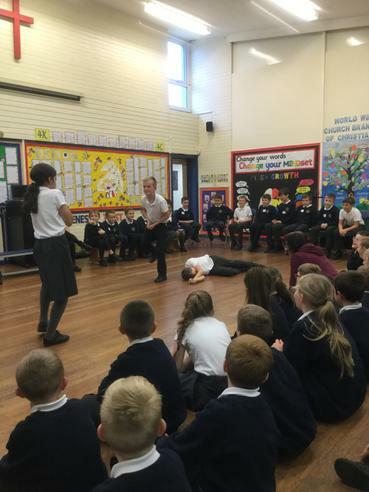 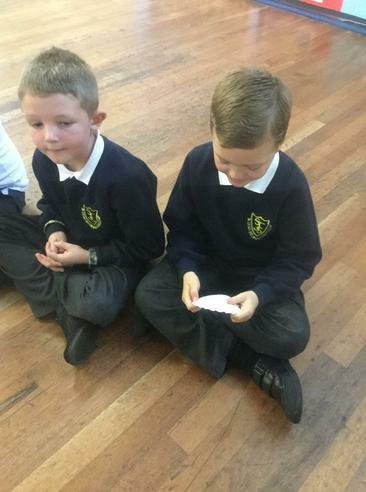 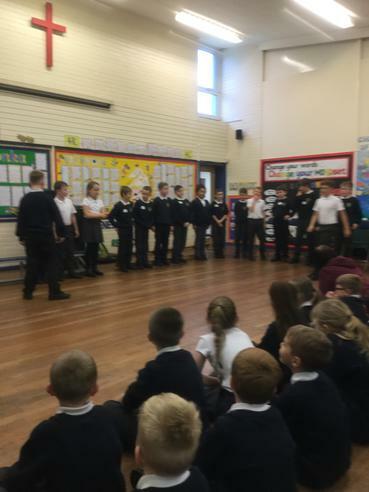 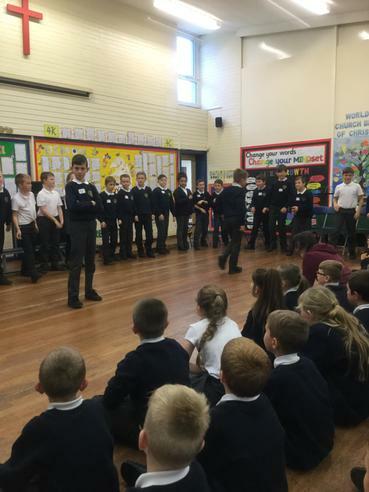 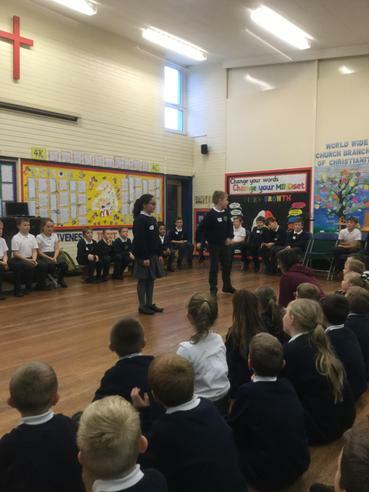 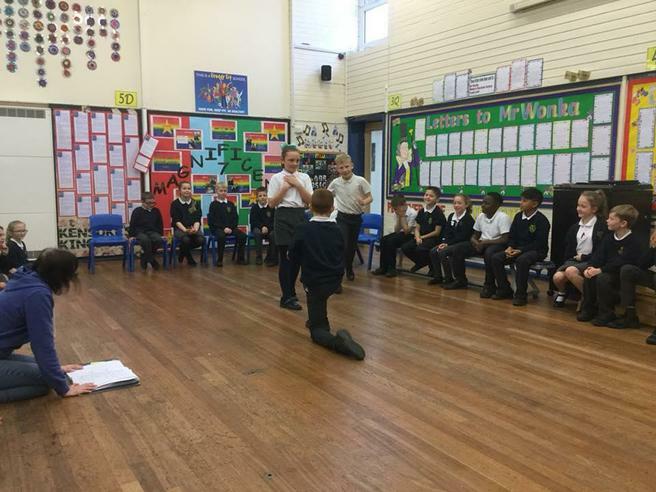 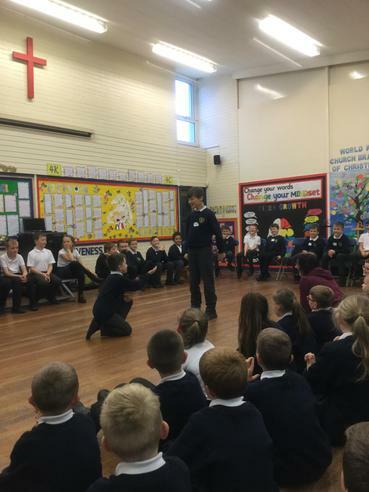 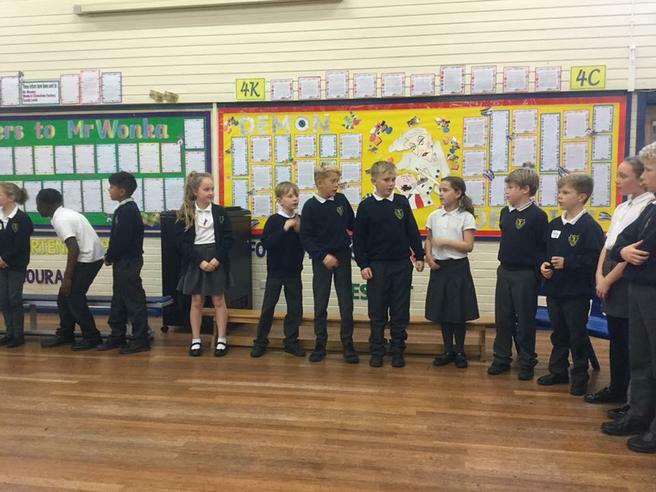 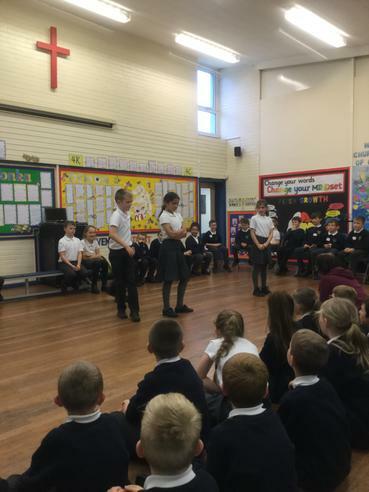 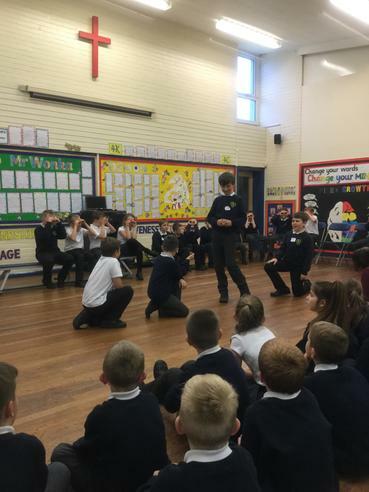 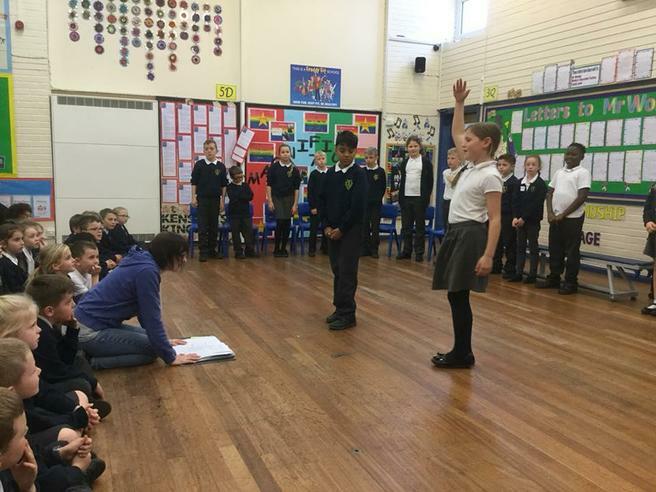 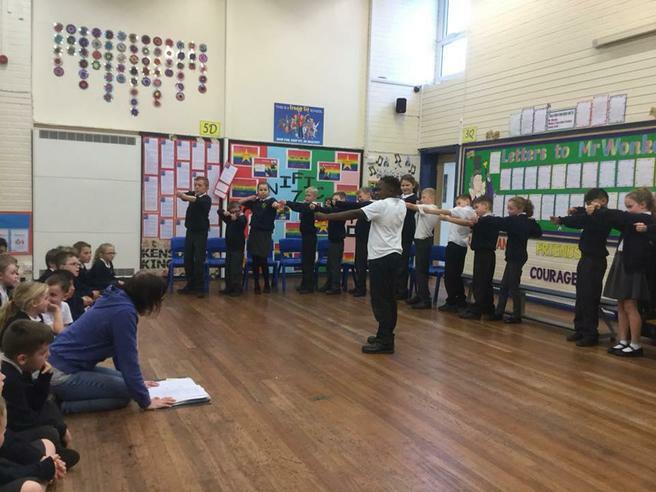 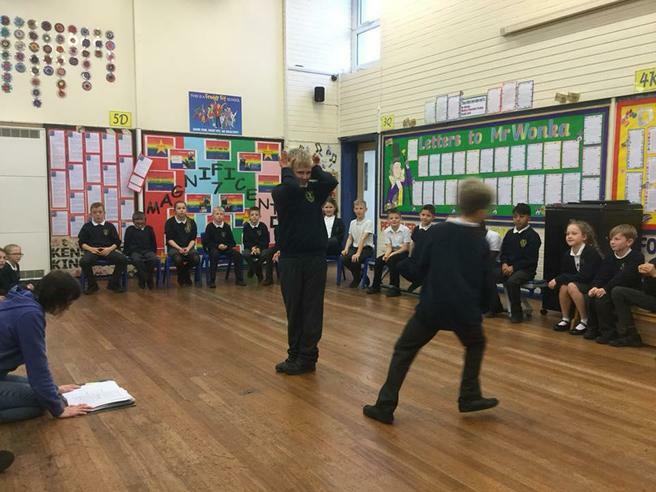 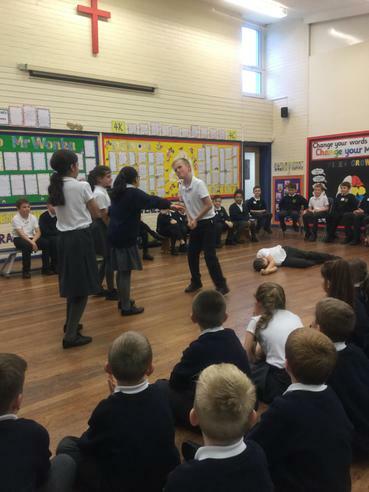 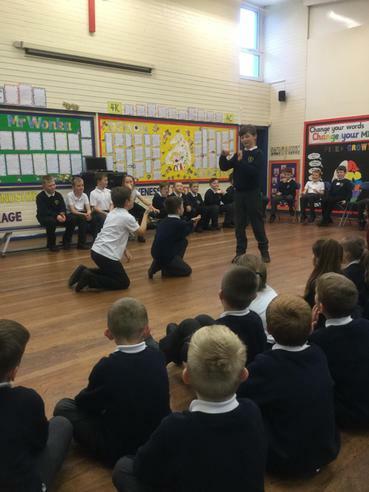 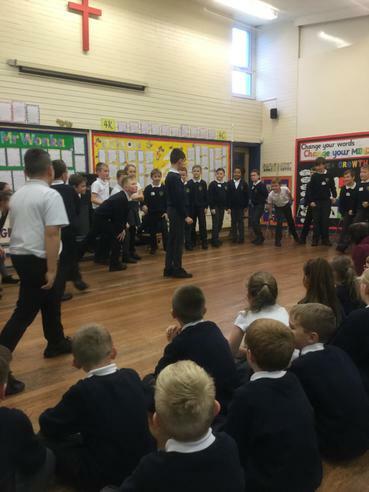 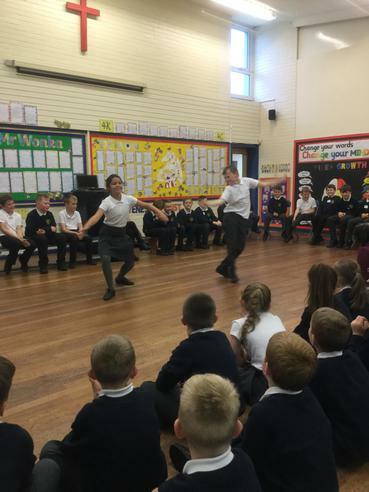 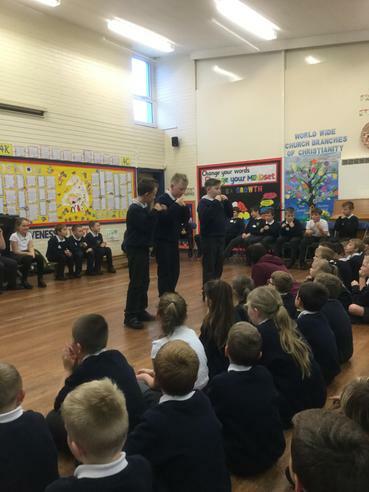 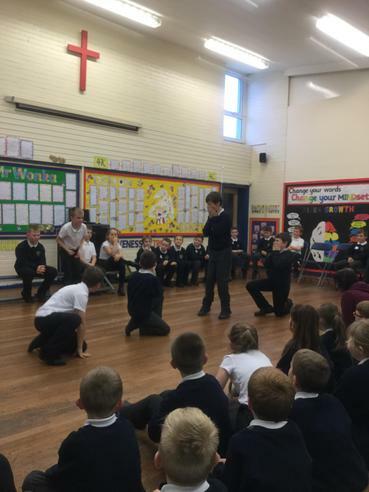 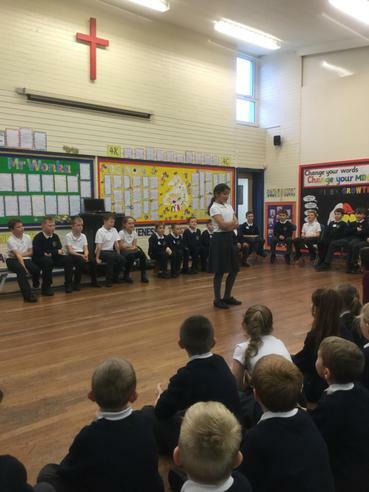 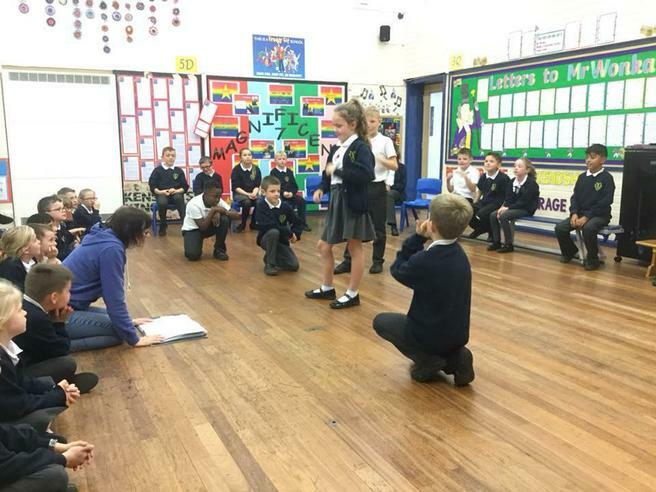 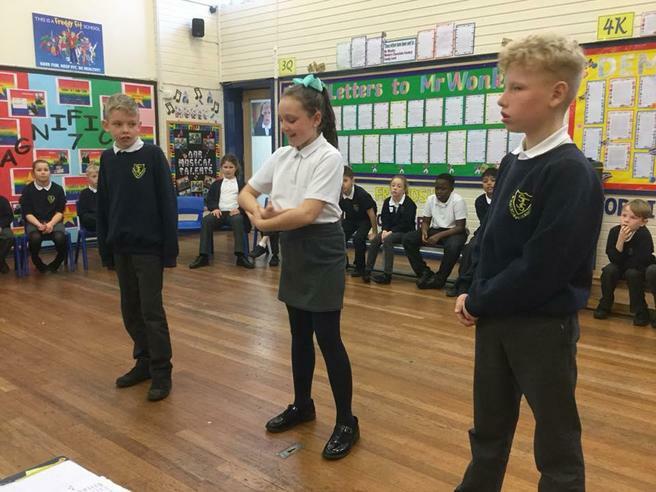 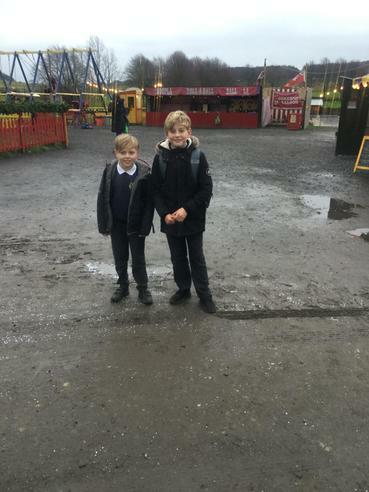 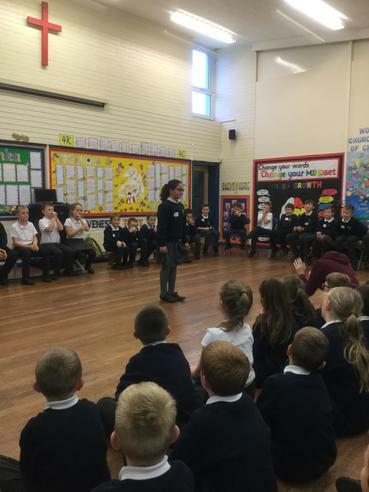 5D thoroughly enjoyed ‘Play in a Day’ and the performance was fantastic. 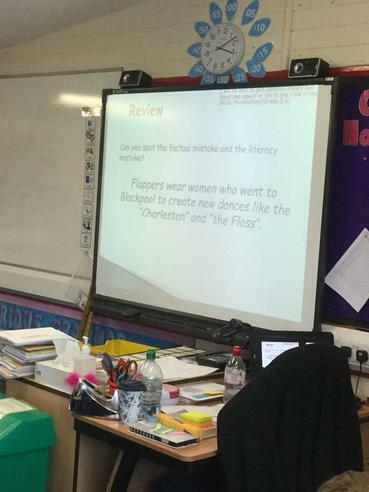 It was a great introduction to our topic ‘Off With Her Head’. 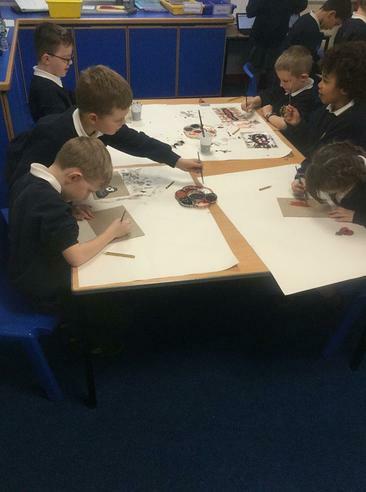 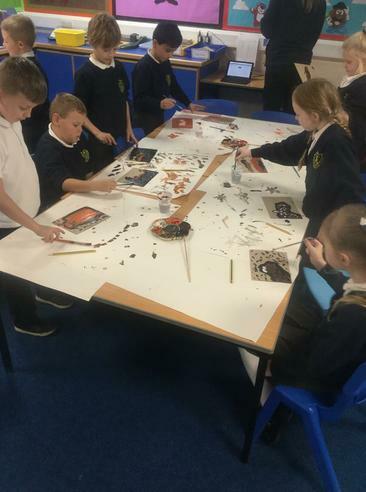 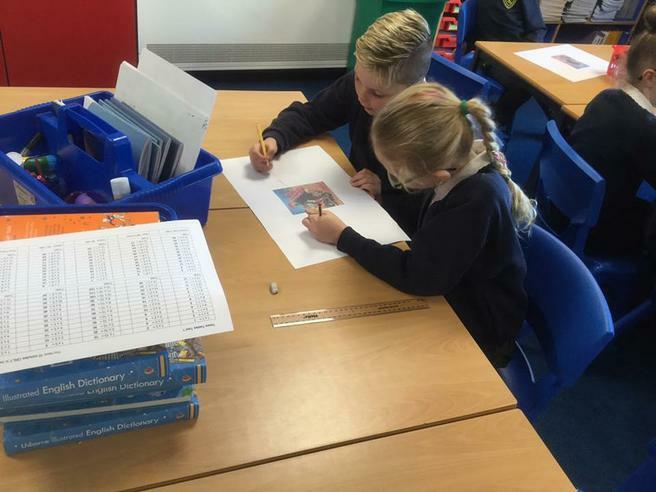 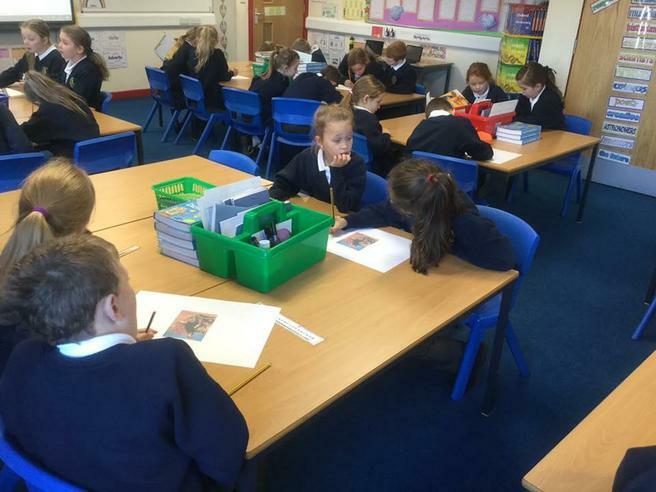 Excellent paired work in 4K today as the children used the senses to describe a Roman battle scene! 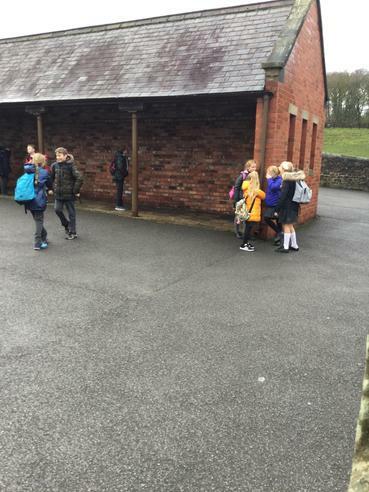 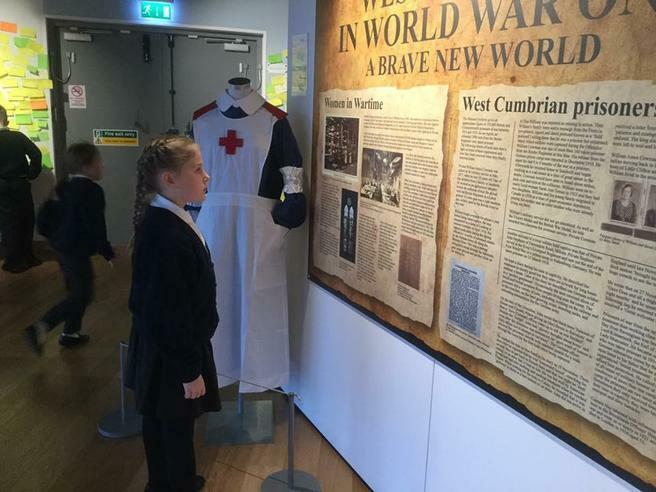 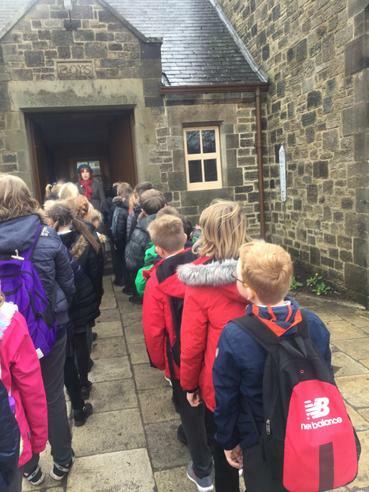 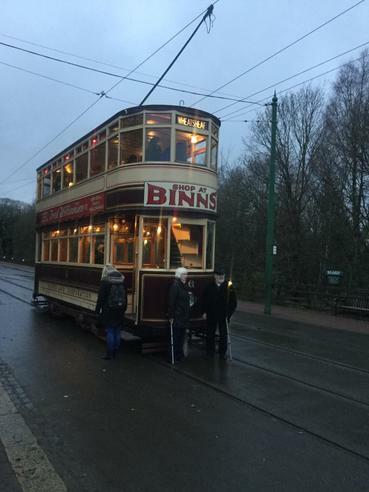 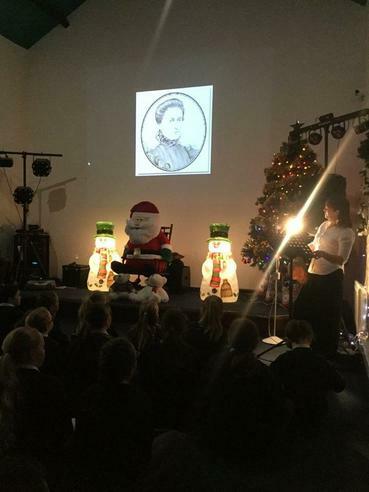 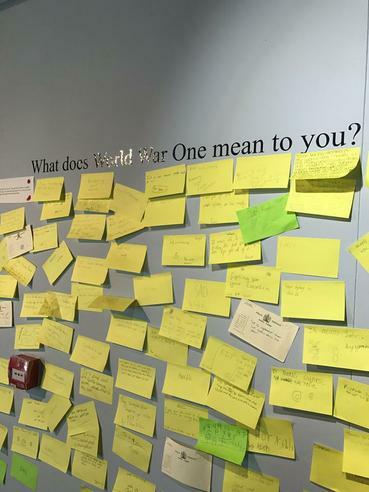 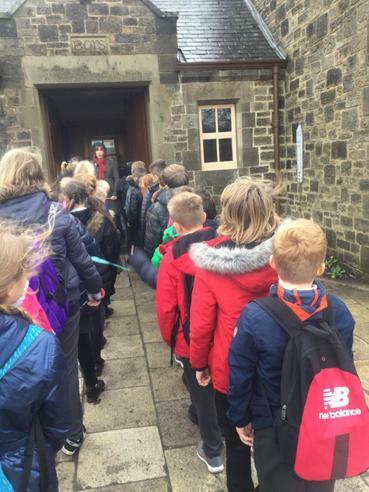 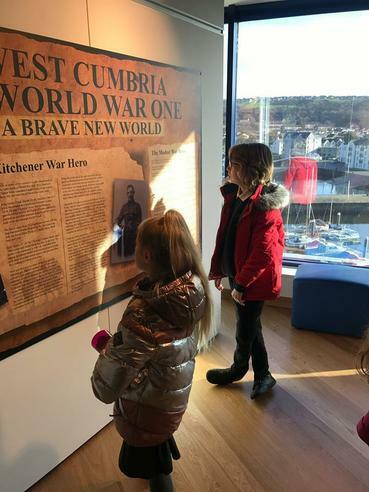 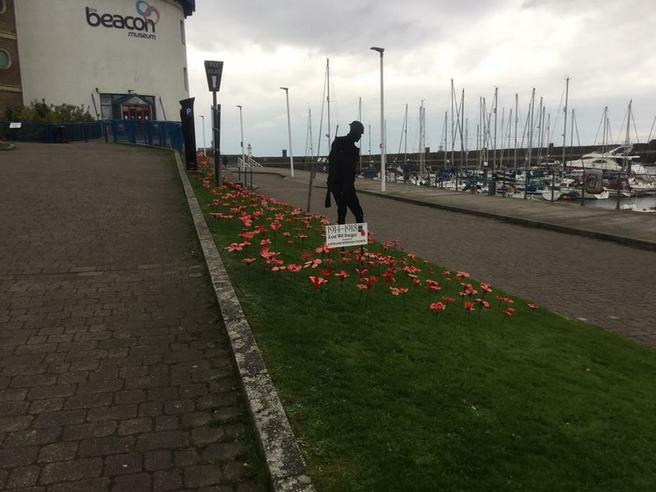 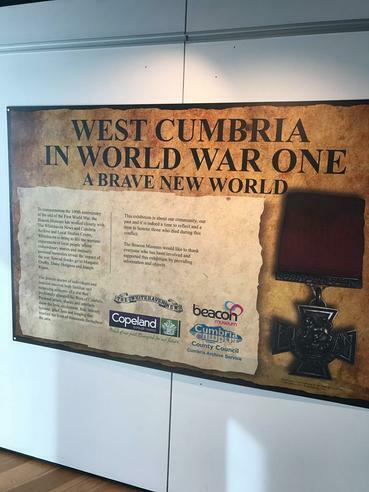 4K thoroughly enjoyed their visit to the Beacon this afternoon to learn about WWI. 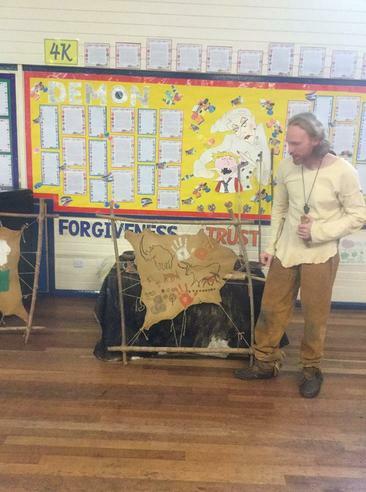 3F had a Stone Age day today! 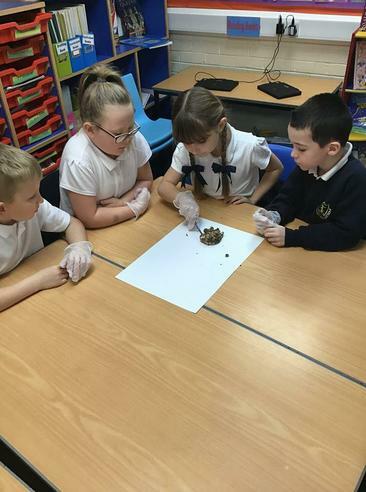 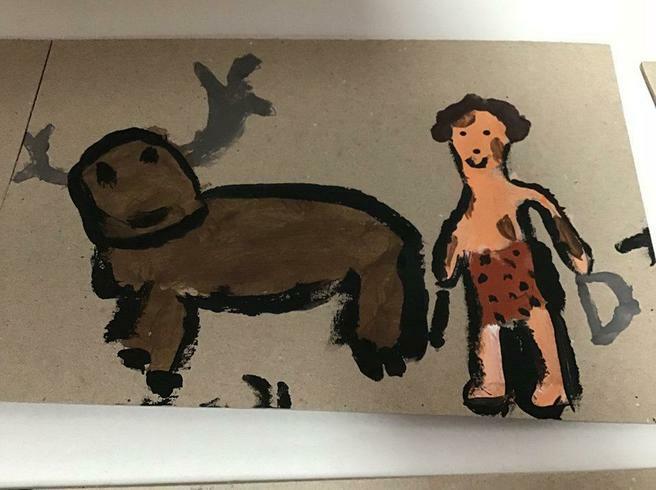 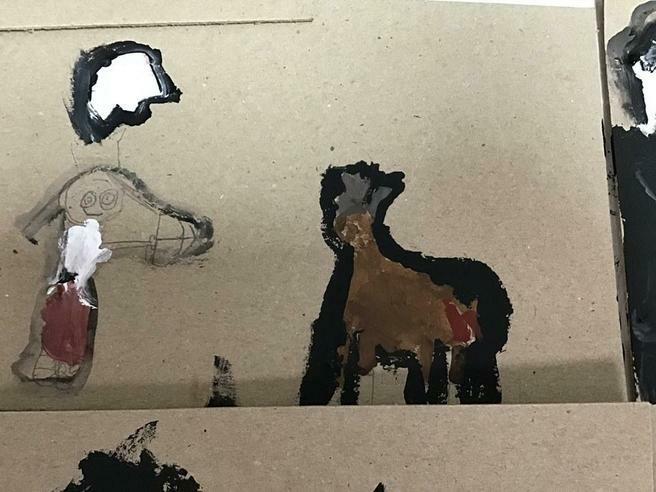 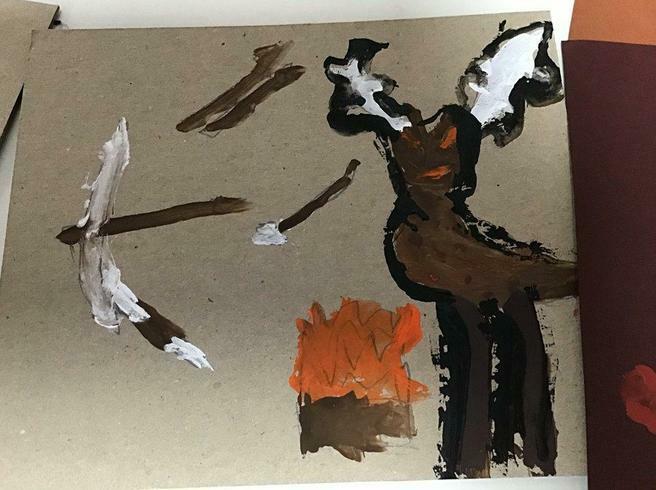 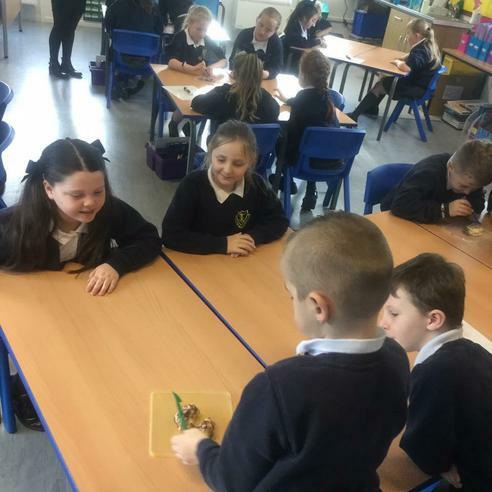 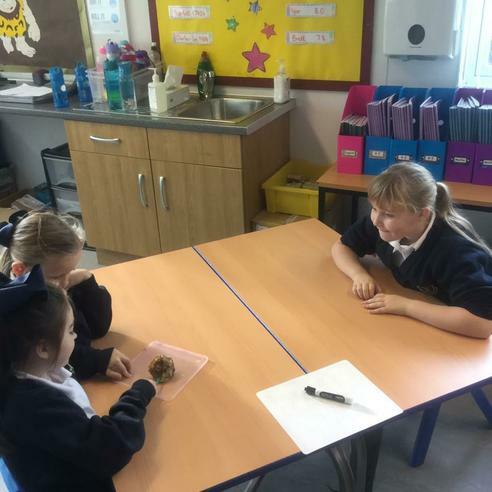 They created cave paintings and dissected Stone Age poo to find out what their diets would have been like. 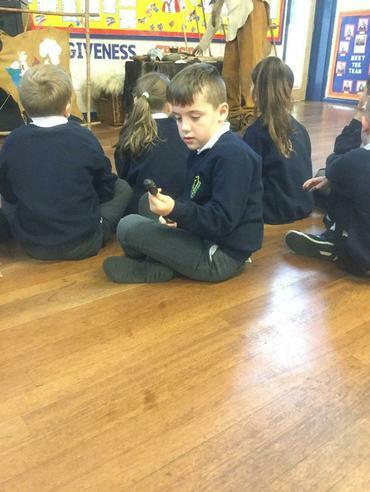 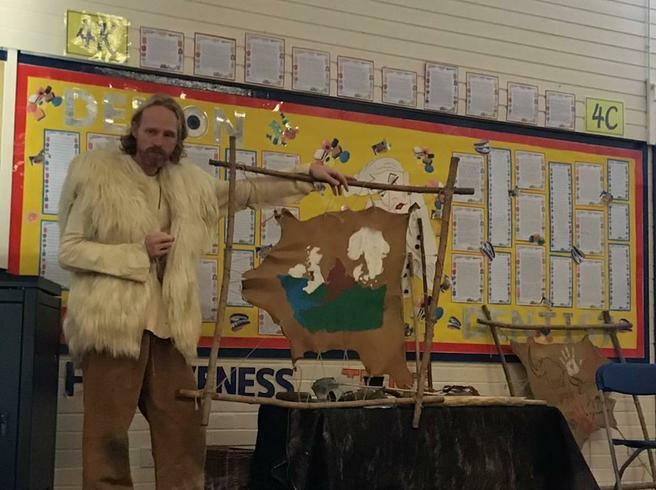 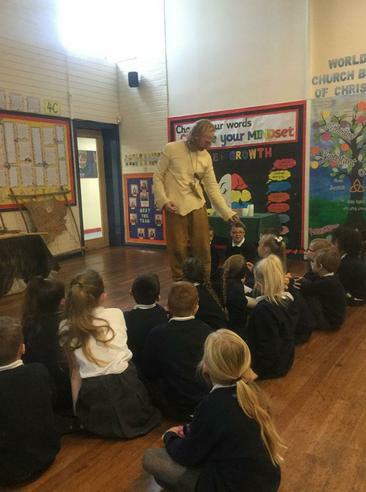 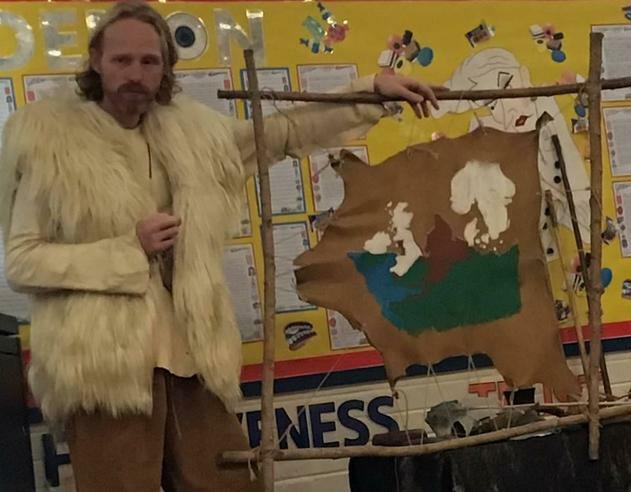 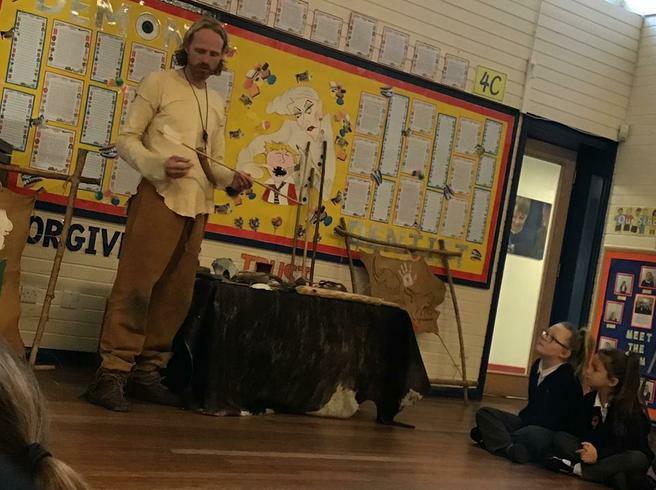 We were also lucky enough to have a Stone Age visitor to introduce our Tribal Tales topic and teach us about the tools and clothes that they would have used and worn. 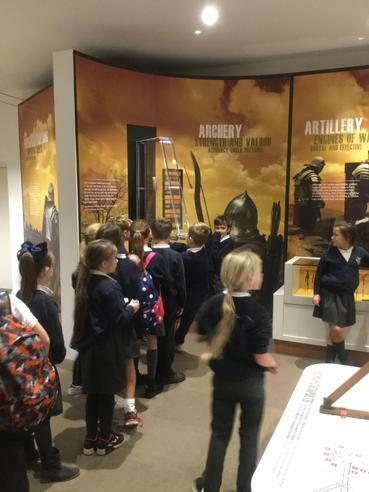 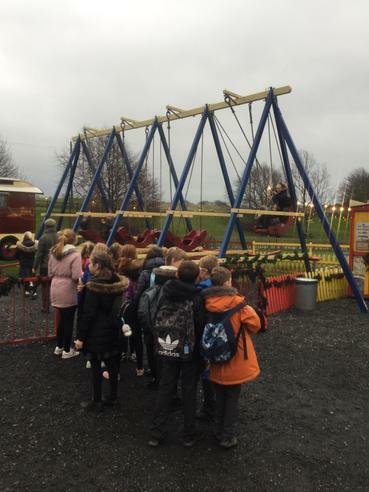 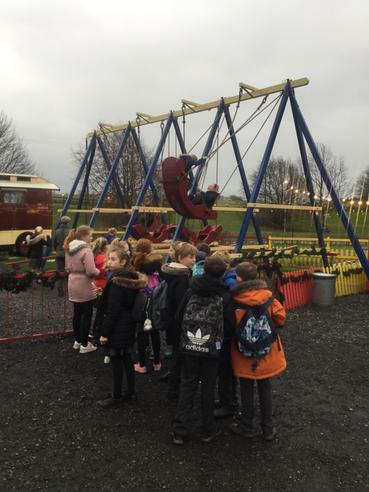 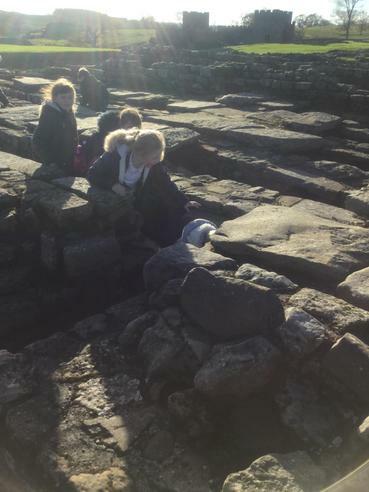 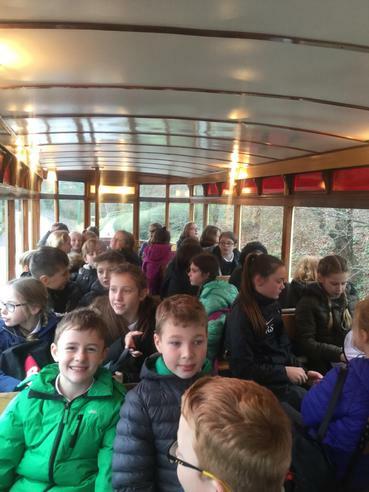 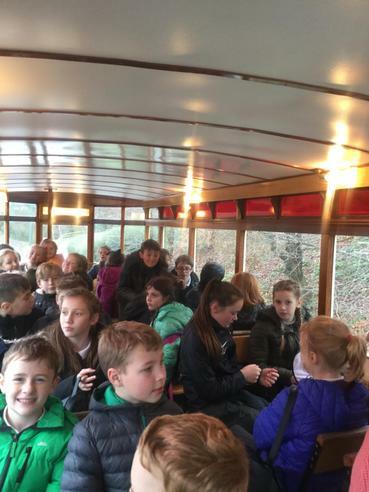 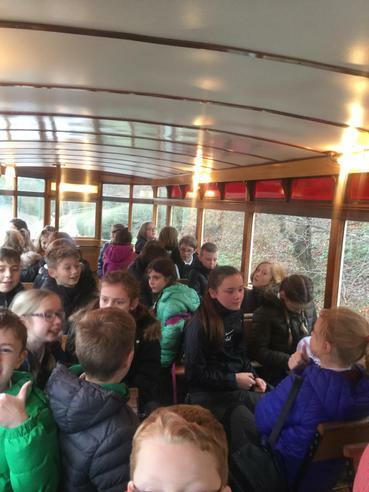 Year 6 thoroughly enjoyed their visit to The Beacon this morning. 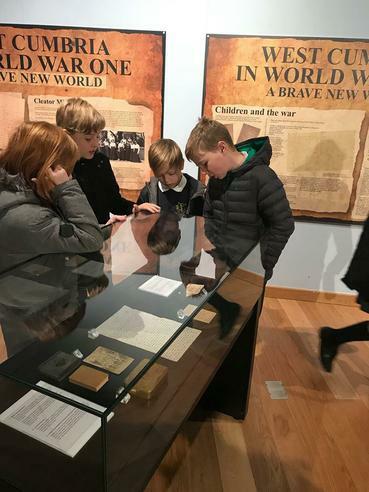 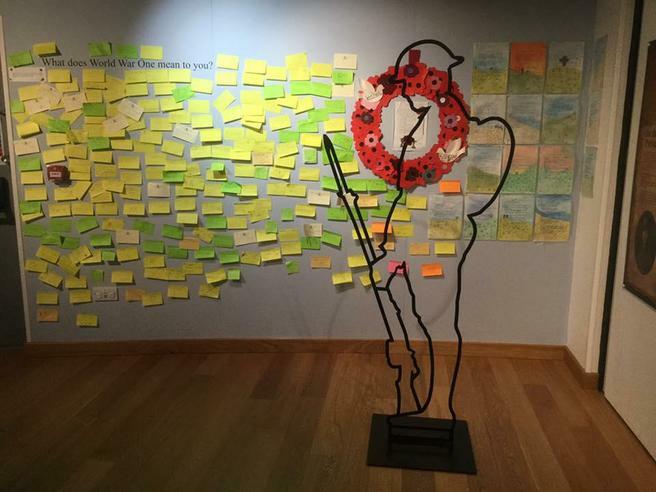 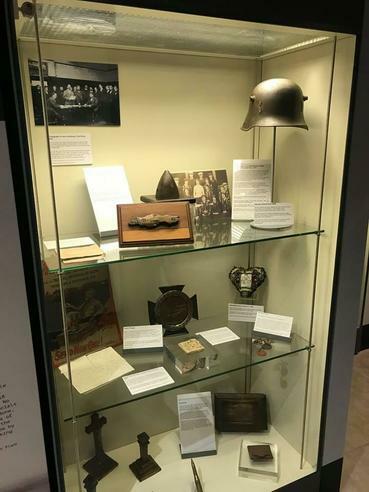 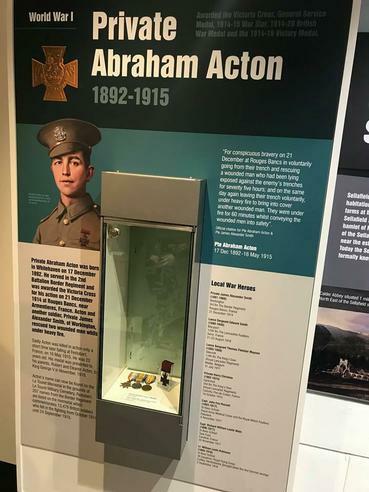 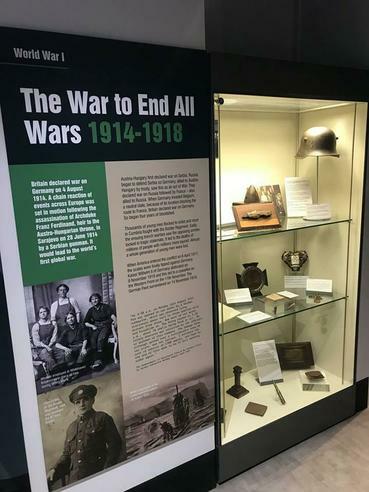 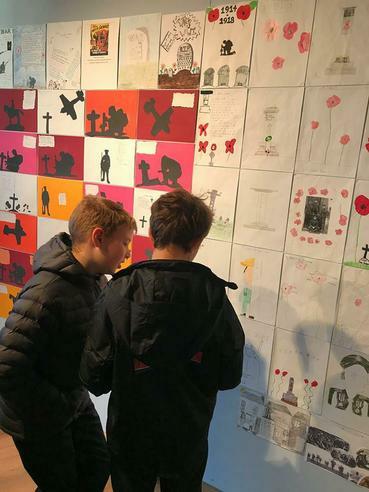 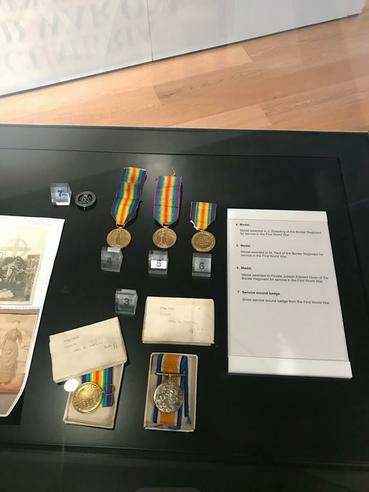 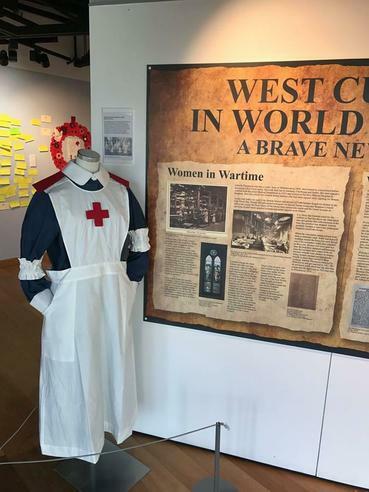 Primarily, the visit was to see the wonderful WW1 memorial exhibition but we also enjoyed looking at other historical sources while we were there.